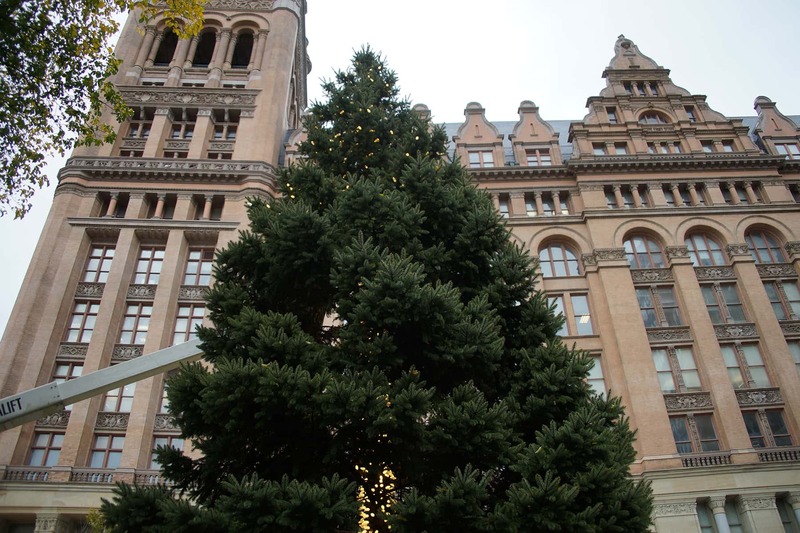 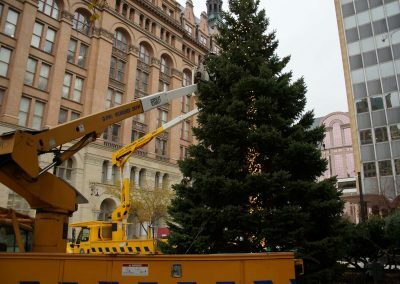 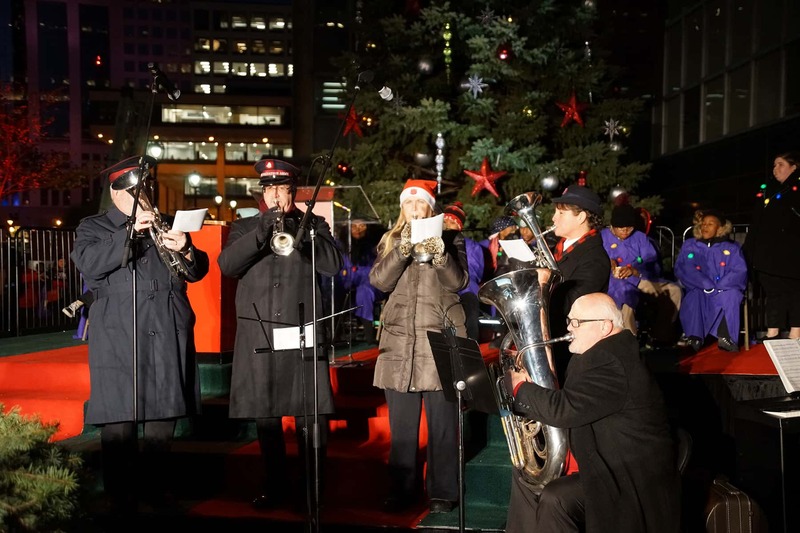 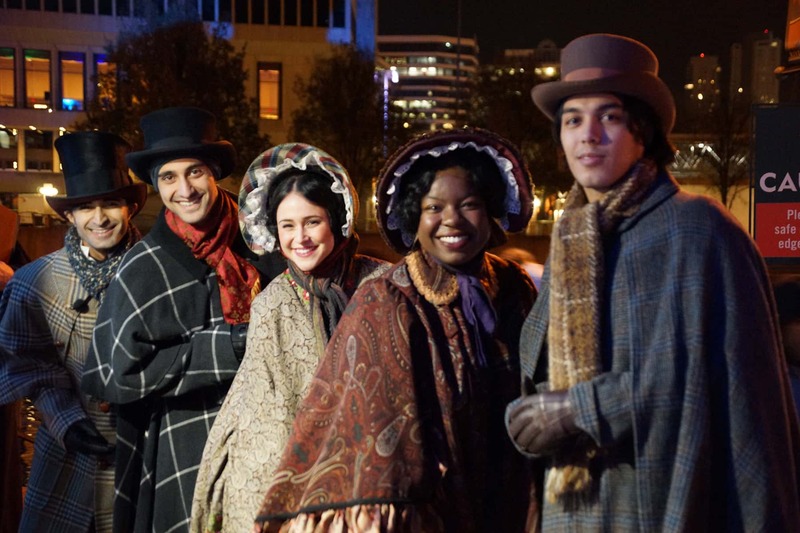 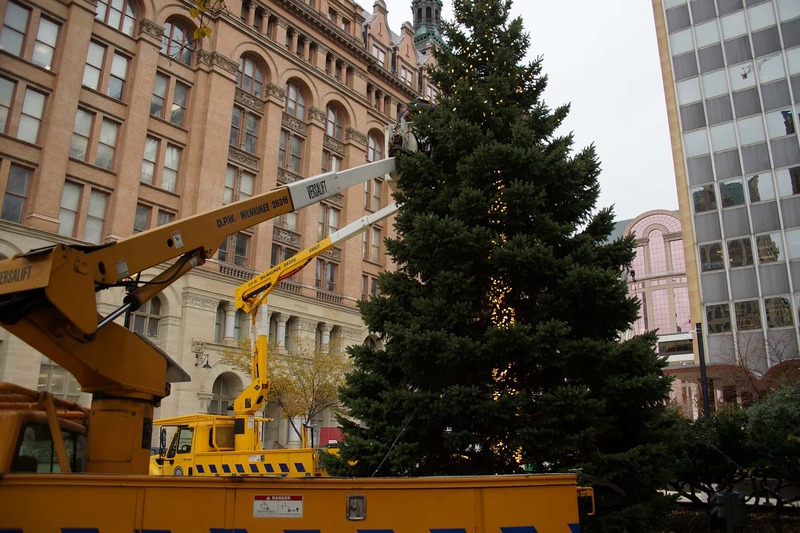 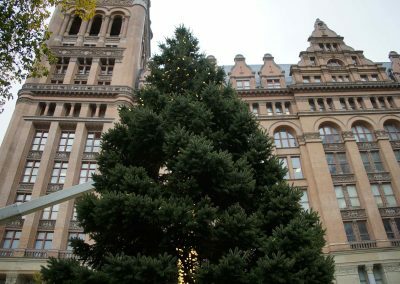 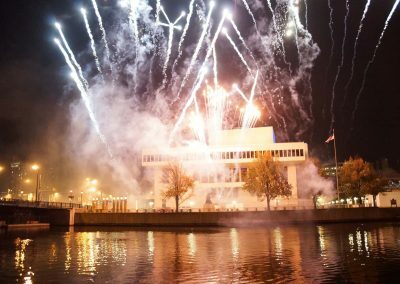 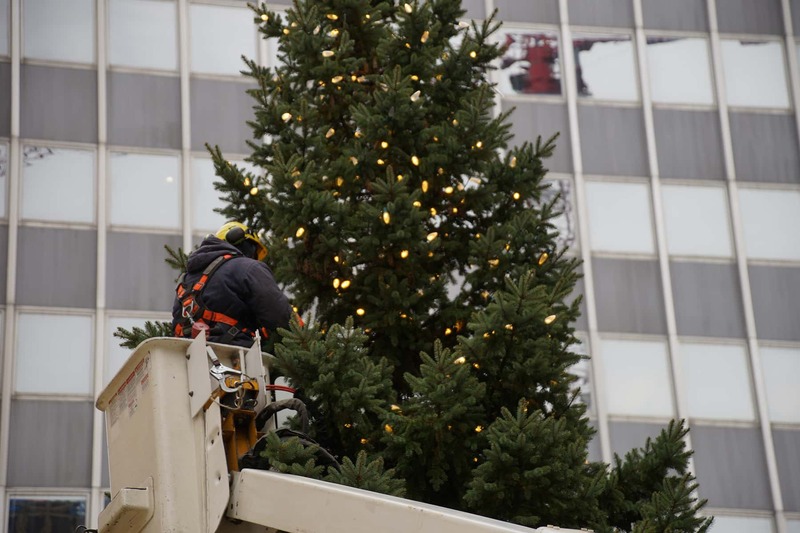 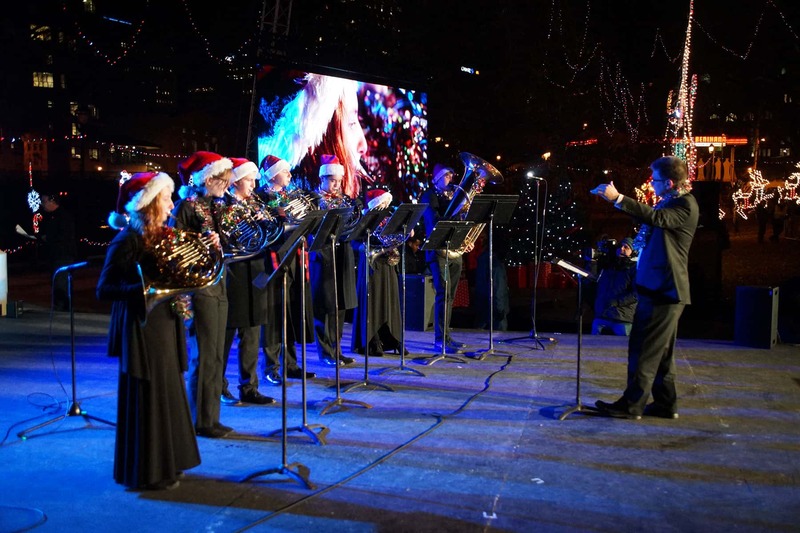 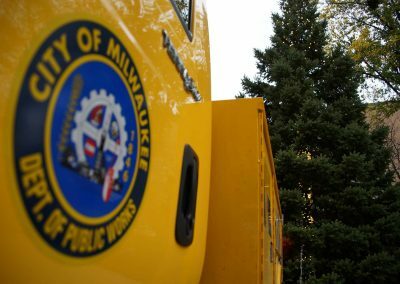 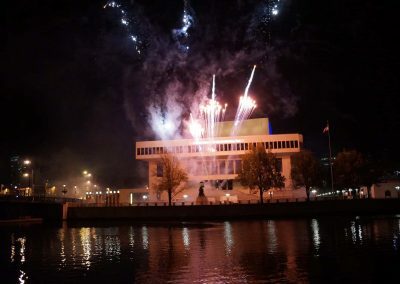 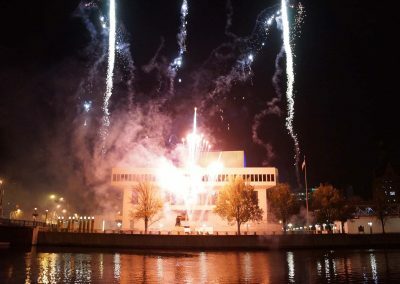 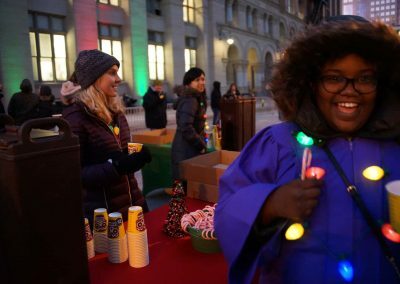 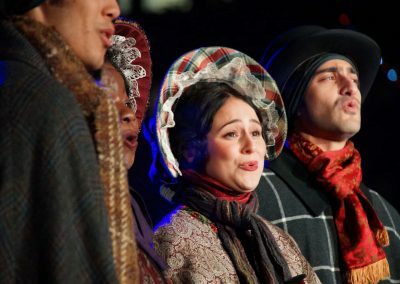 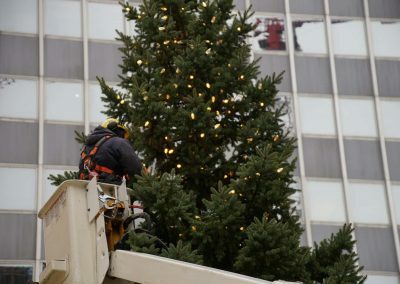 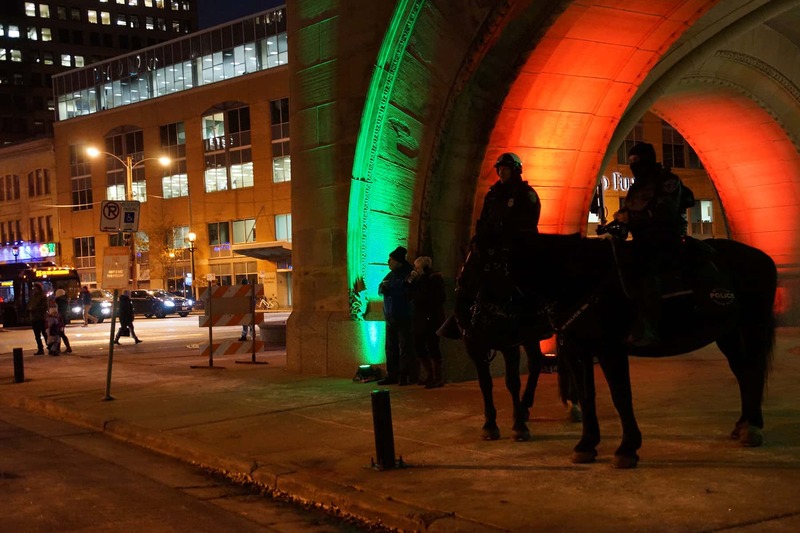 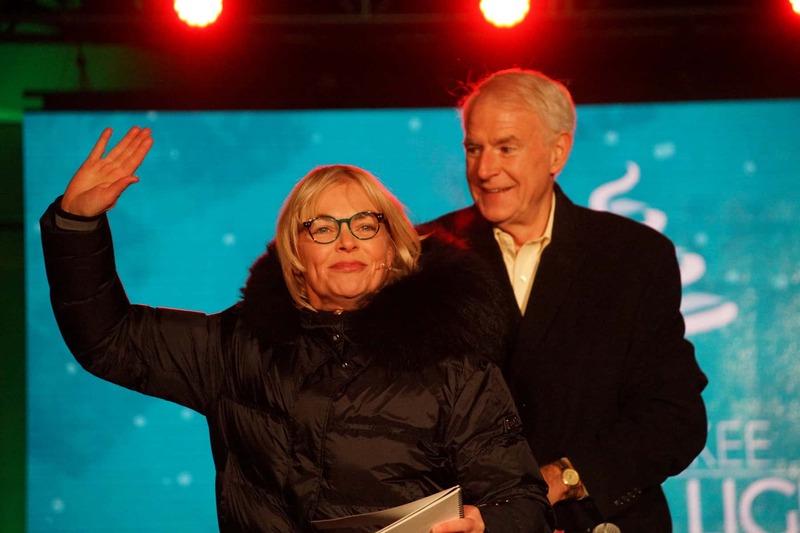 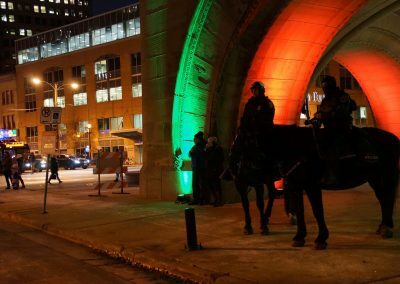 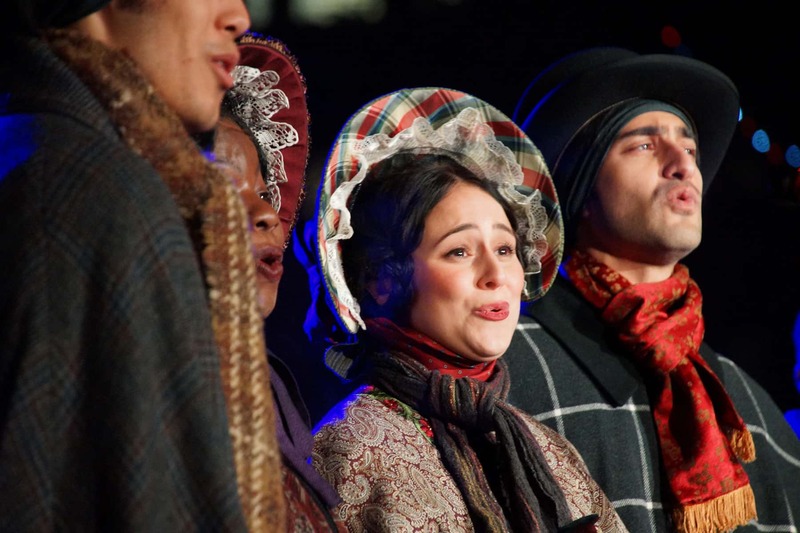 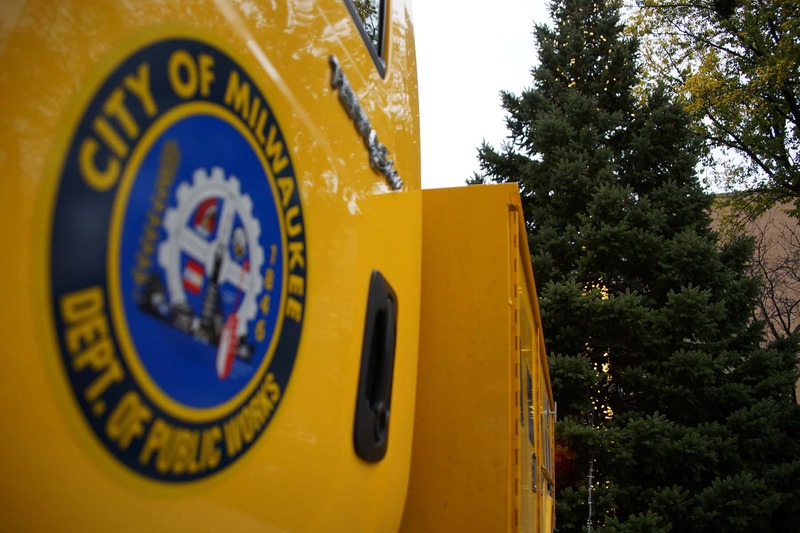 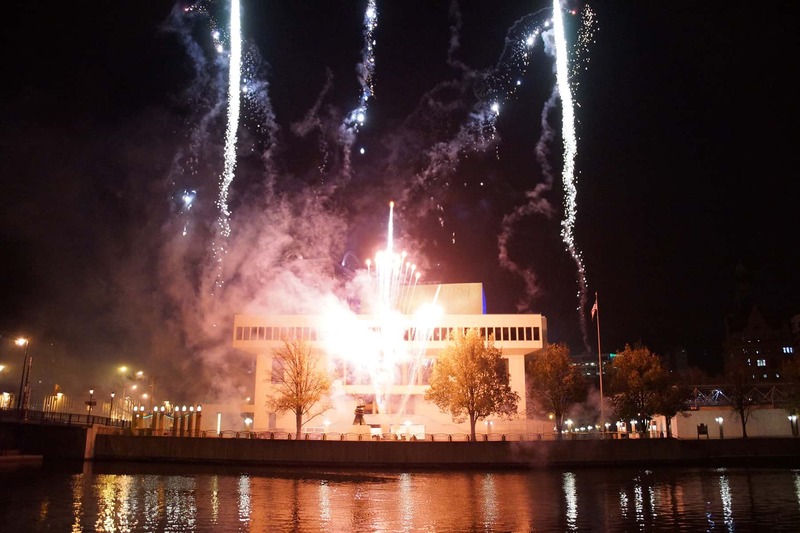 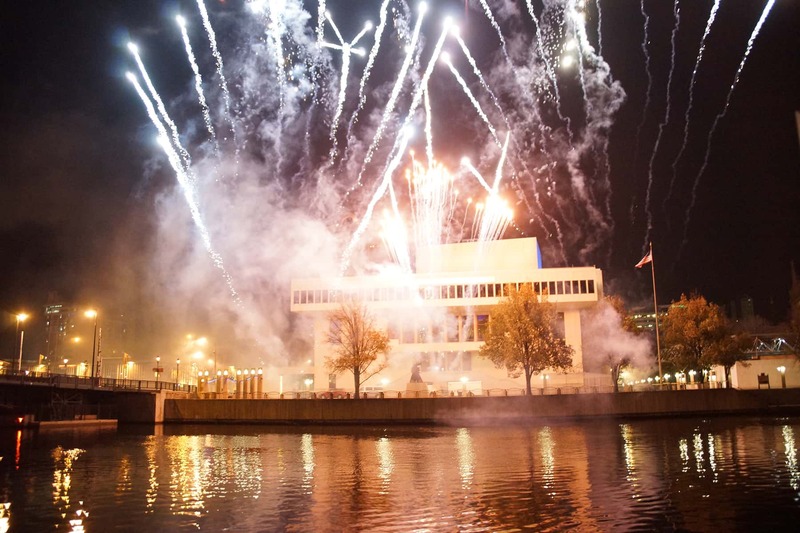 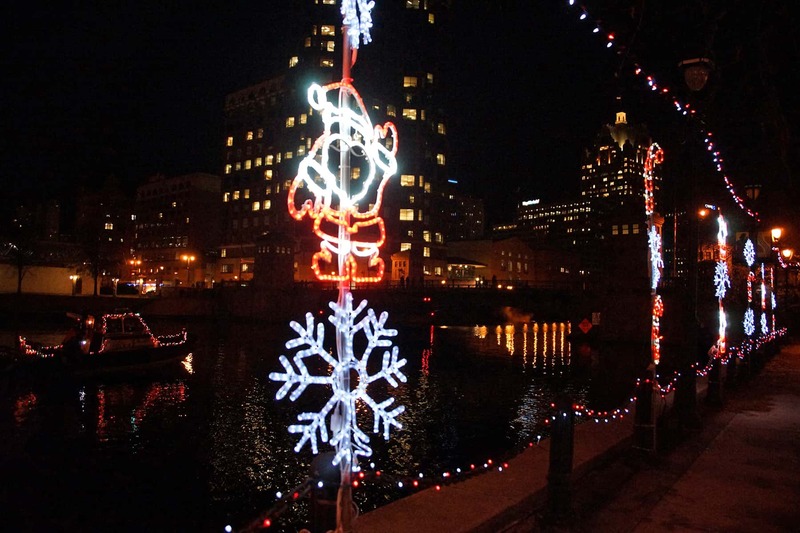 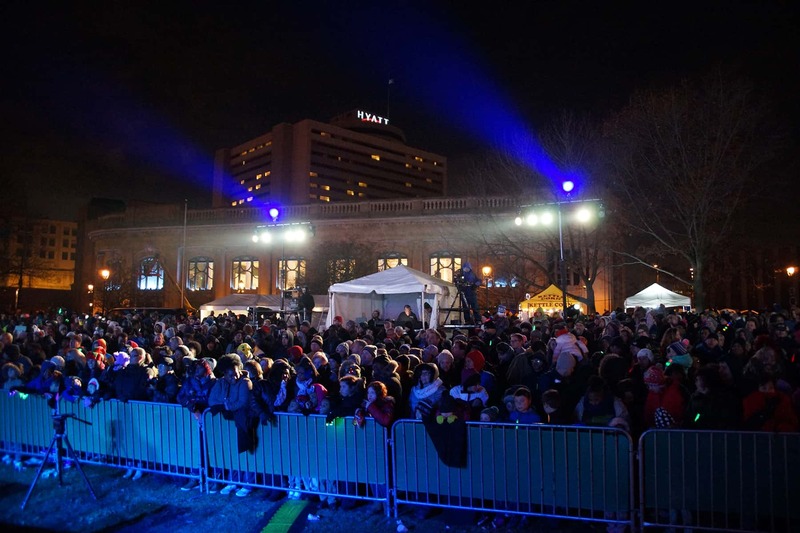 Milwaukee officially ushered in the 2018 holiday season with the city’s Christmas tree celebration and Holiday Lights Festival on November 15, events that took place on both sides of the Milwaukee River that once divided the early settlements of Juneautown and Kilbourntown in the 1840s. 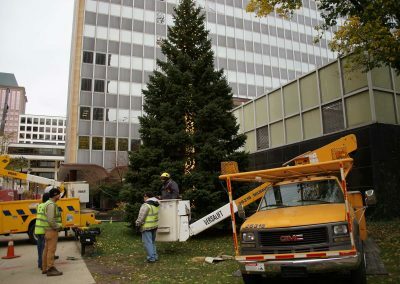 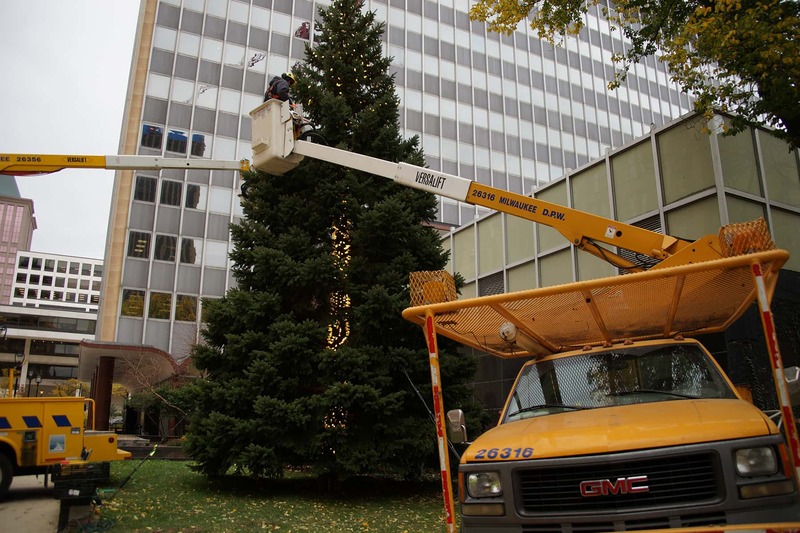 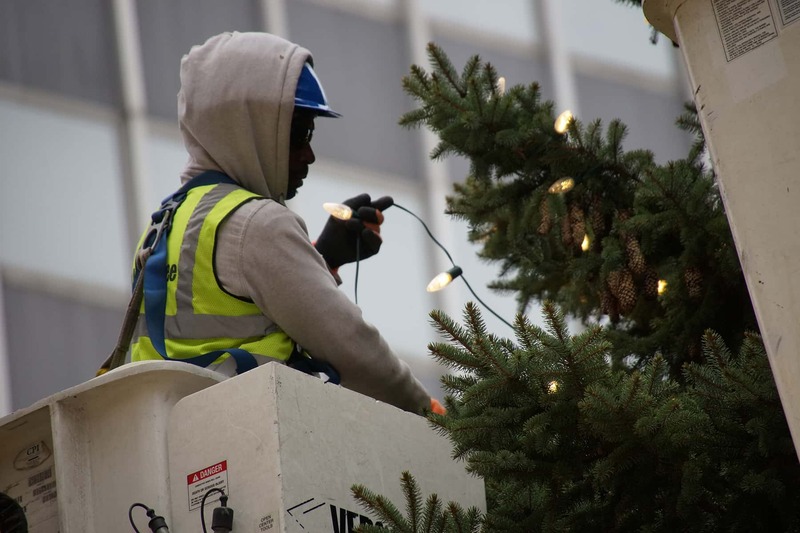 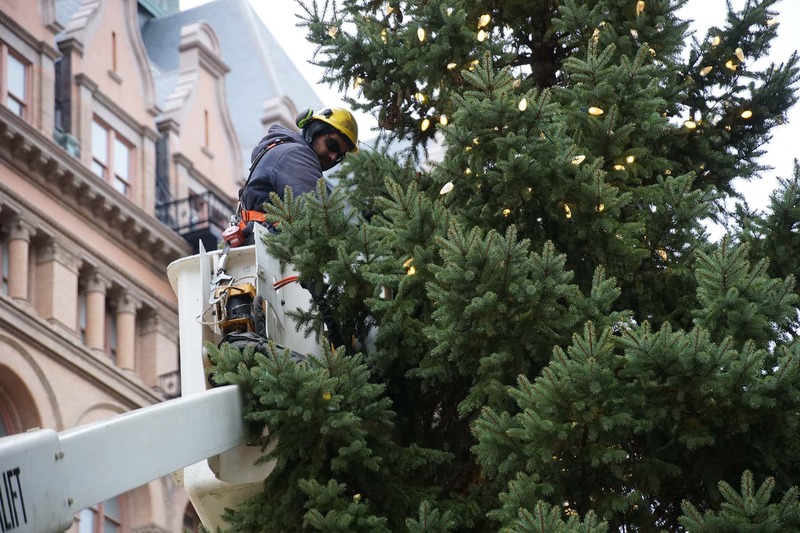 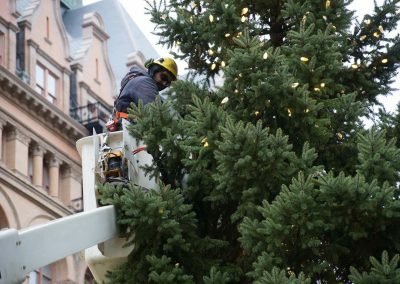 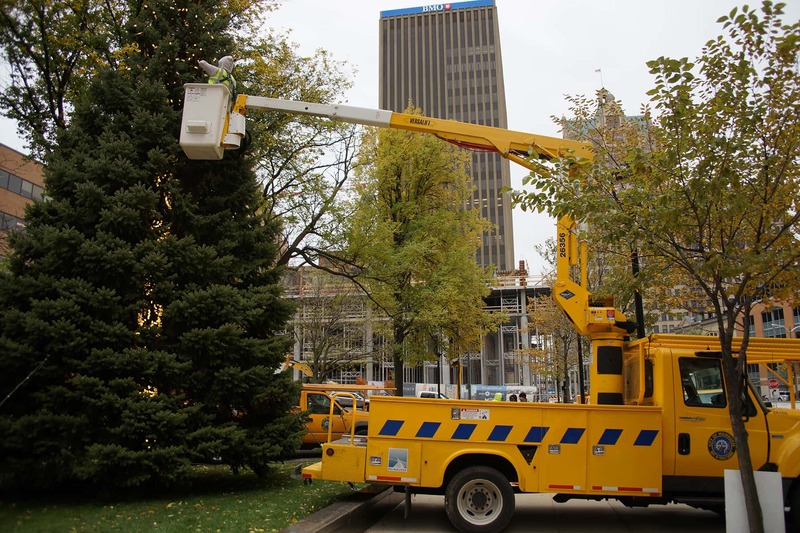 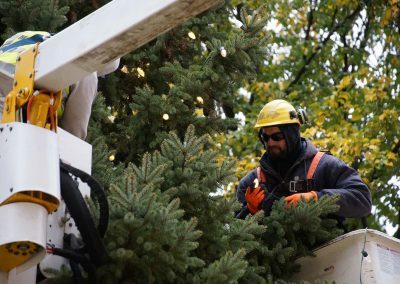 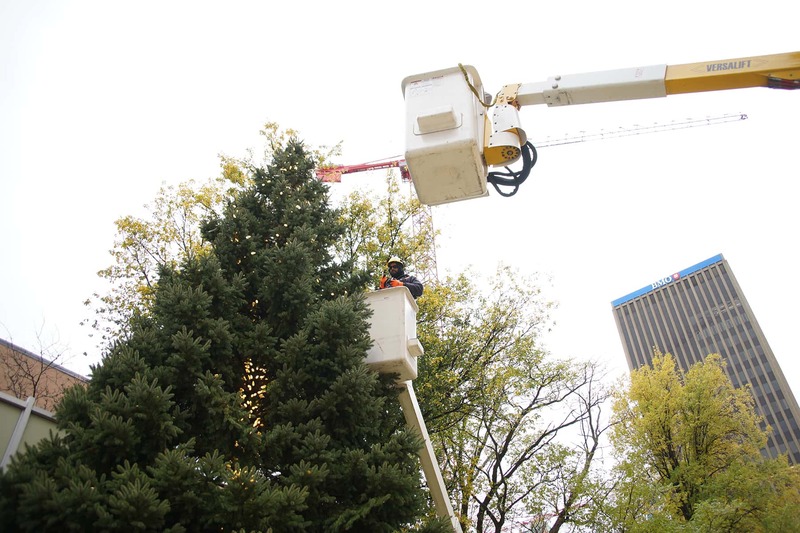 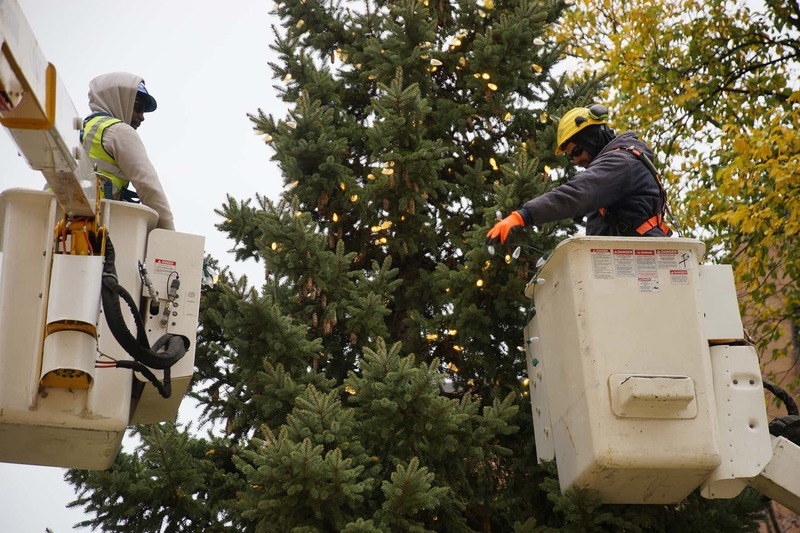 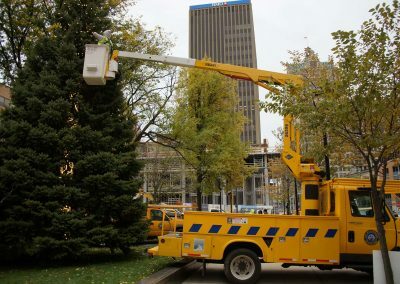 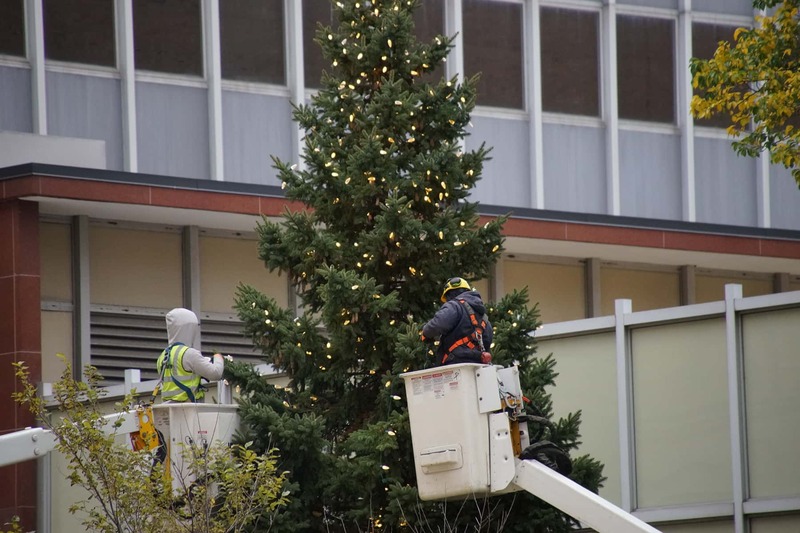 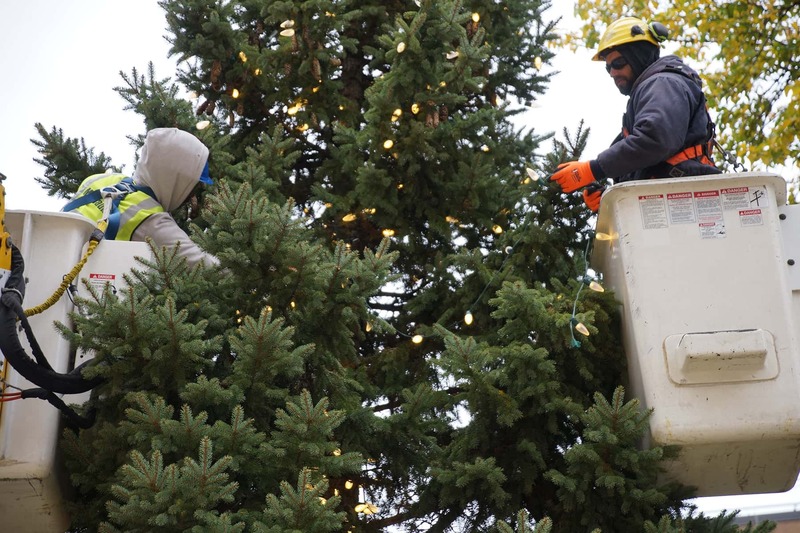 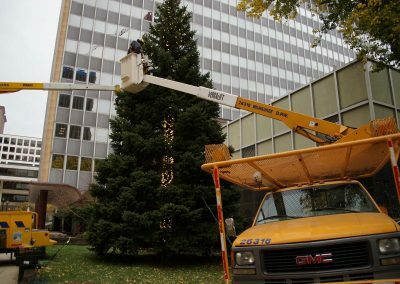 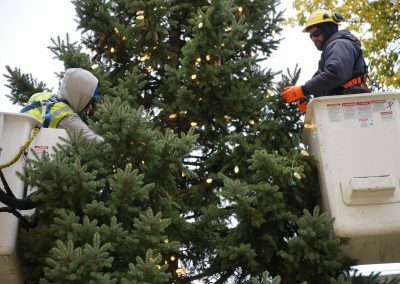 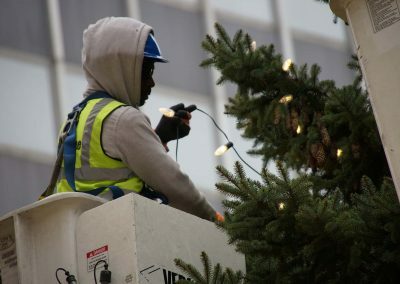 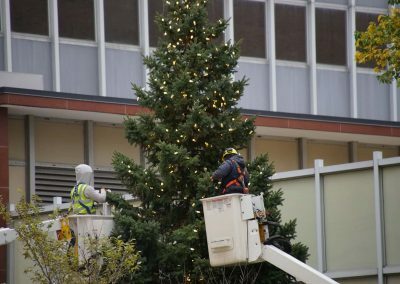 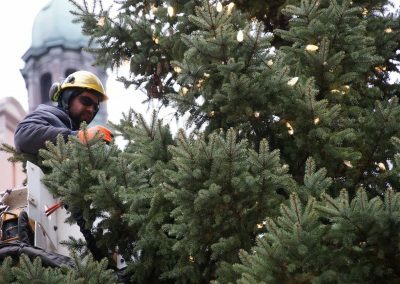 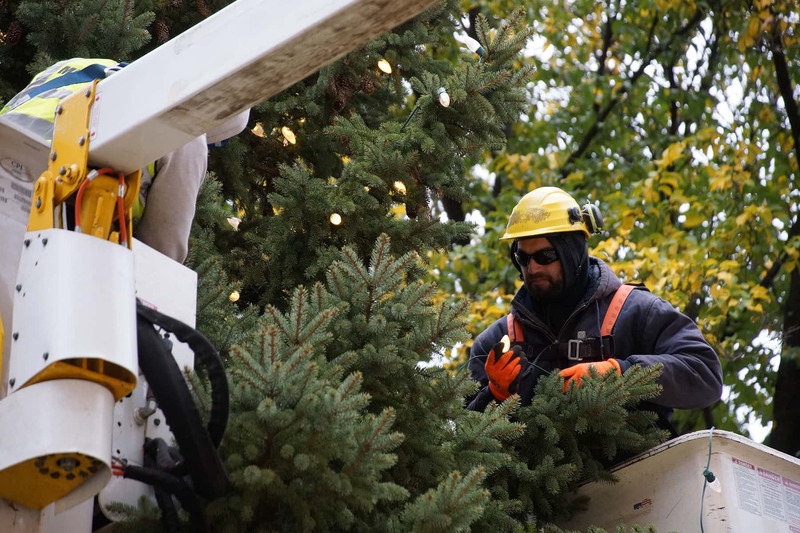 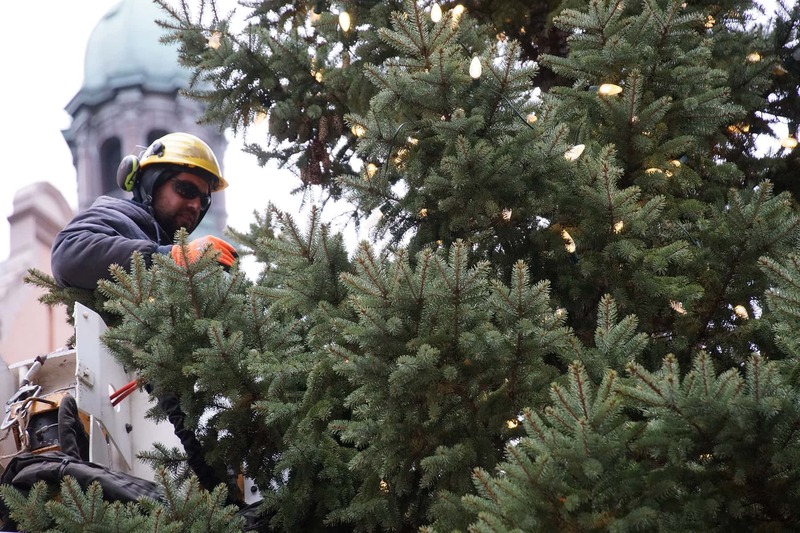 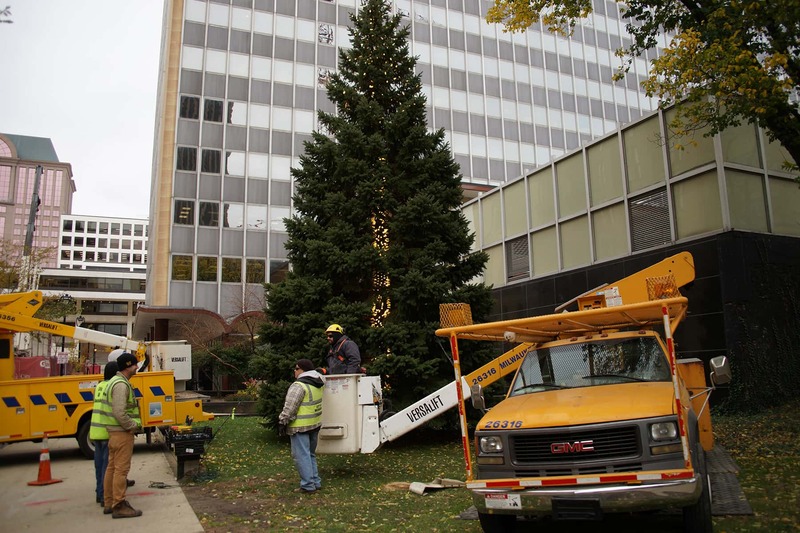 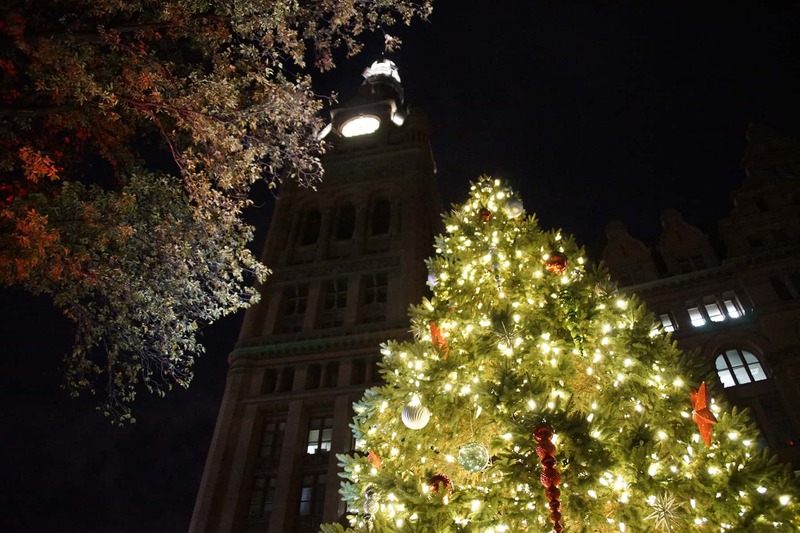 Staff from the Department of Public Works decorated the 105th annual Christmas tree, positioned across from City Hall by the Frank P. Zeidler Municipal Building, with more than 5,000 lights and 150 ornaments. 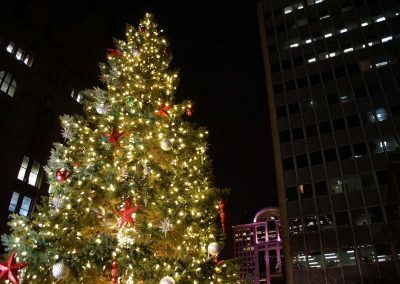 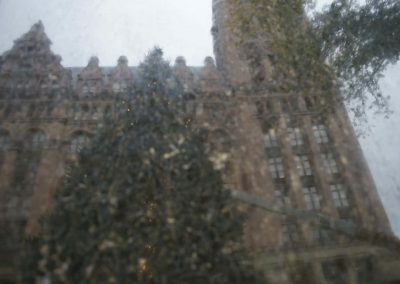 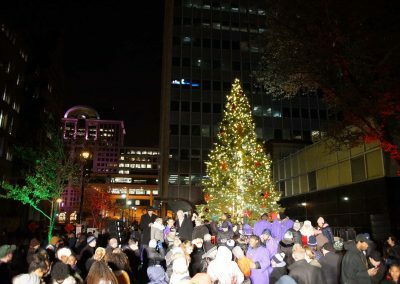 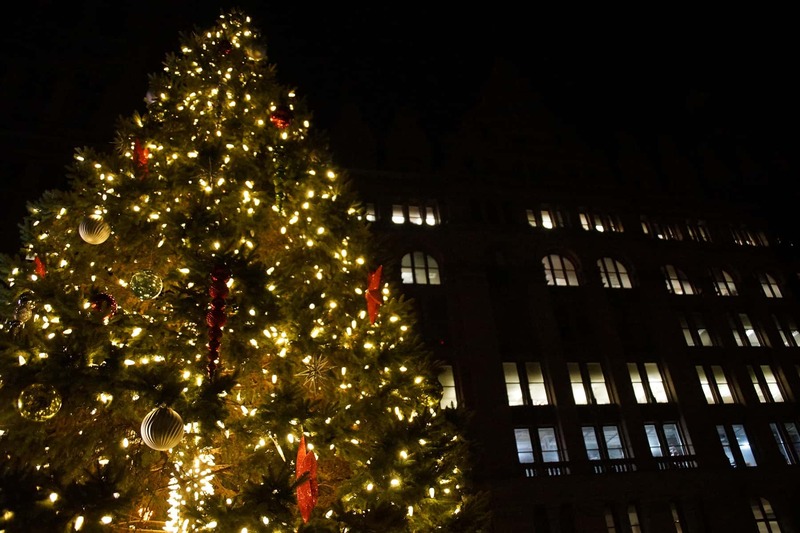 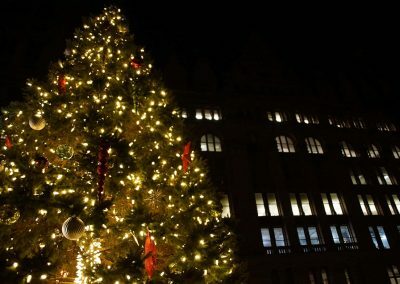 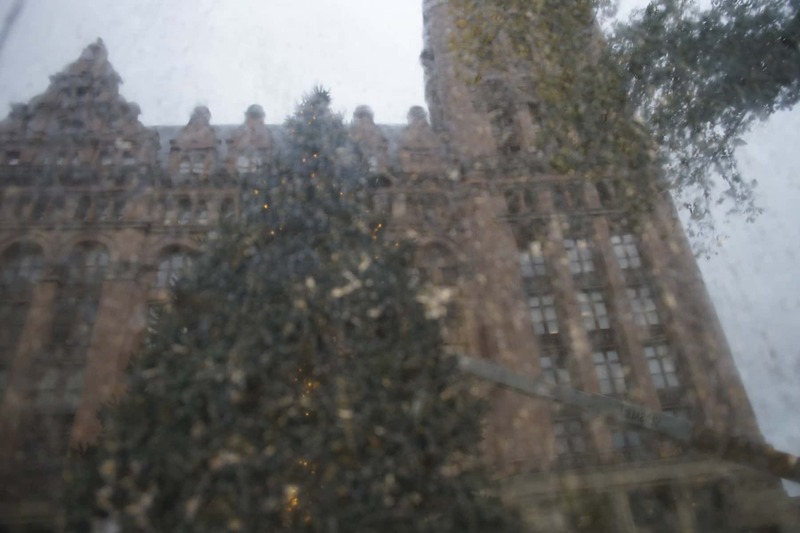 Milwaukee’s Christmas tree lighting is the second oldest celebration of its kind in the United States, behind New York City. 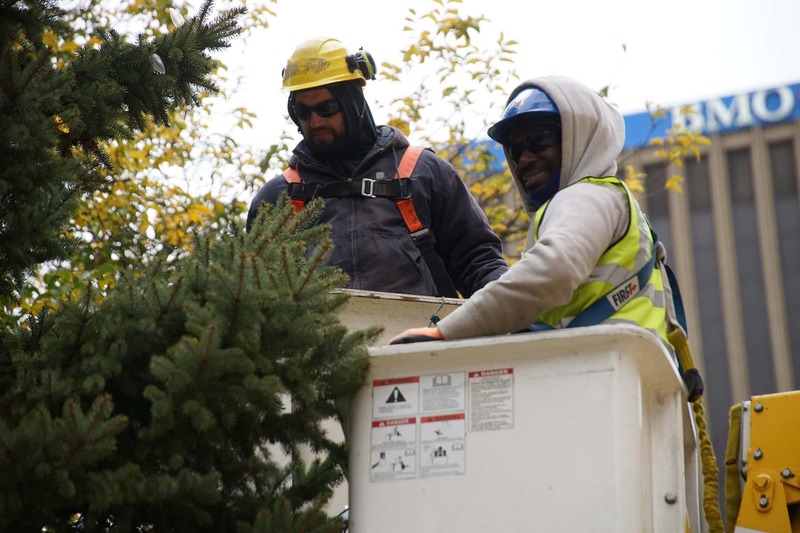 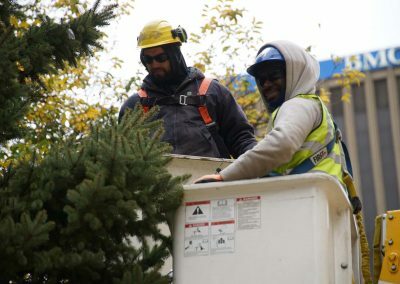 This year’s holiday tree is a 37-foot Colorado Blue Spruce, donated by Daniel and Calina Badillo who are residents in the 11th Aldermanic District. 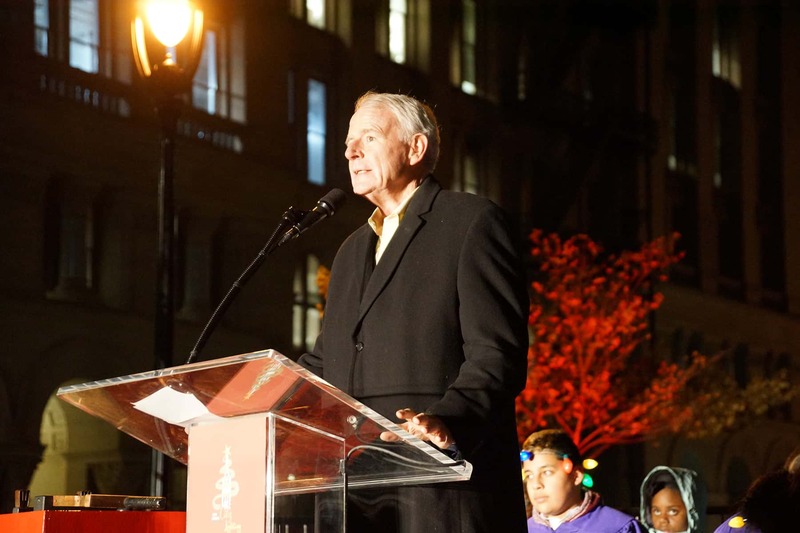 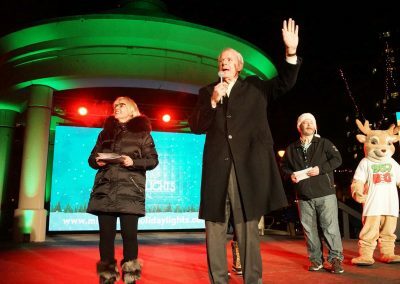 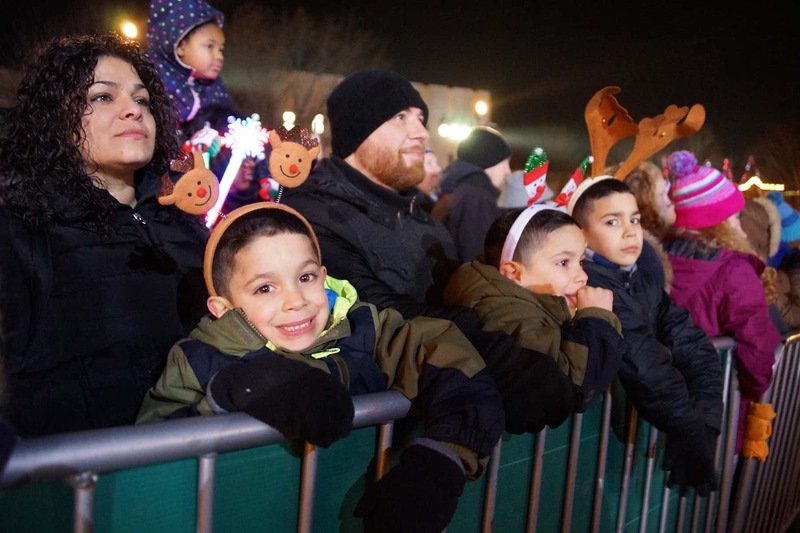 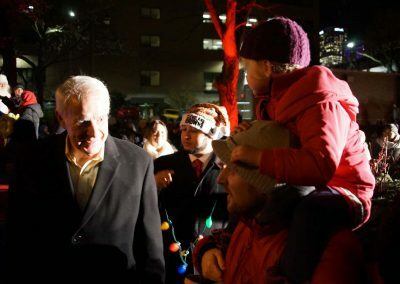 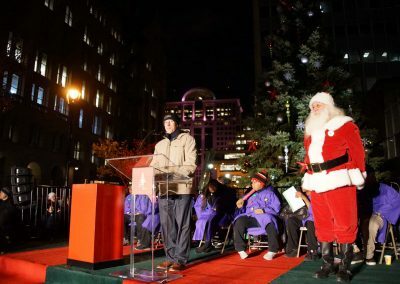 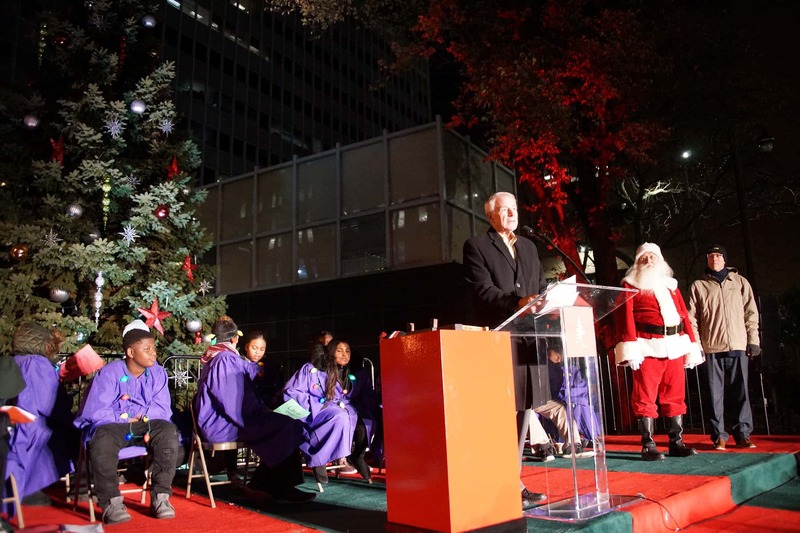 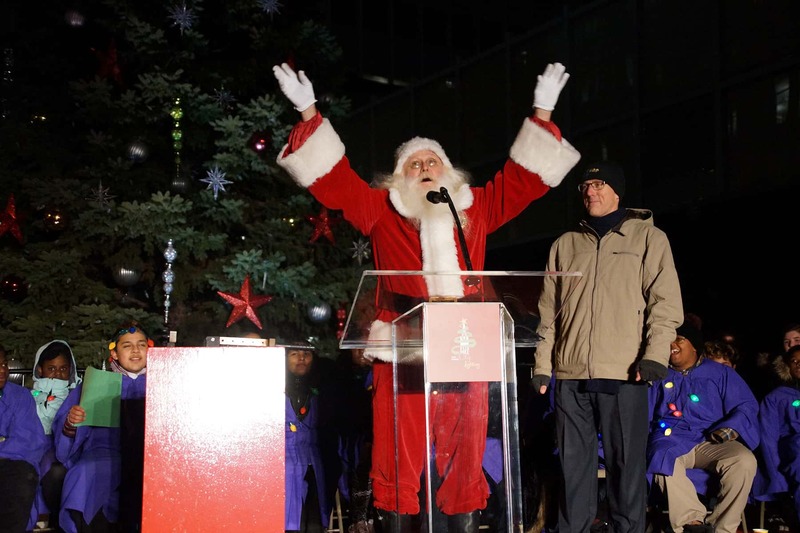 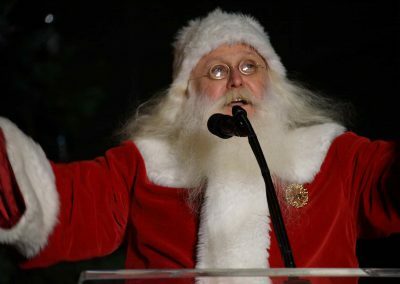 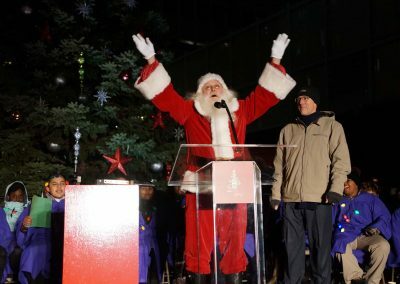 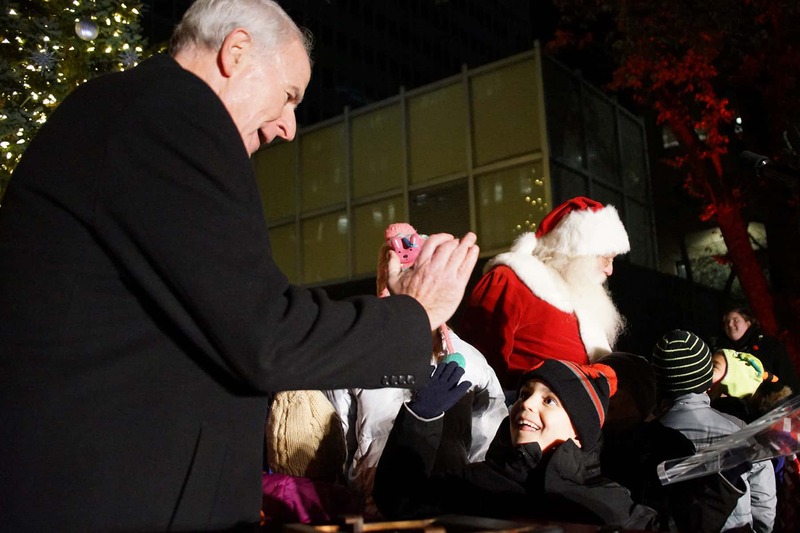 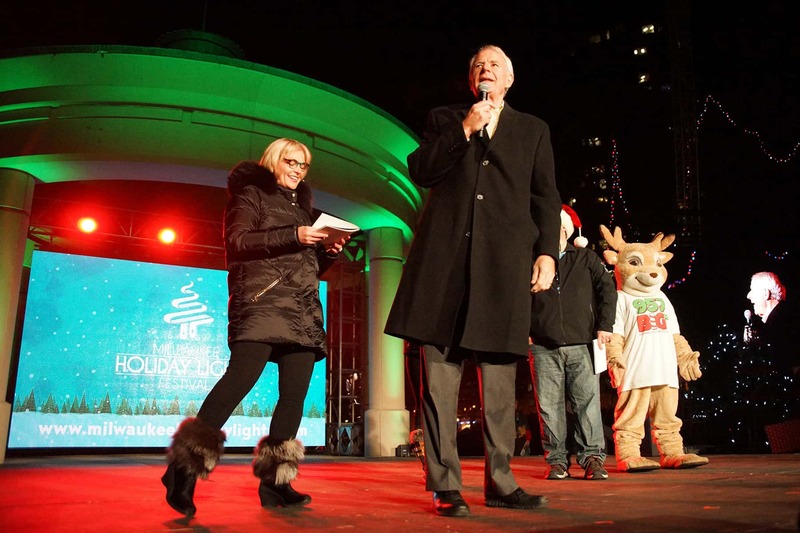 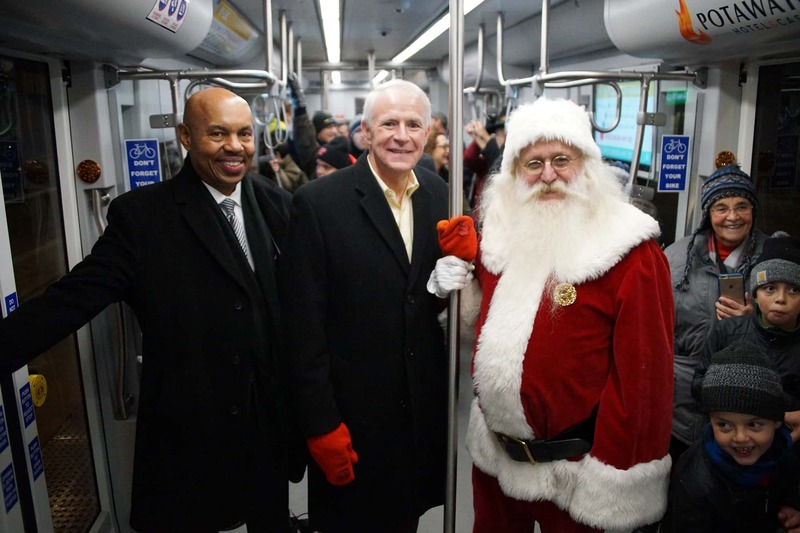 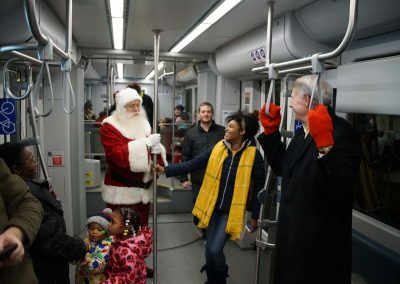 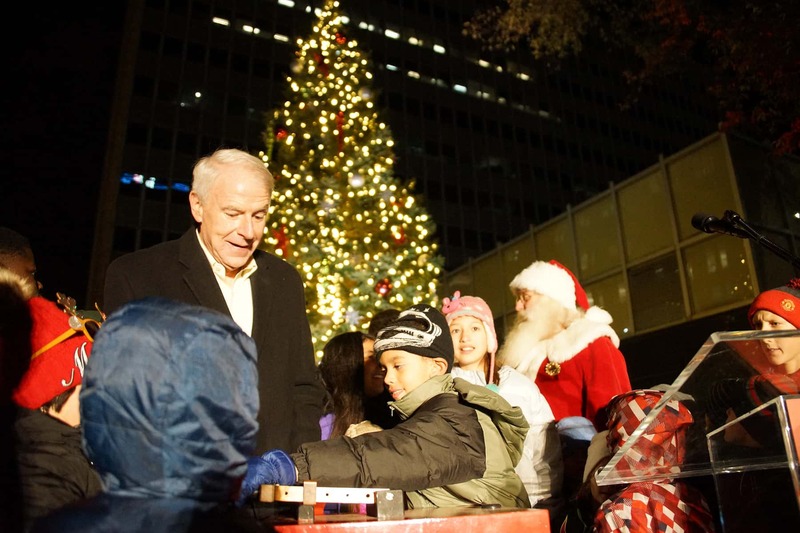 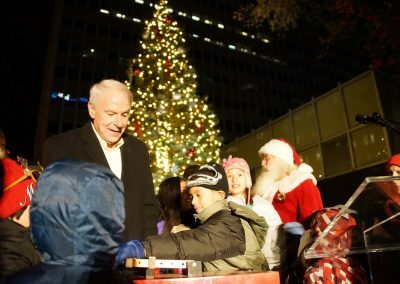 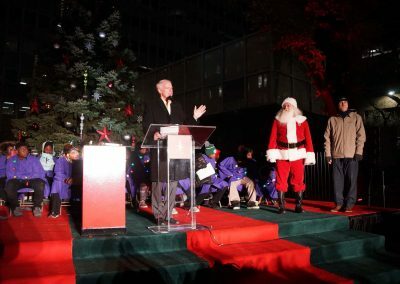 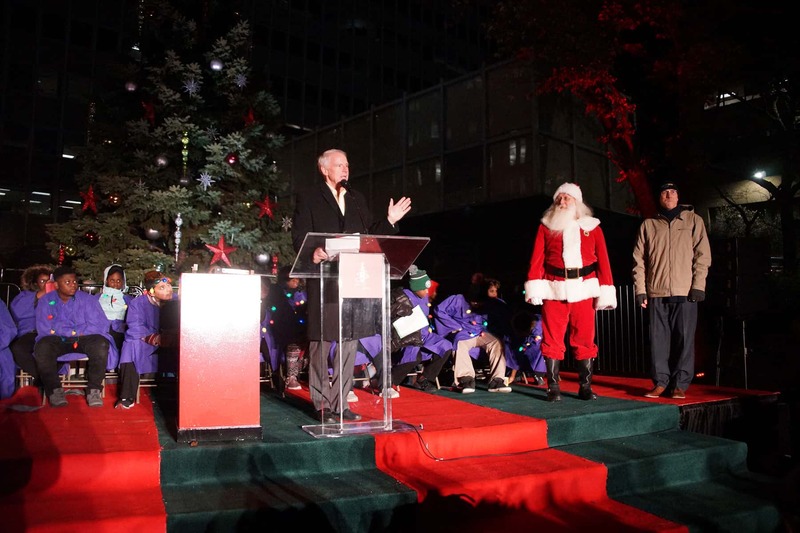 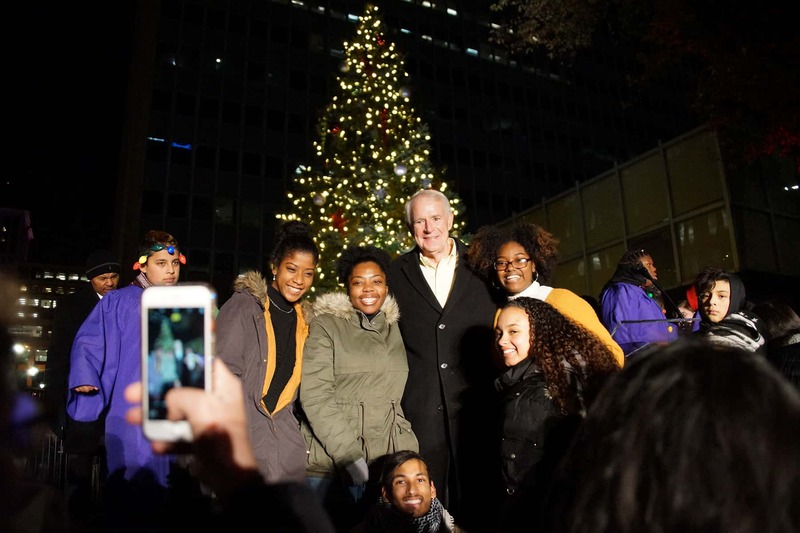 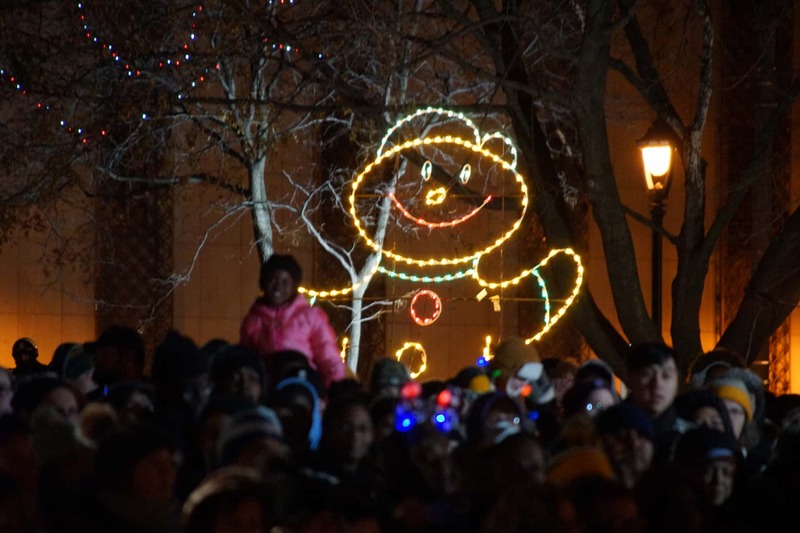 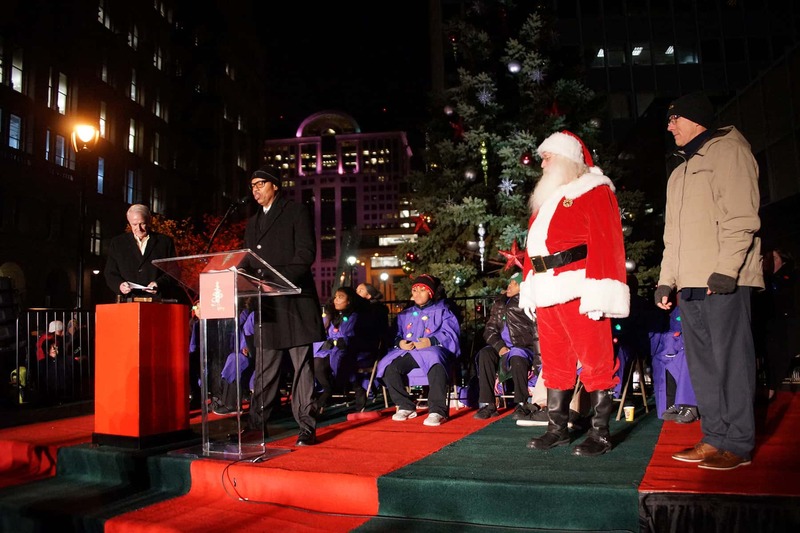 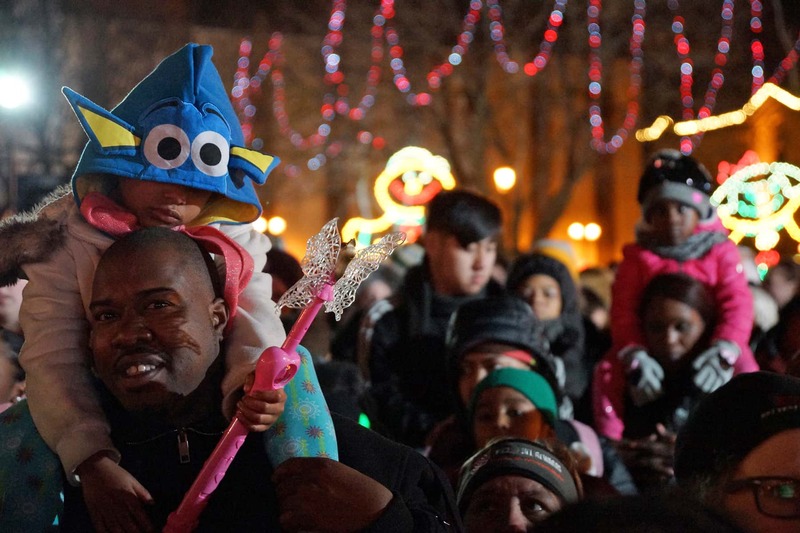 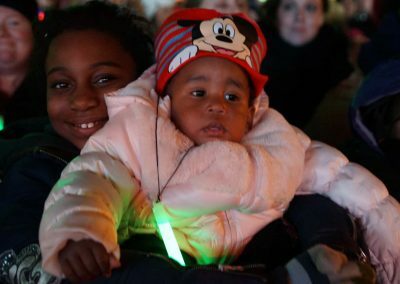 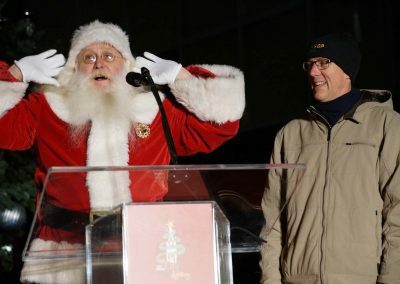 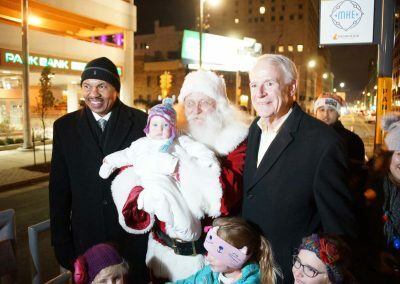 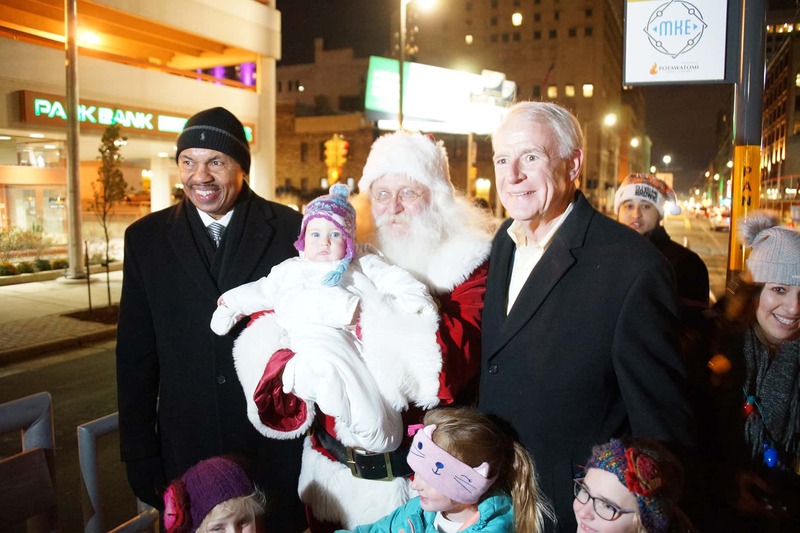 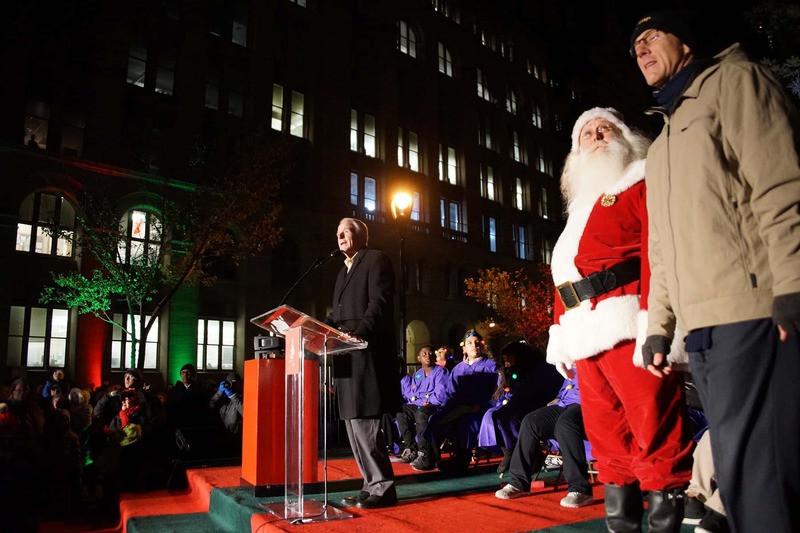 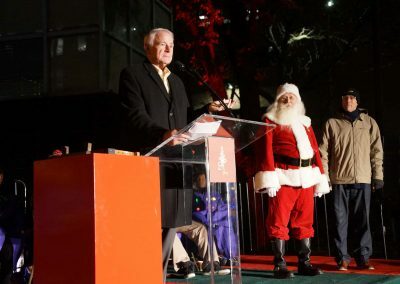 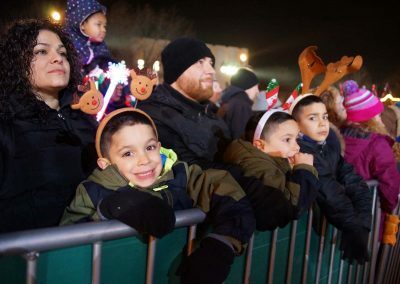 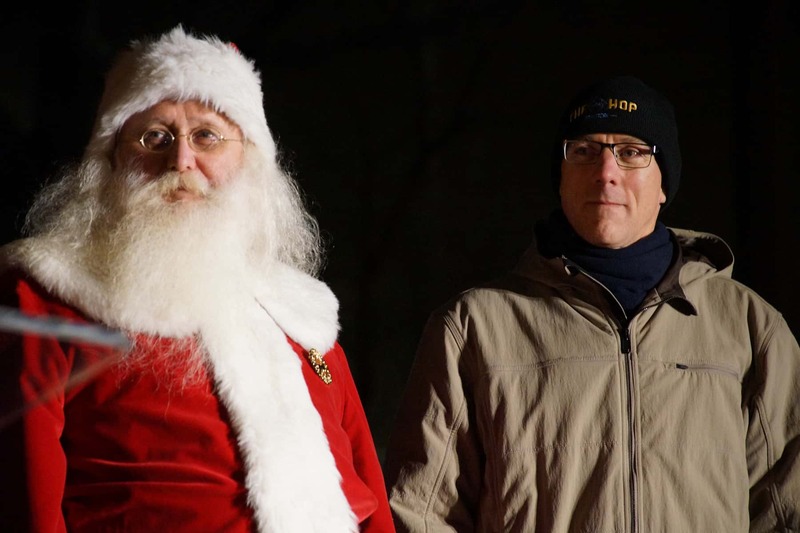 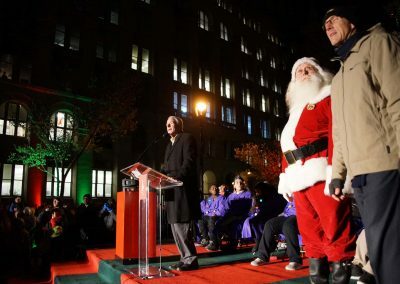 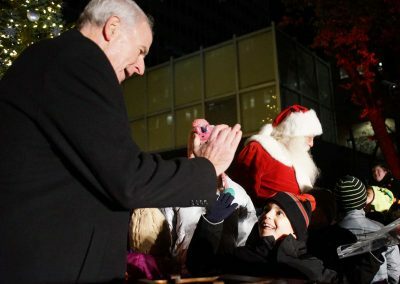 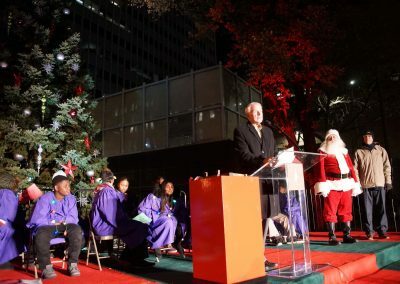 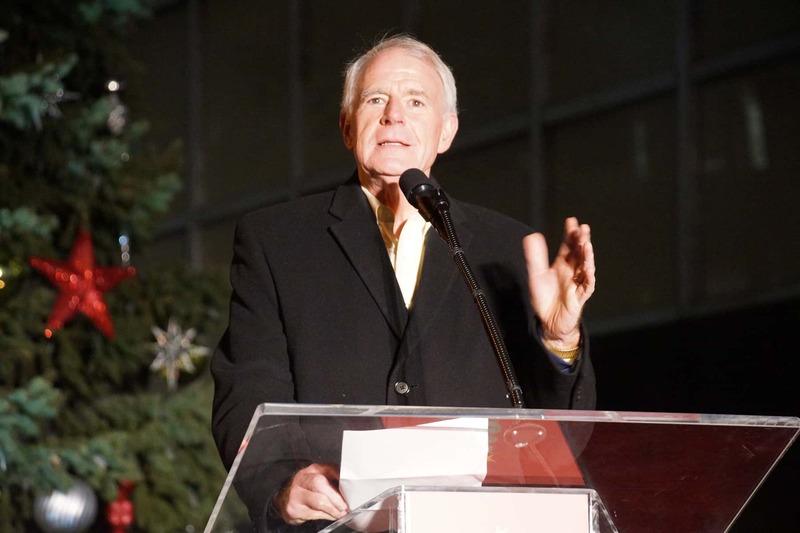 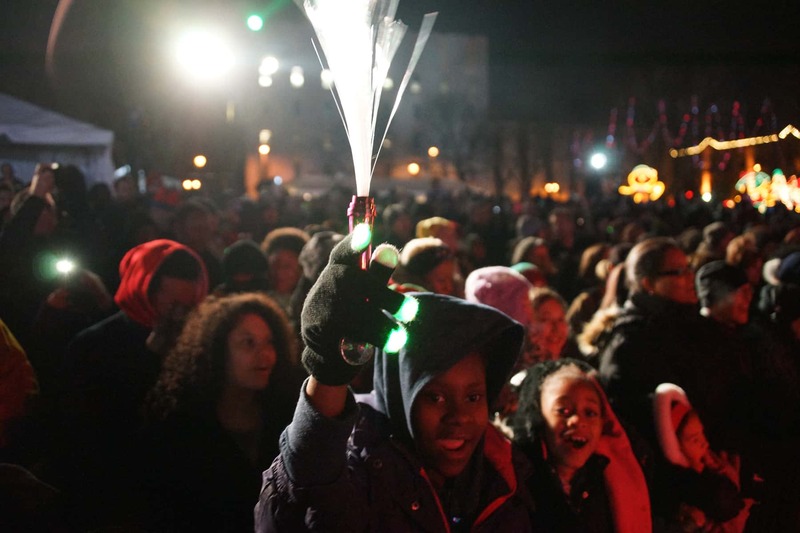 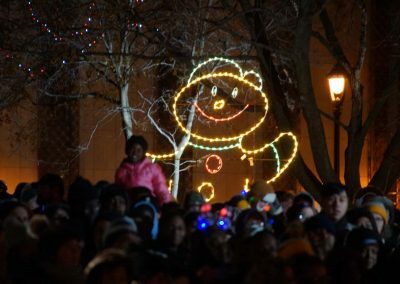 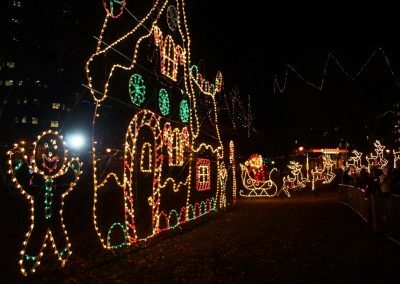 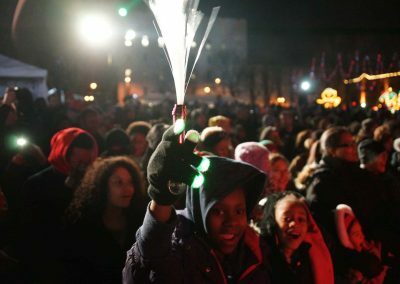 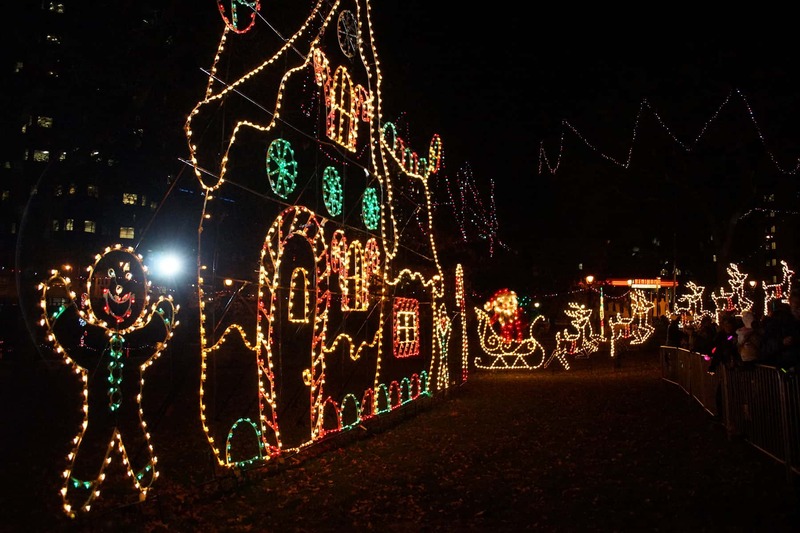 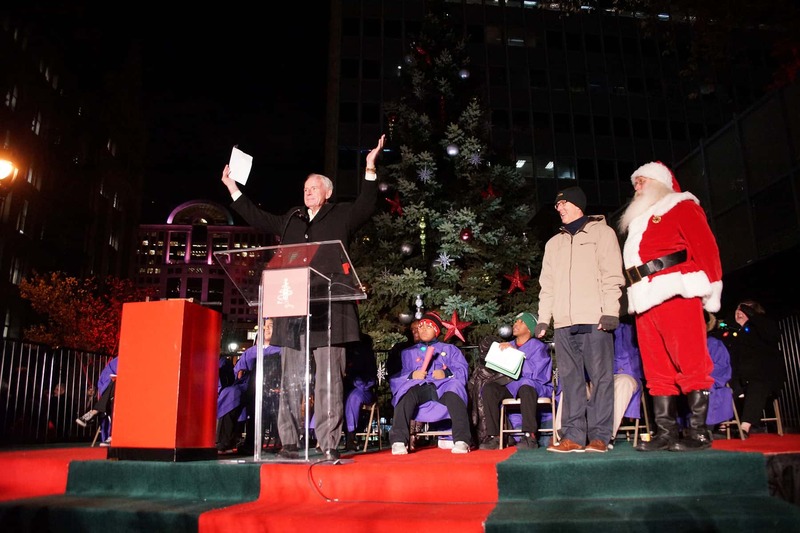 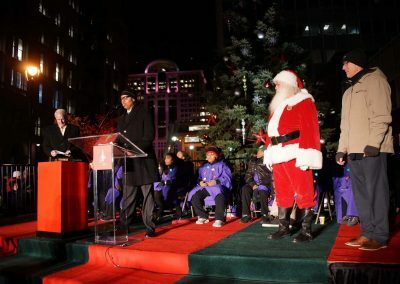 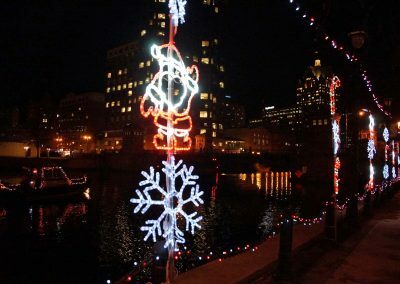 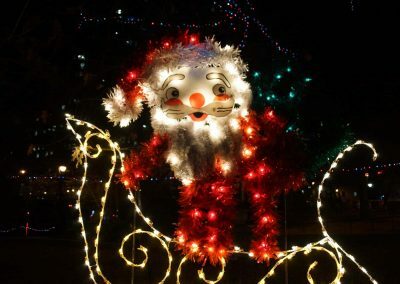 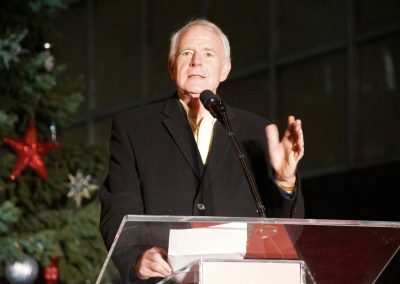 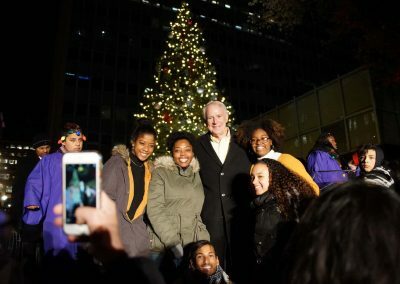 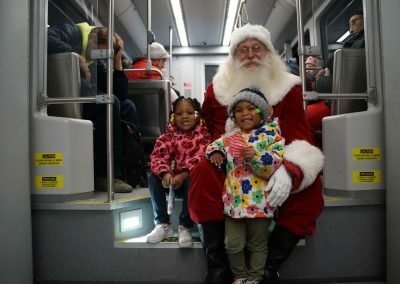 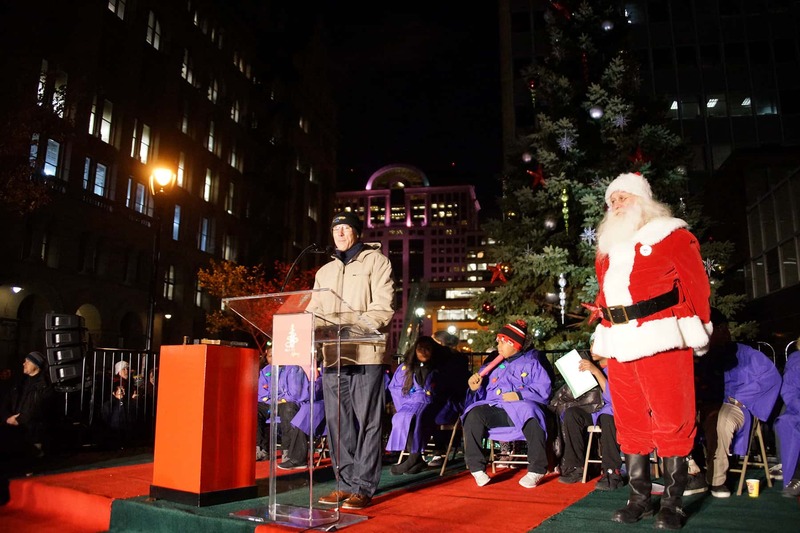 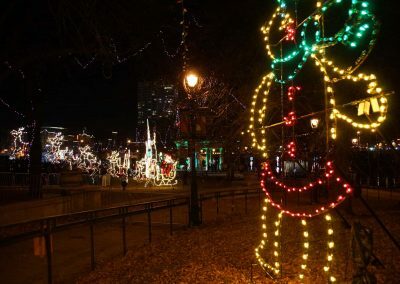 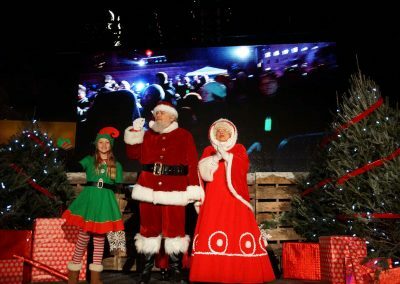 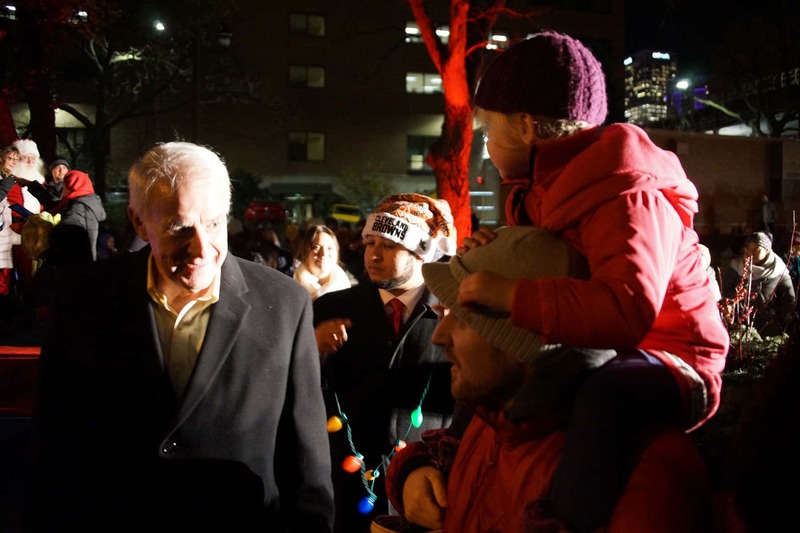 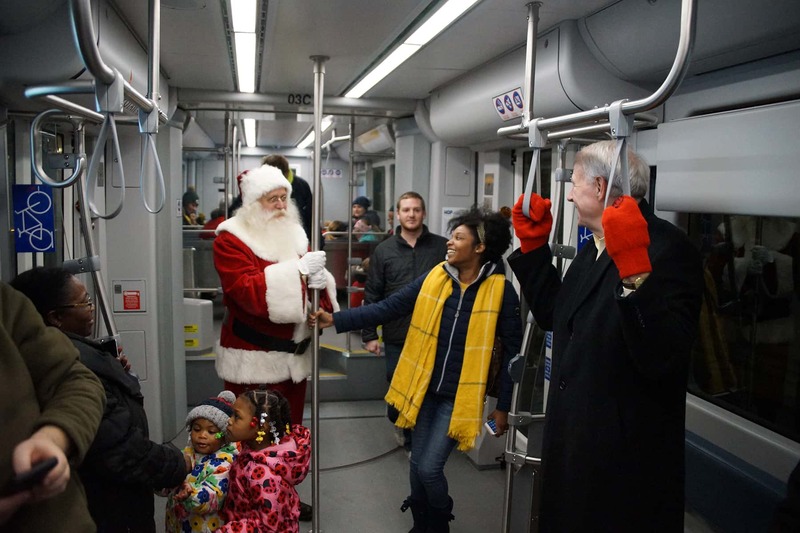 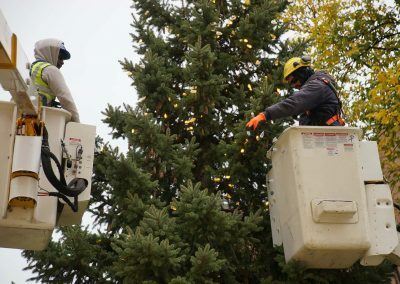 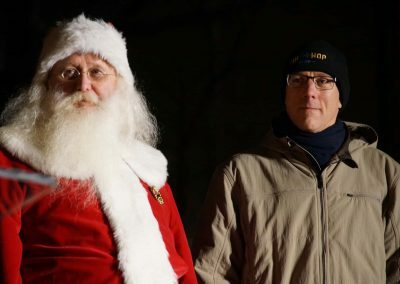 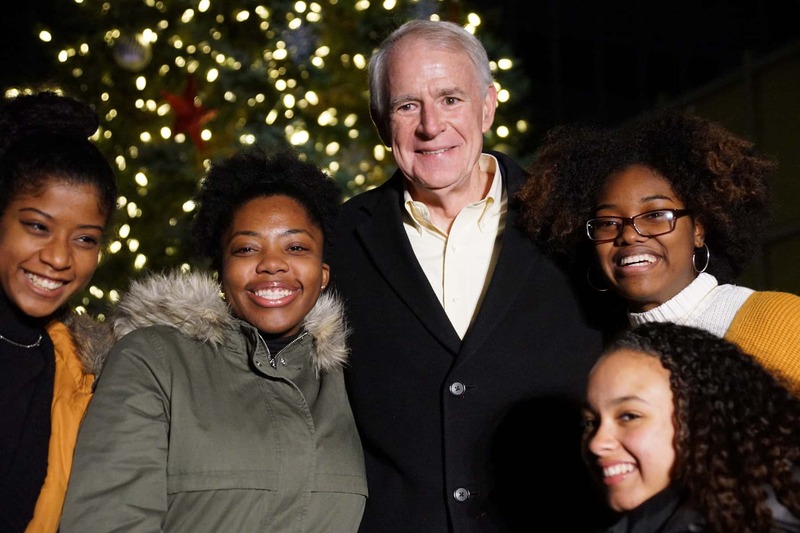 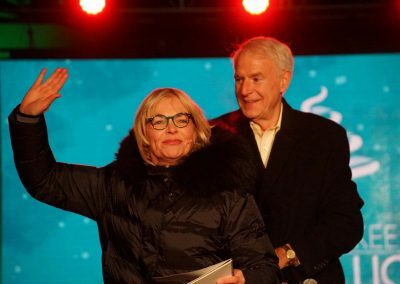 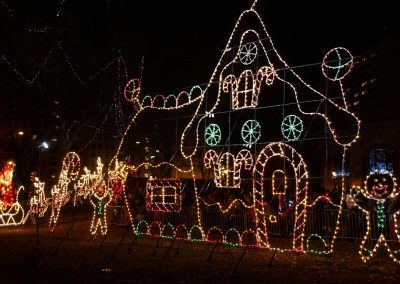 The illumination switch was flipped again this year by Mayor Tom Barrett, with the help of area children and Santa Claus. 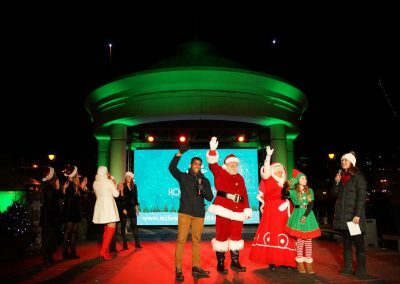 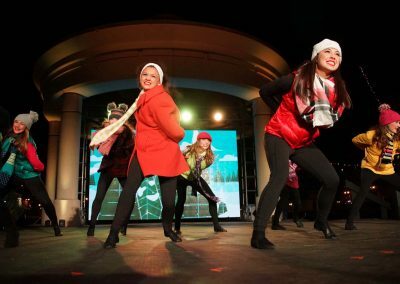 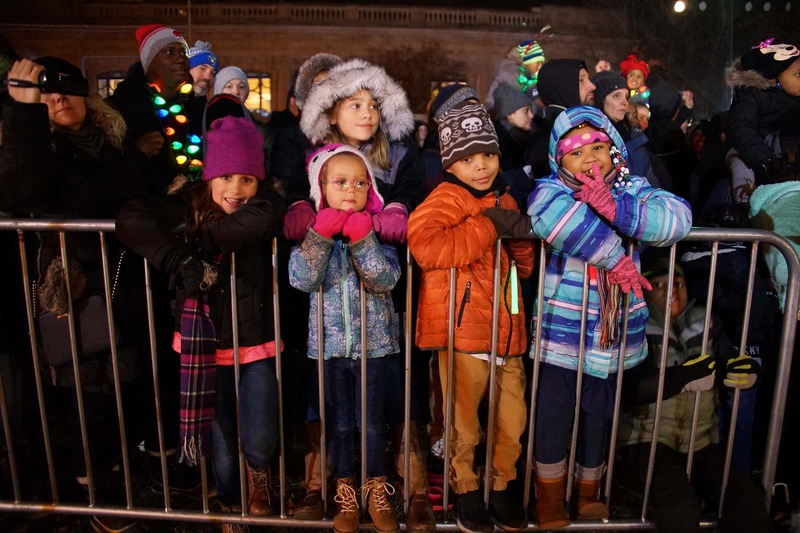 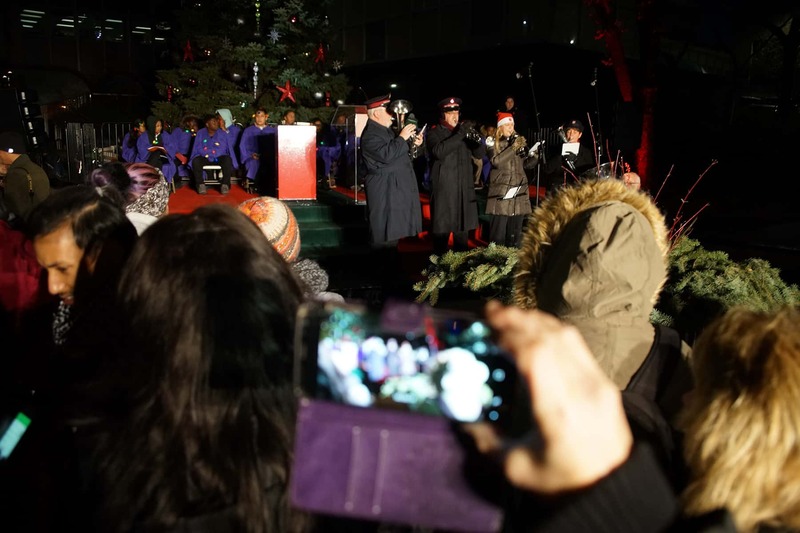 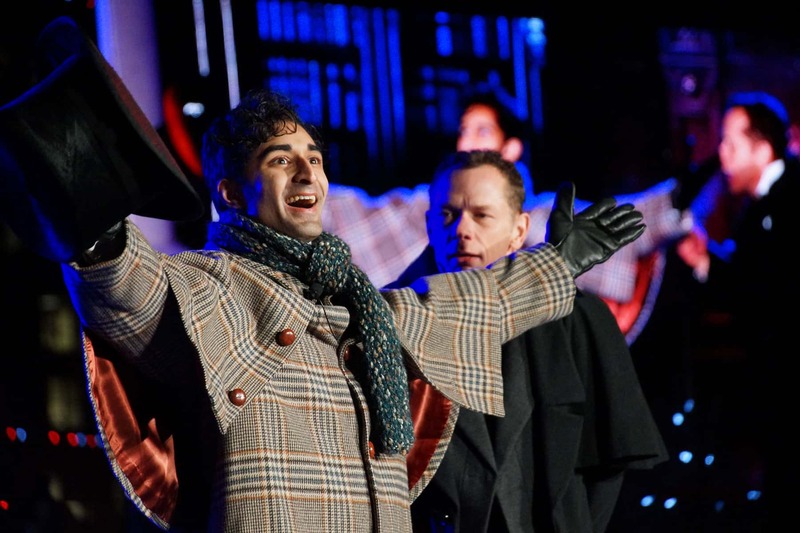 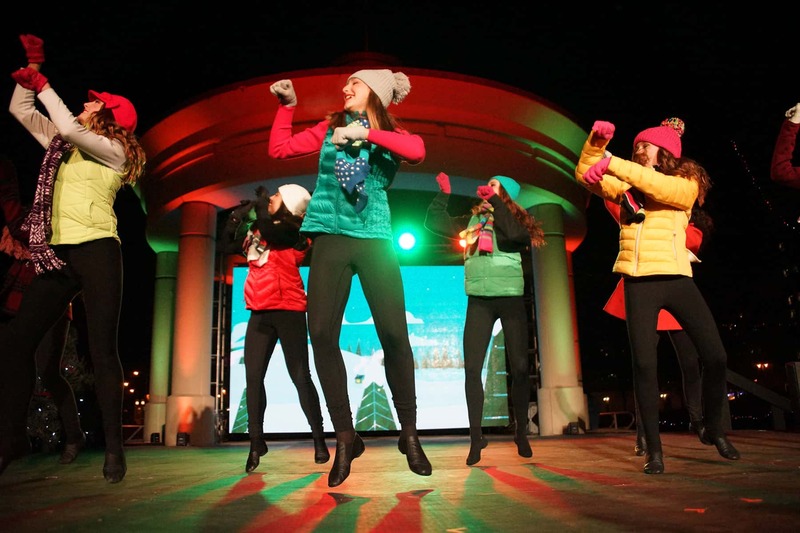 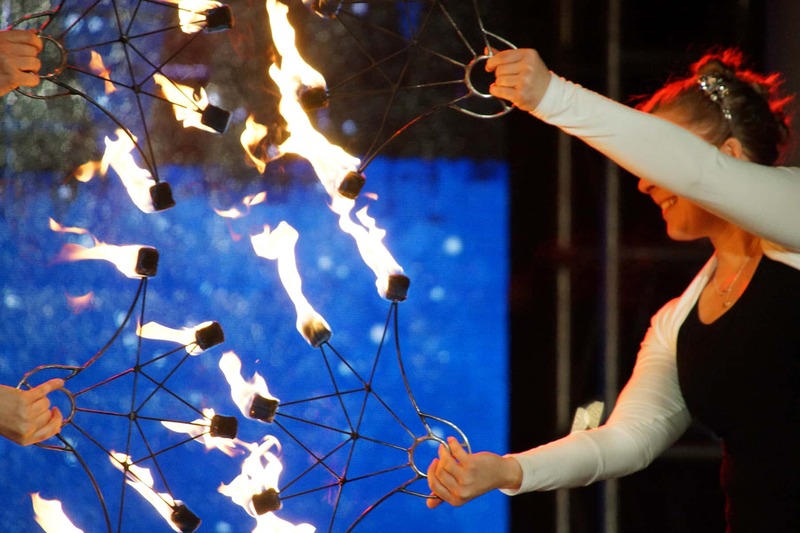 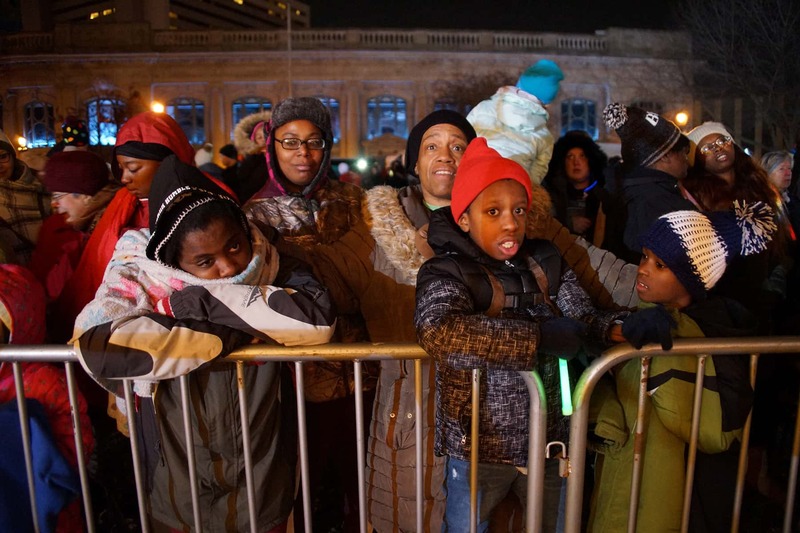 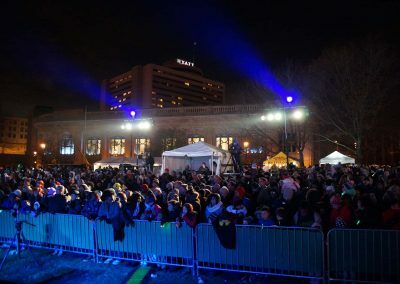 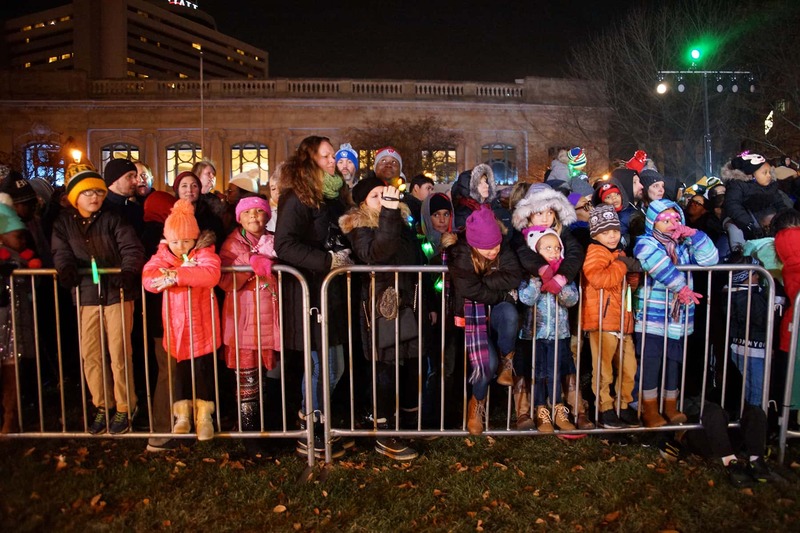 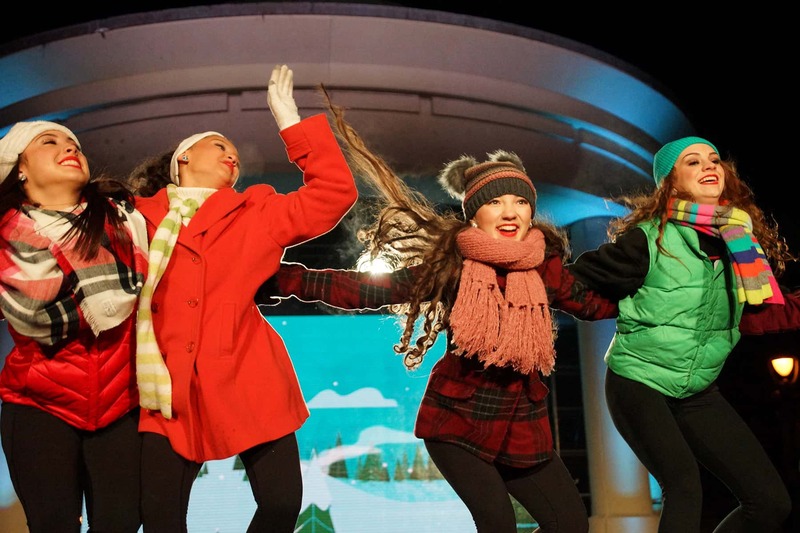 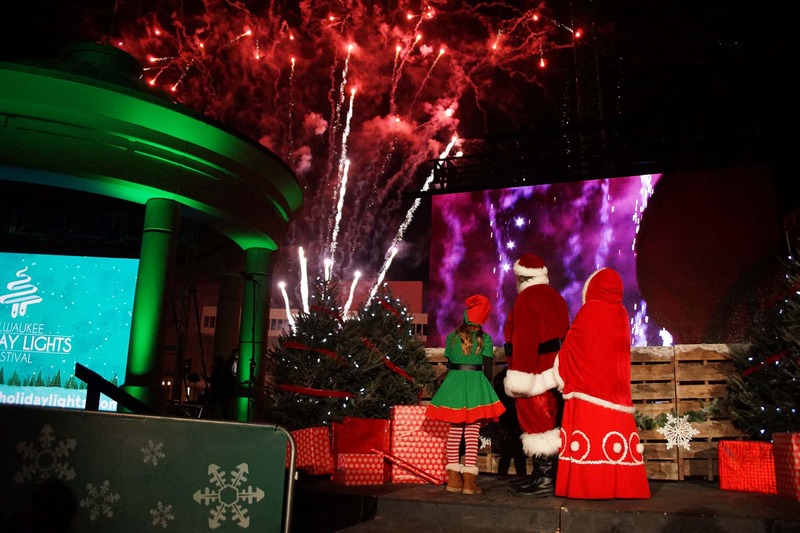 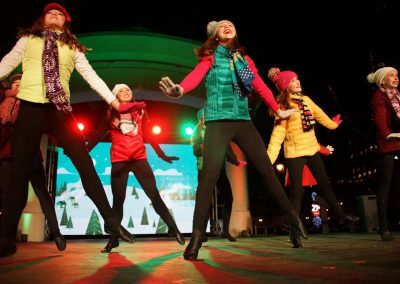 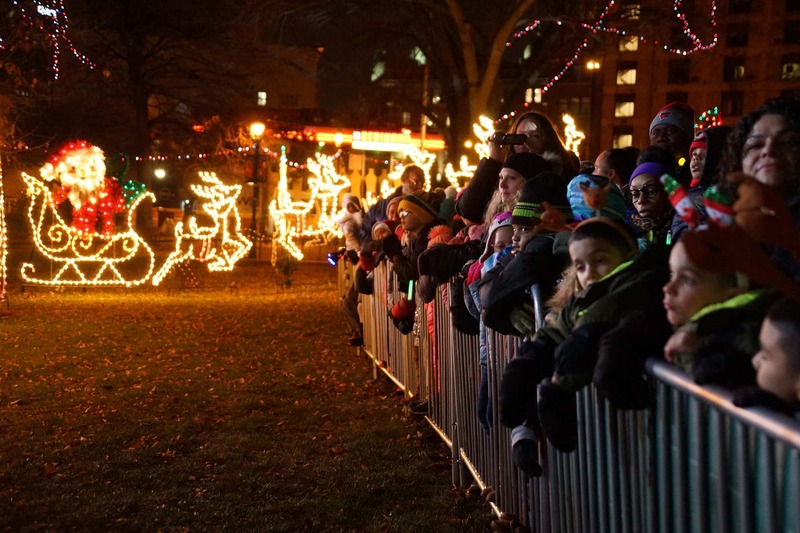 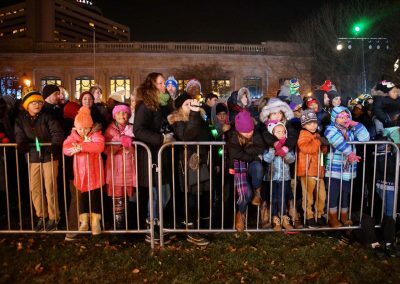 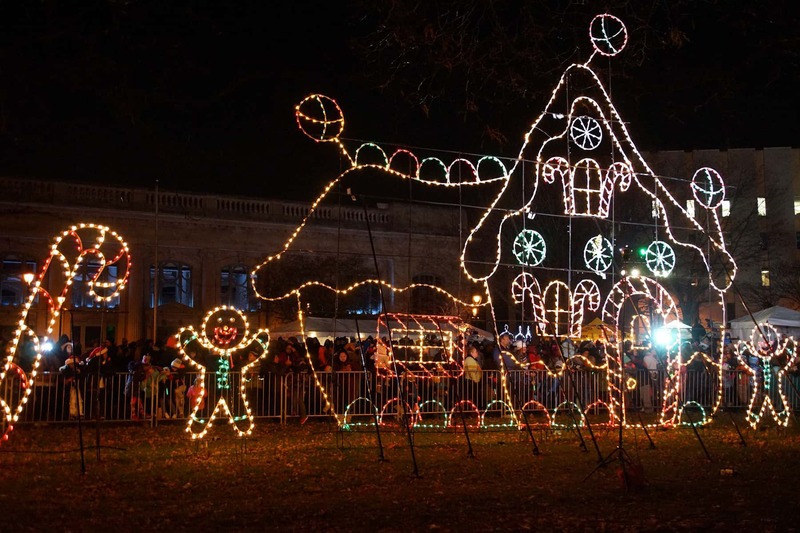 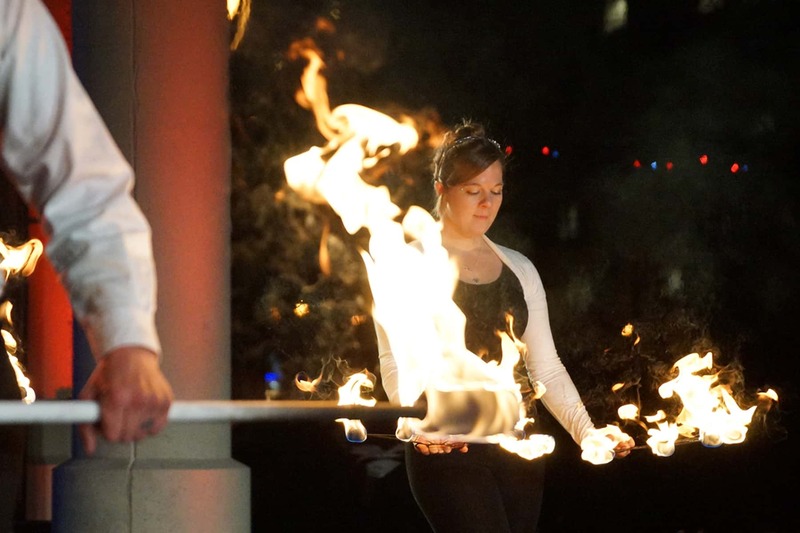 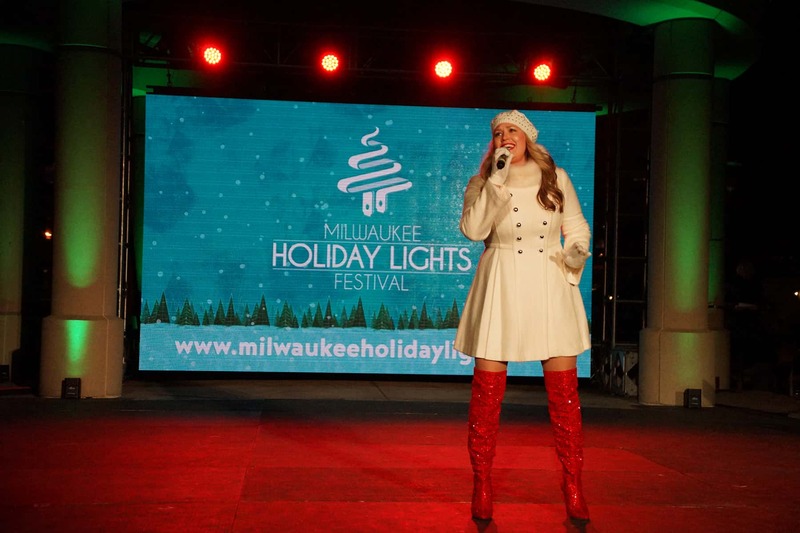 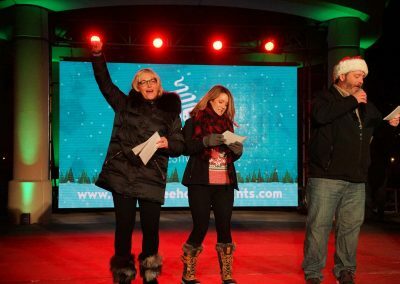 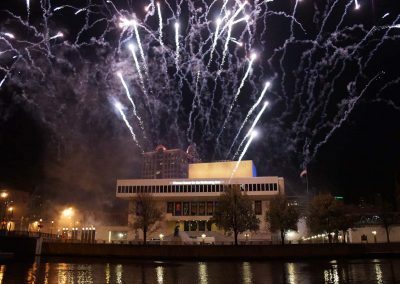 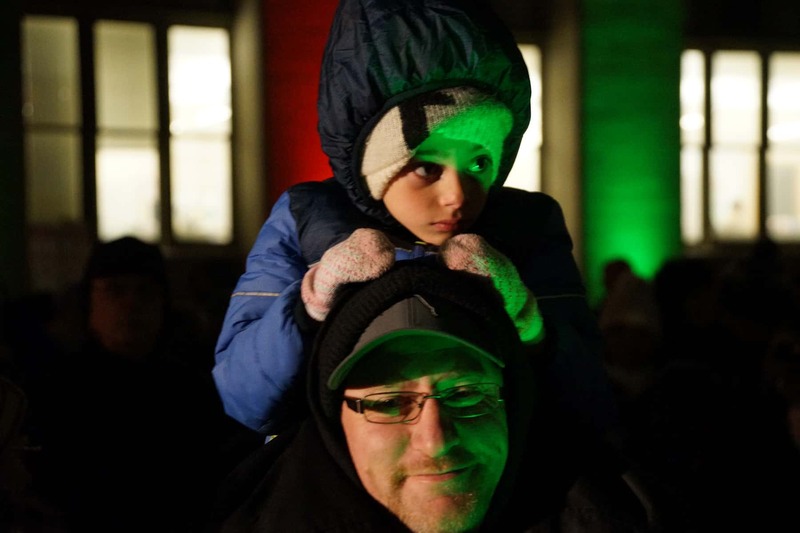 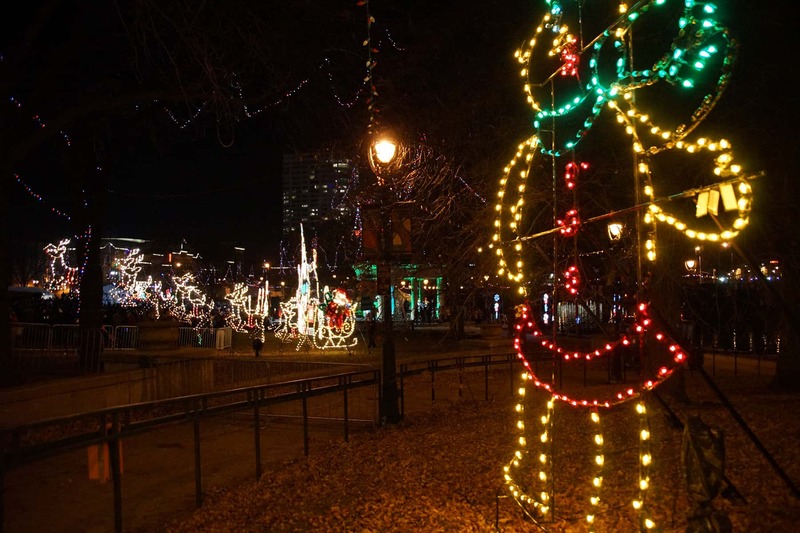 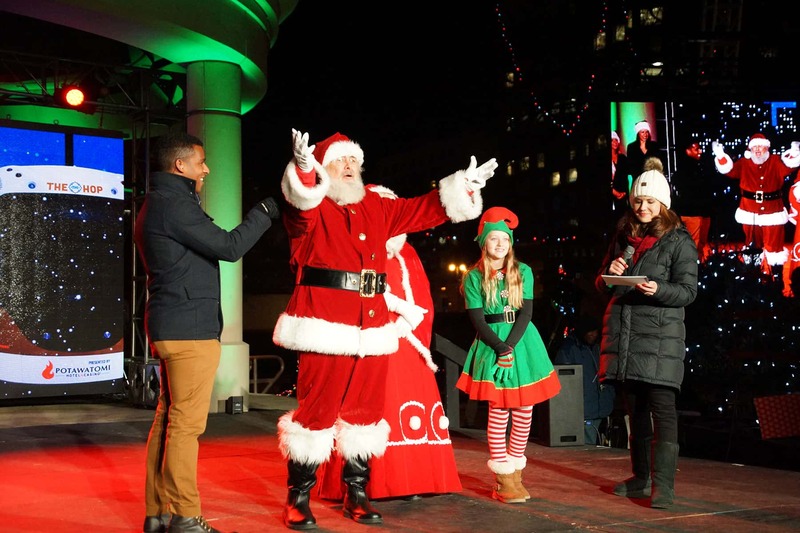 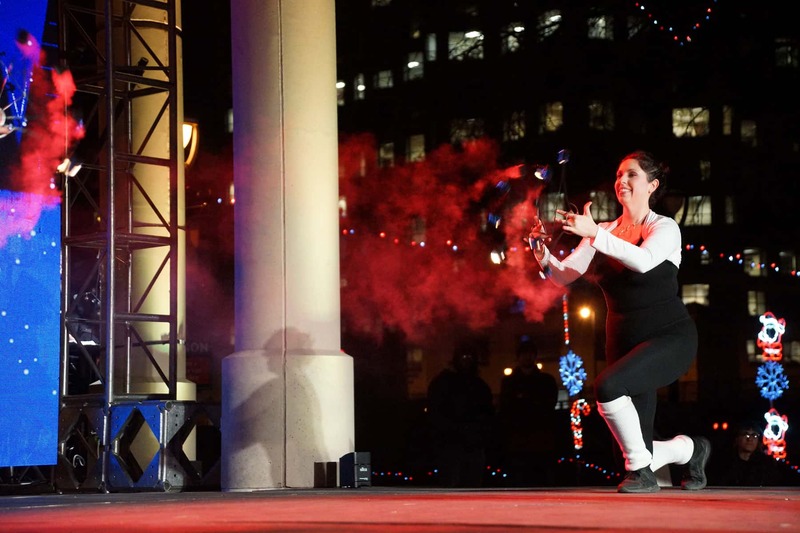 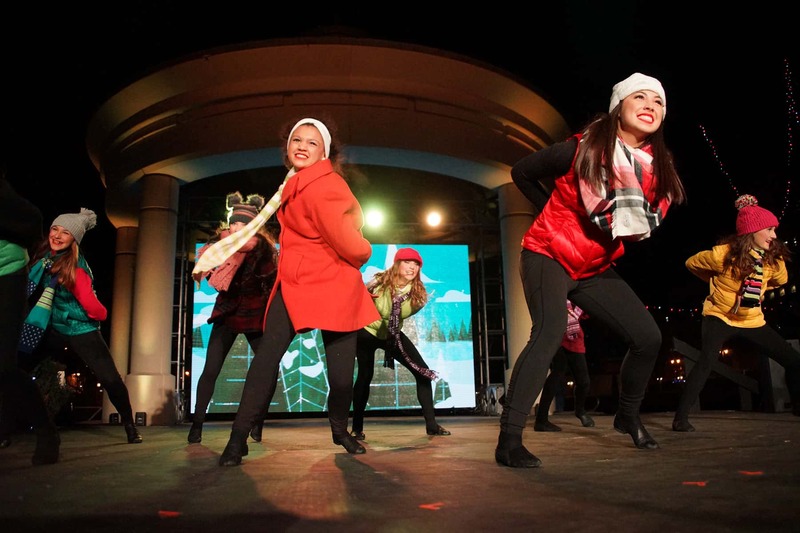 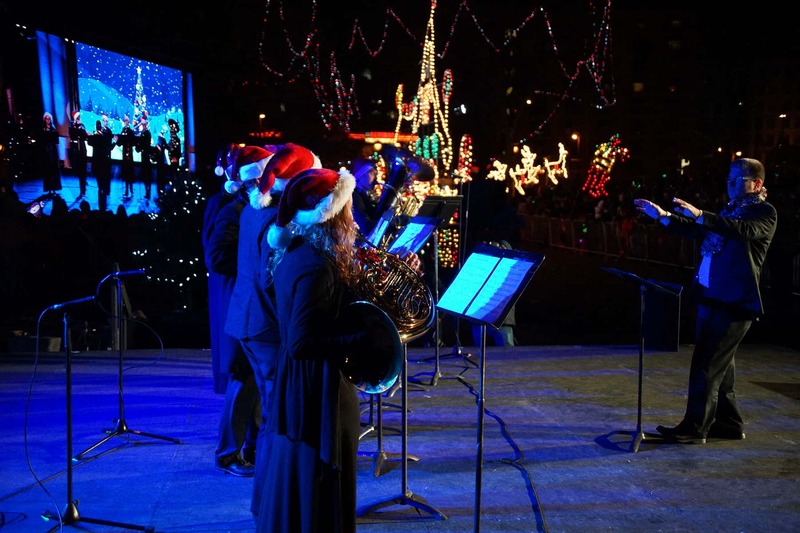 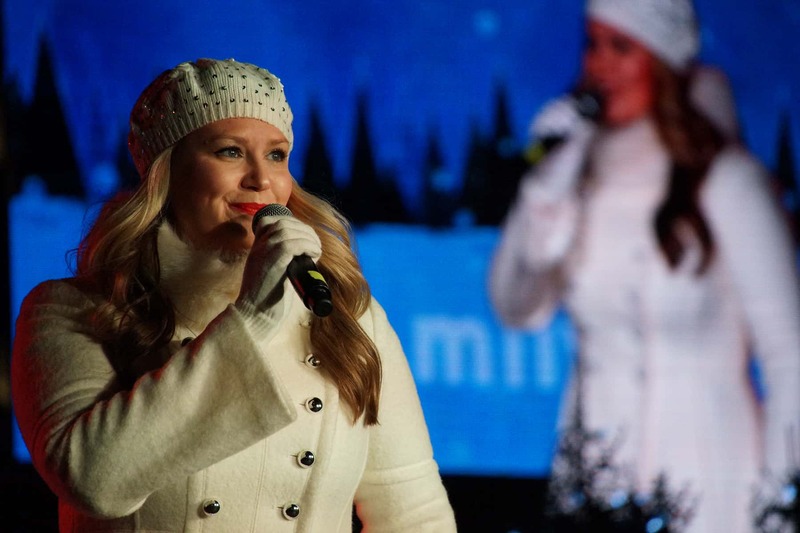 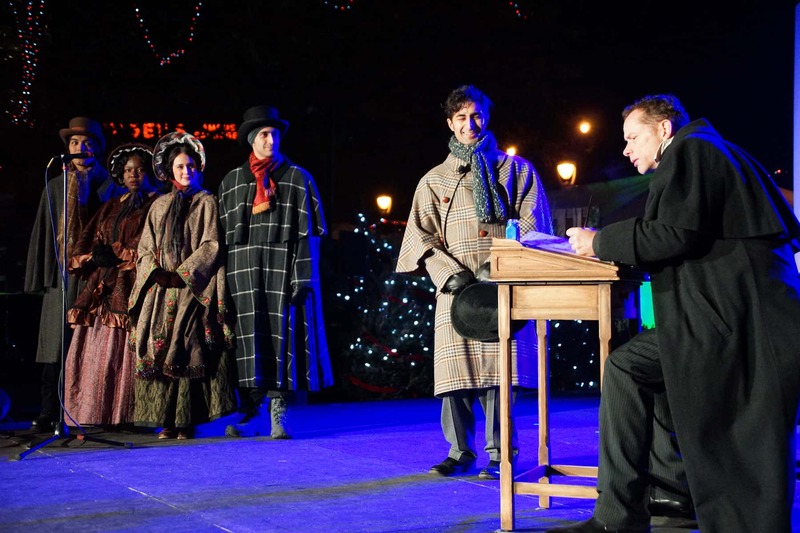 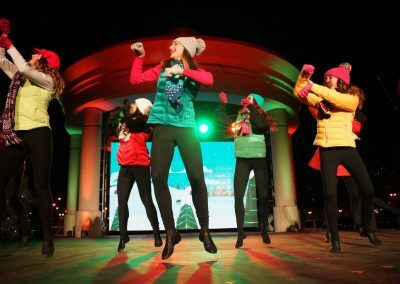 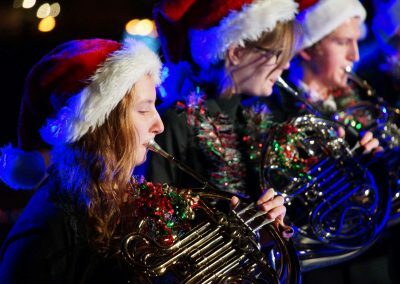 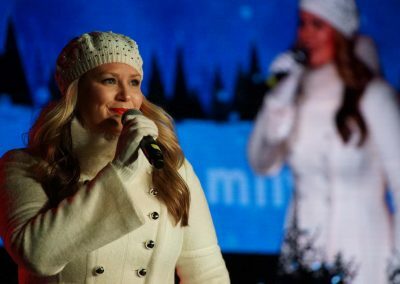 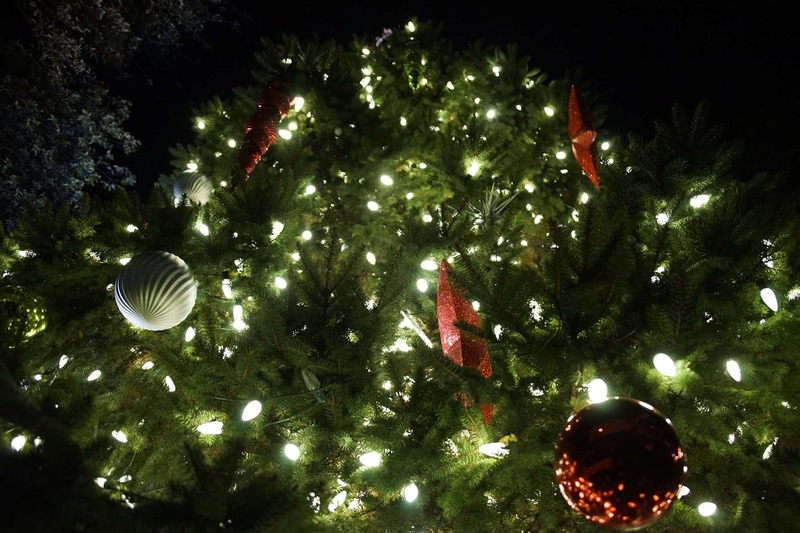 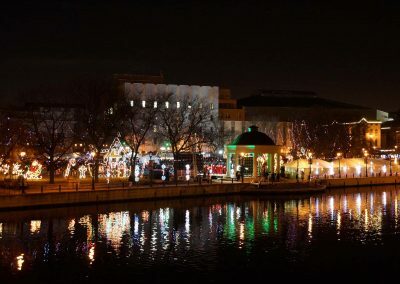 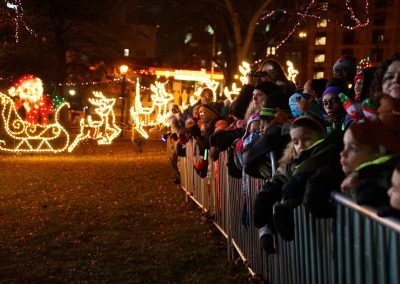 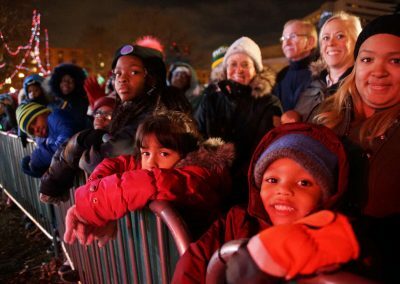 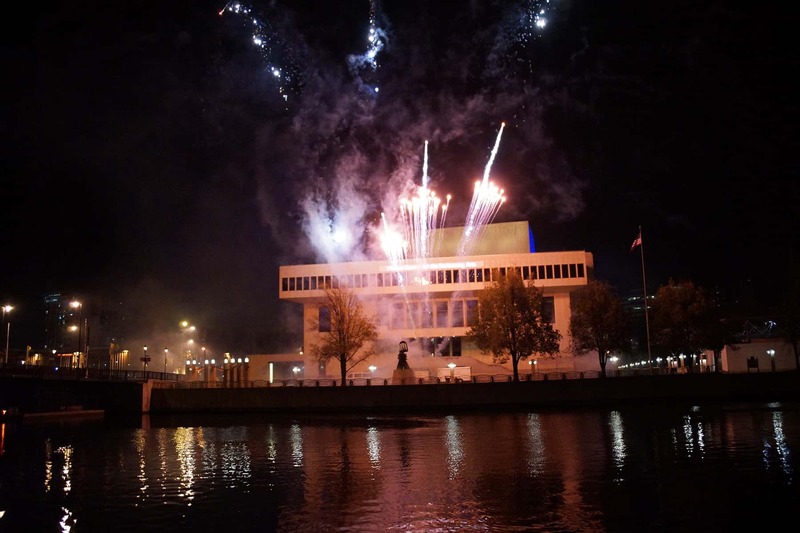 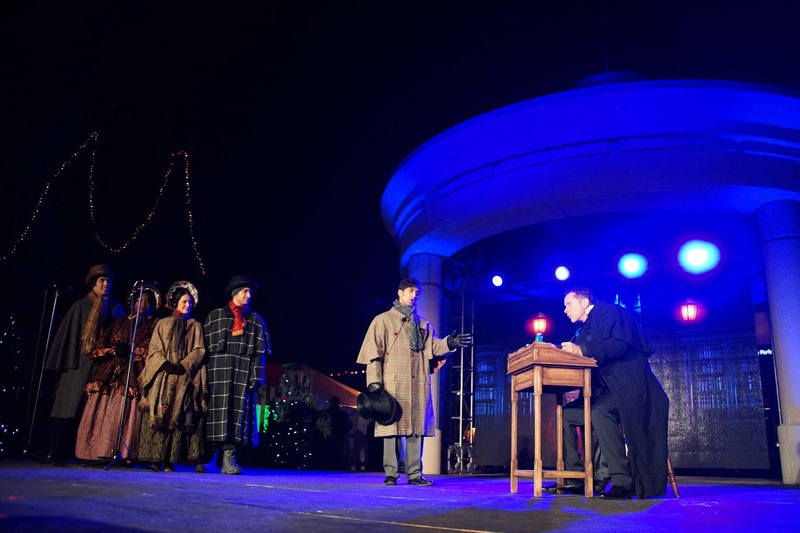 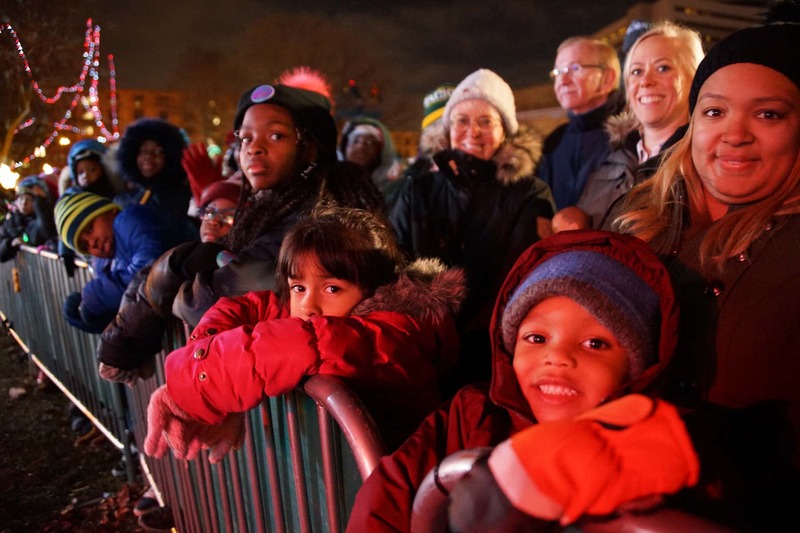 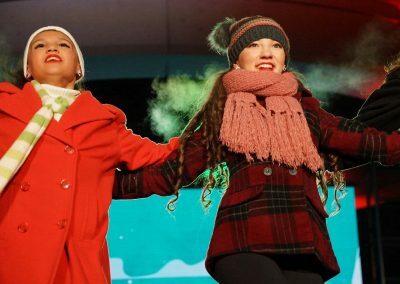 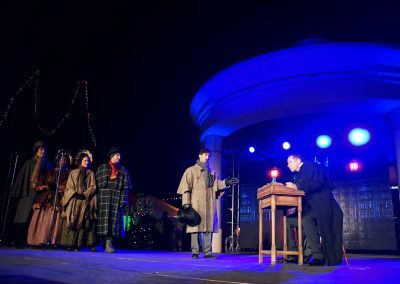 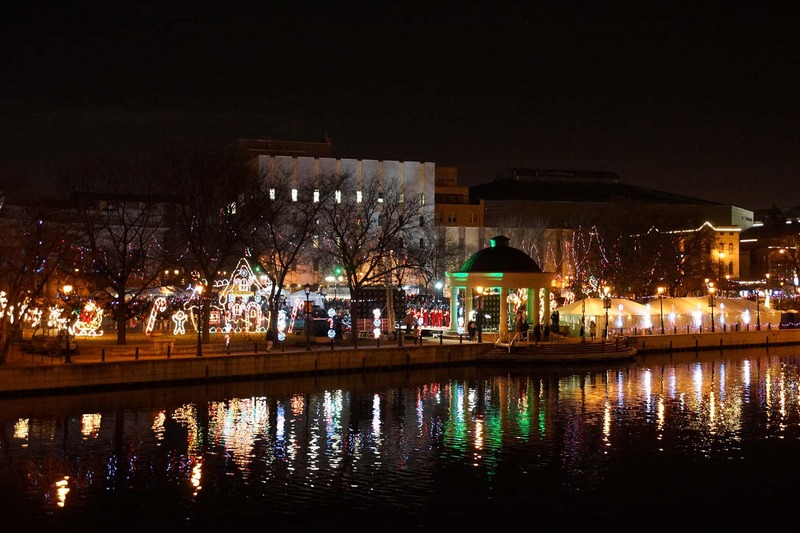 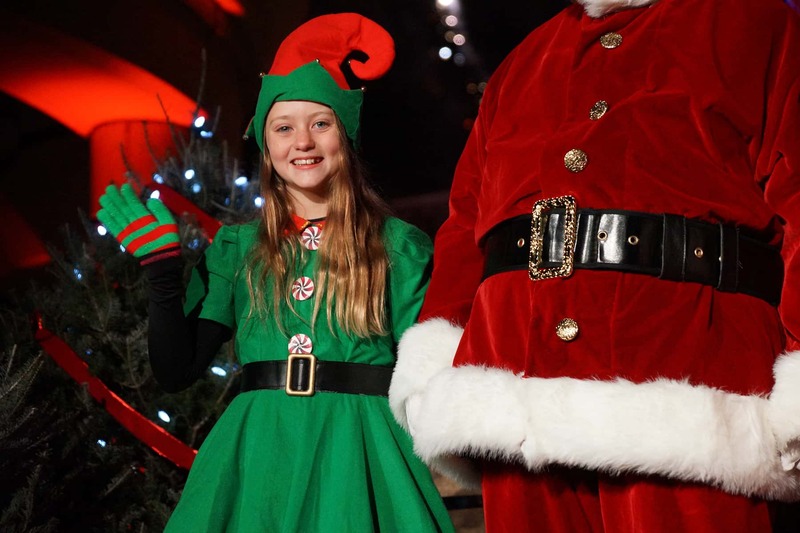 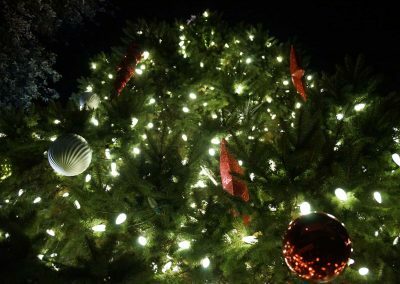 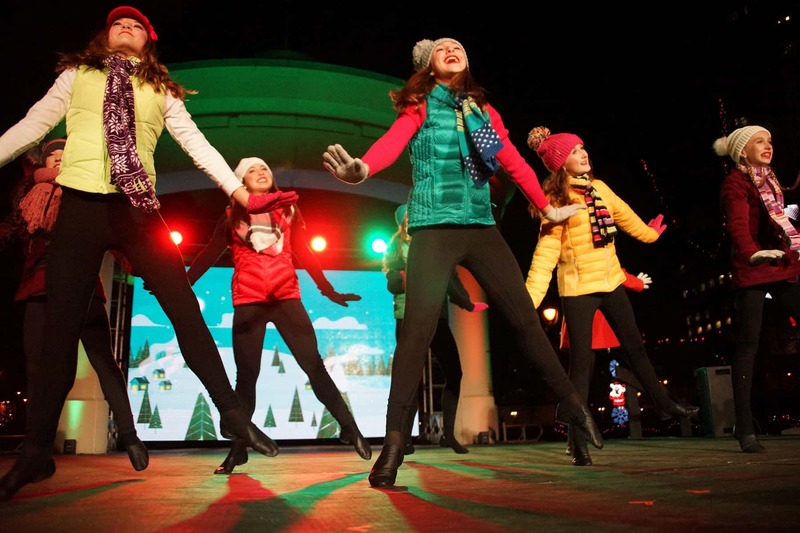 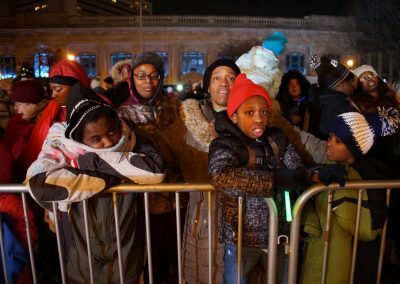 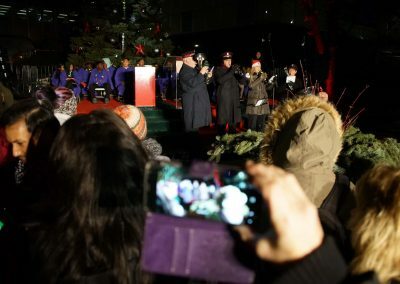 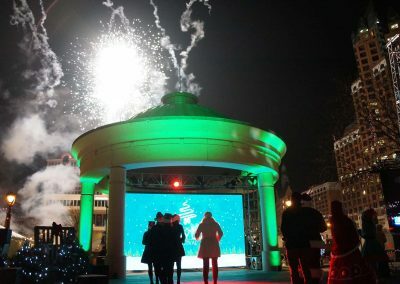 After the tree lighting, Pere Marquette Park hosted the kick off of the 20th annual Milwaukee Holiday Lights Festival which runs until January 1, 2019. 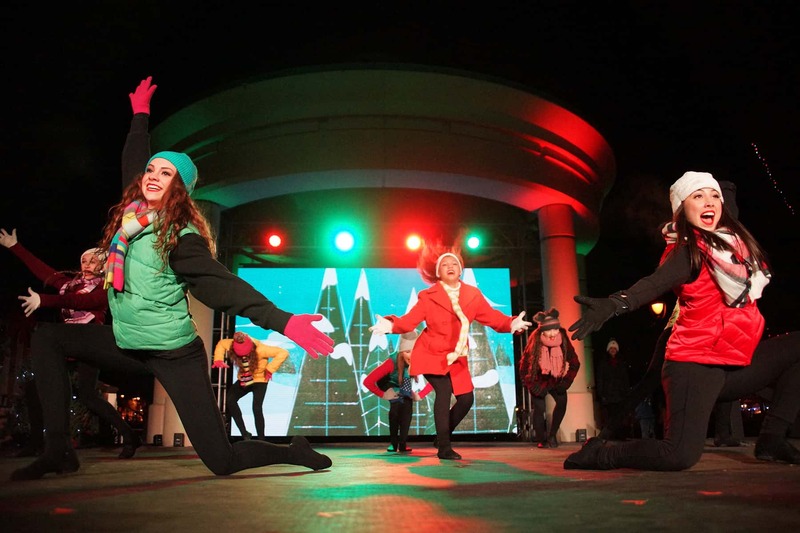 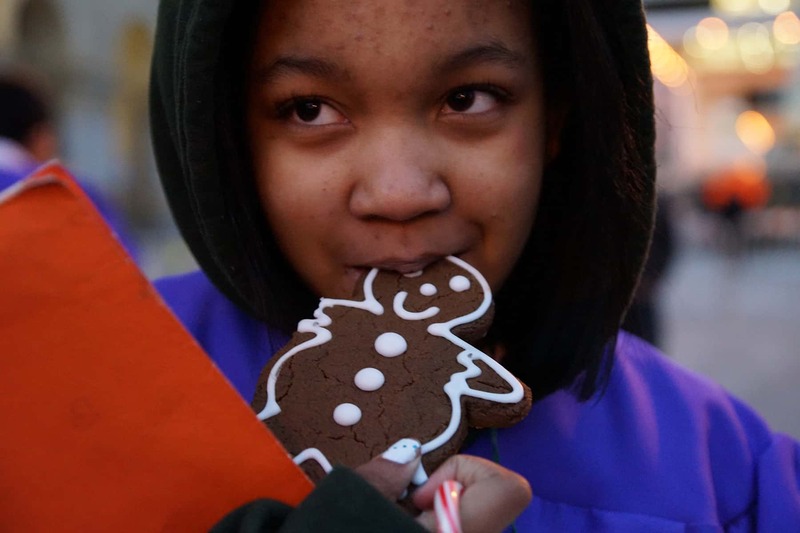 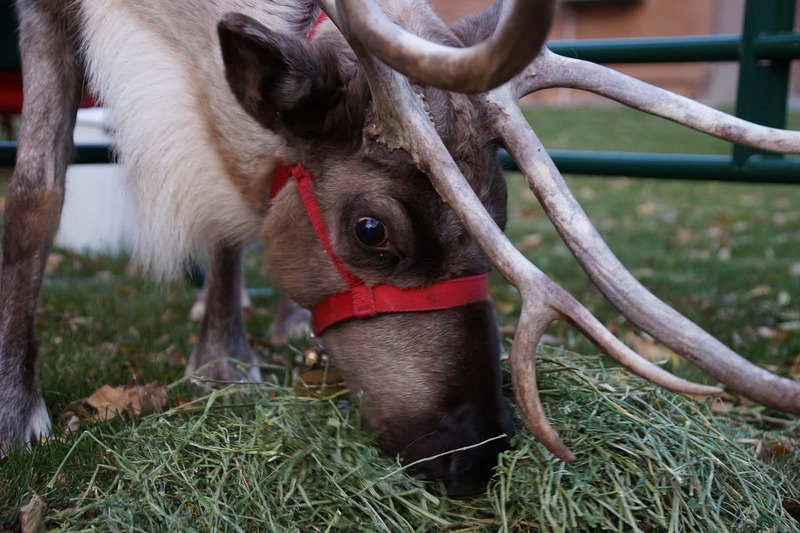 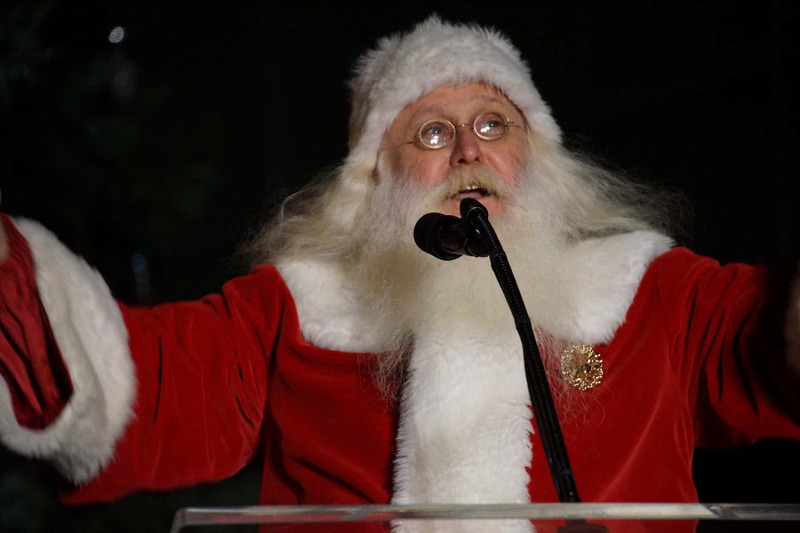 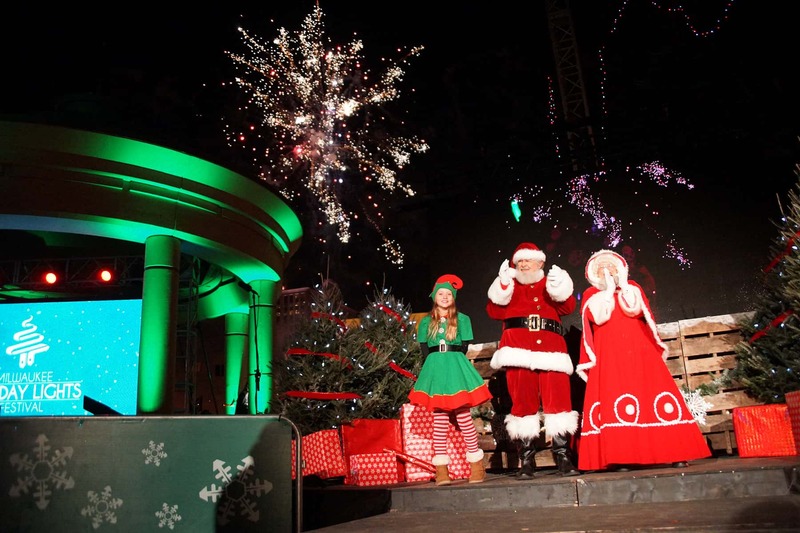 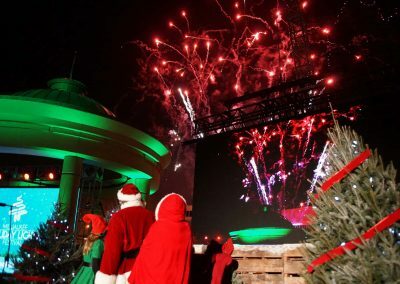 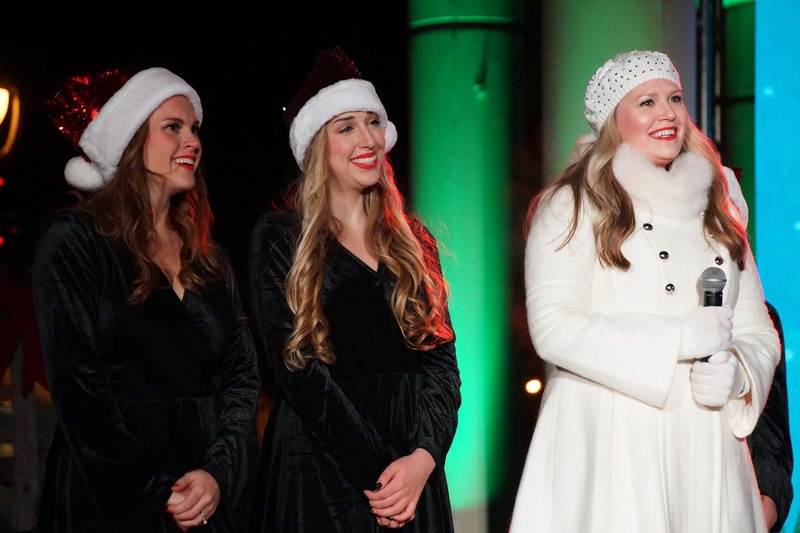 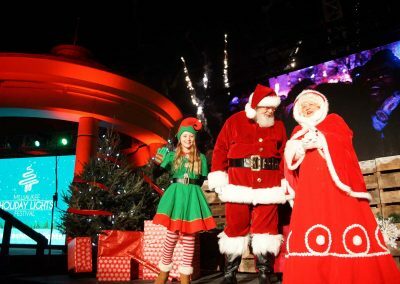 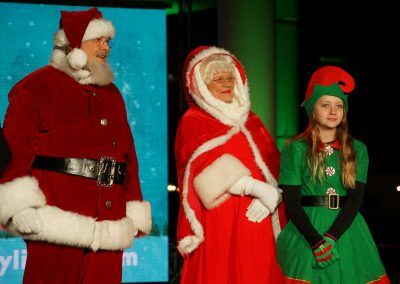 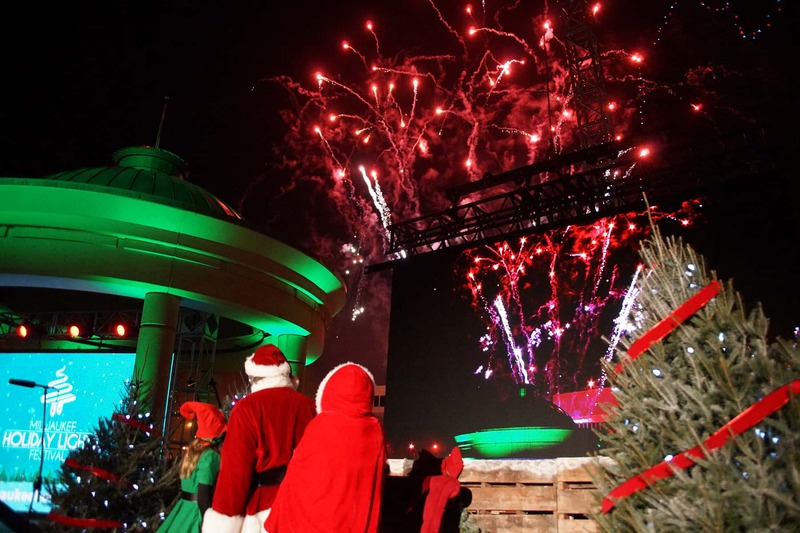 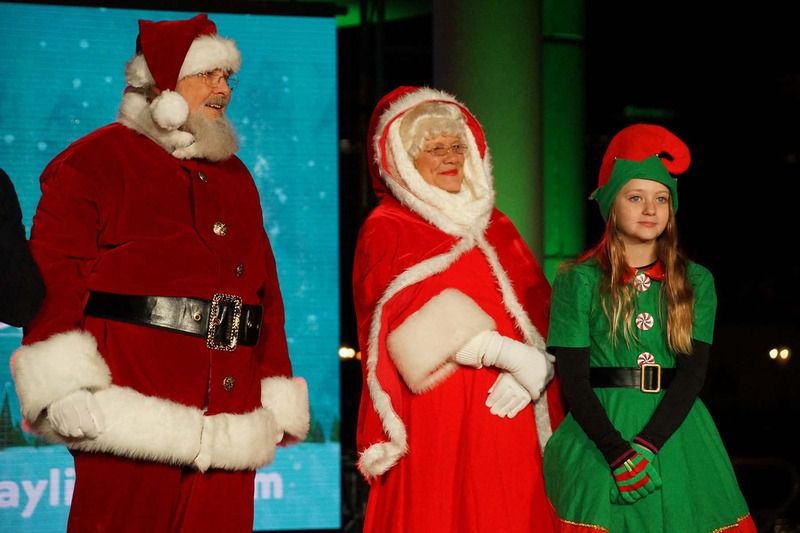 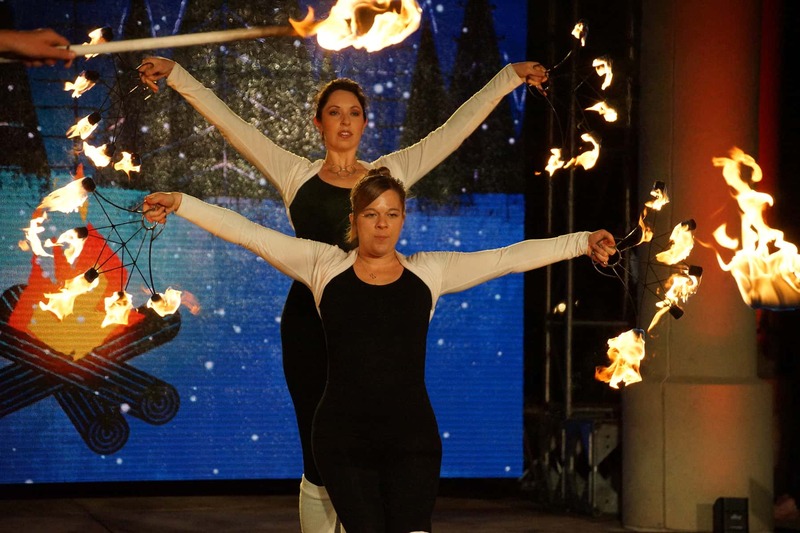 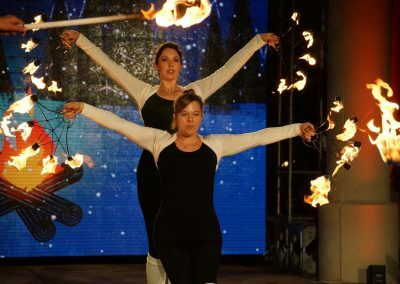 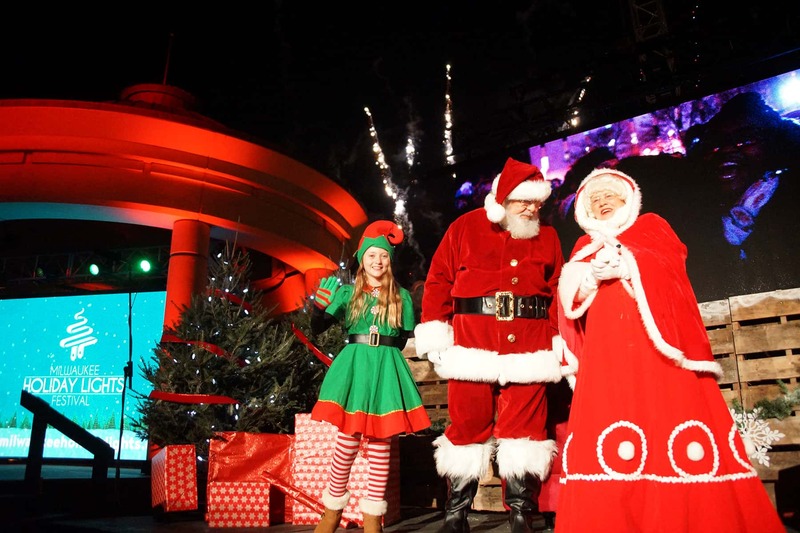 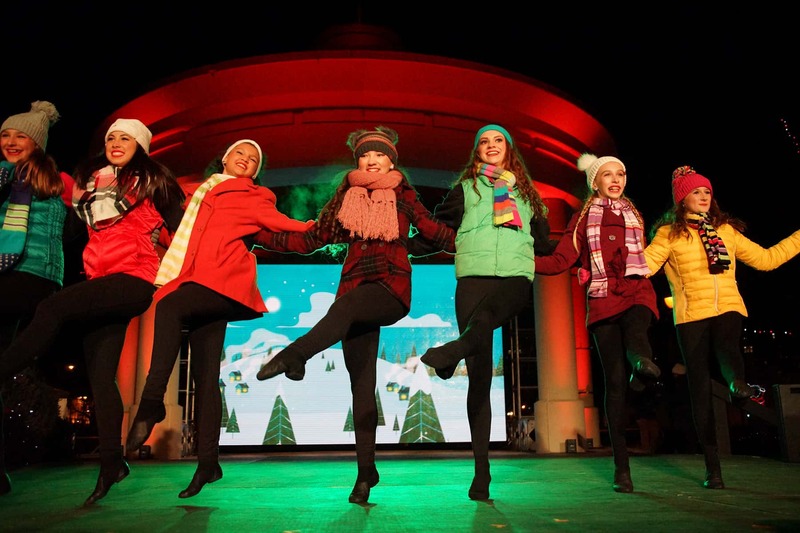 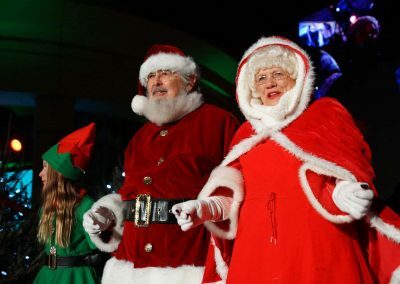 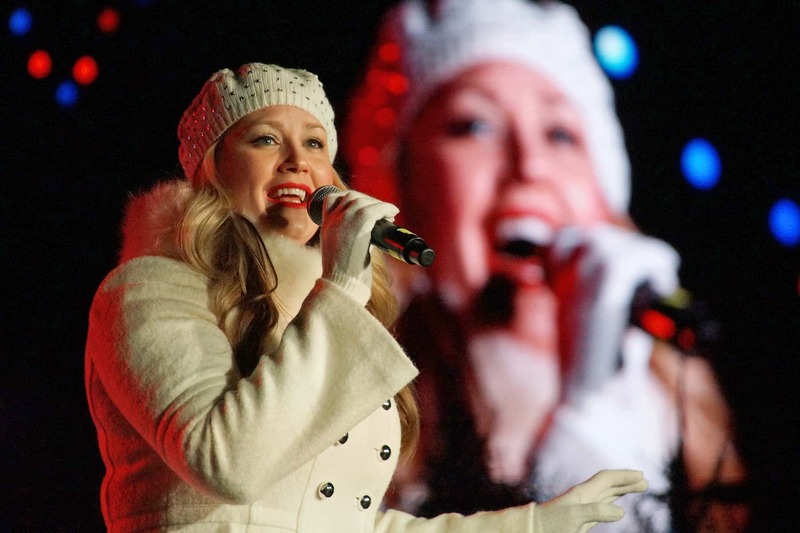 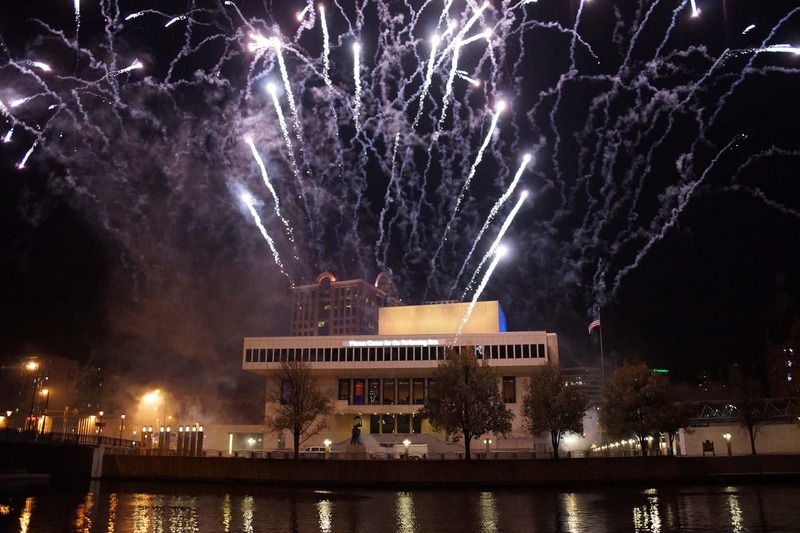 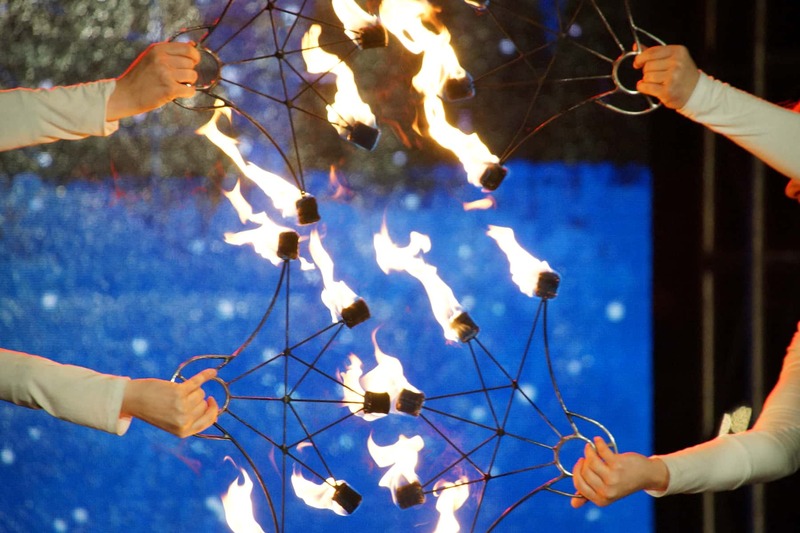 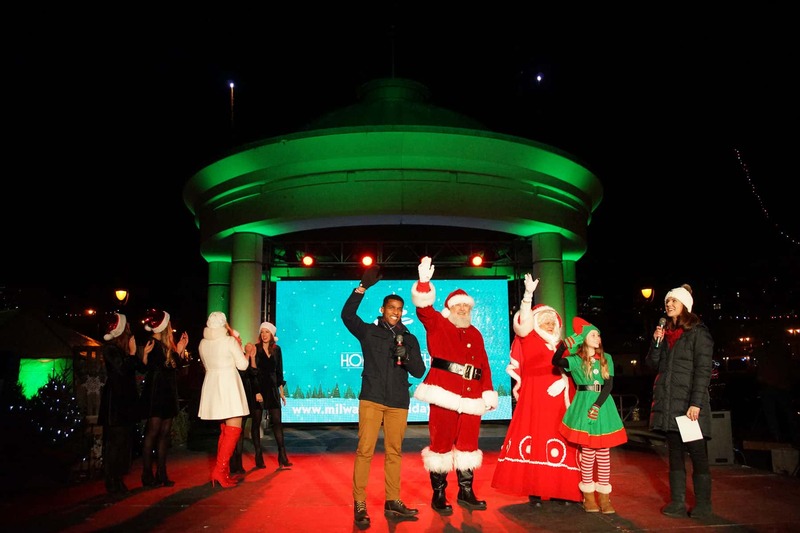 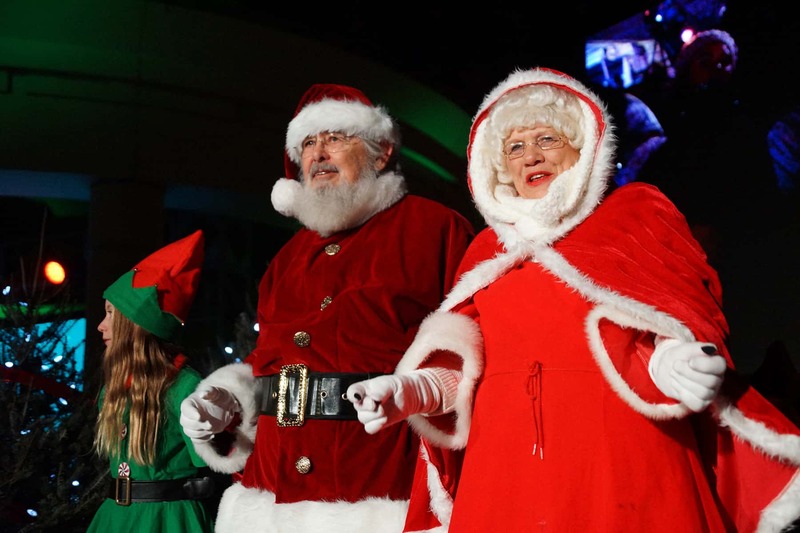 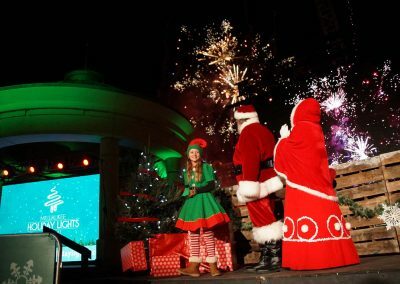 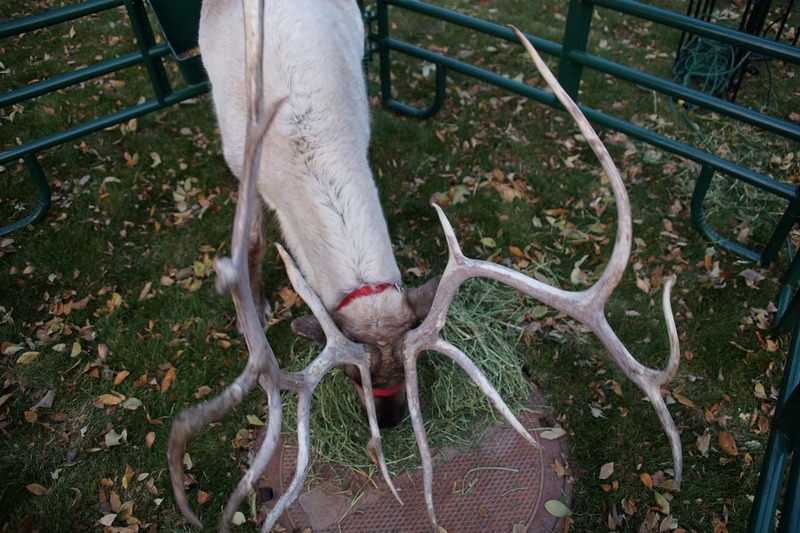 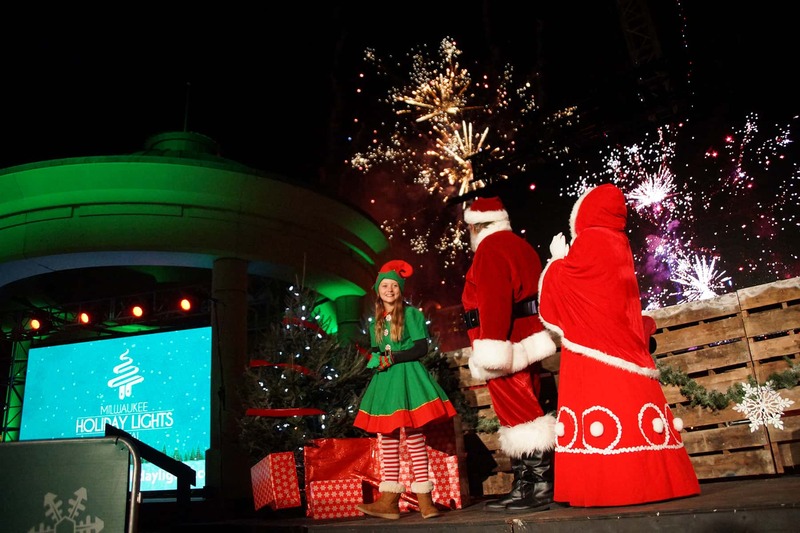 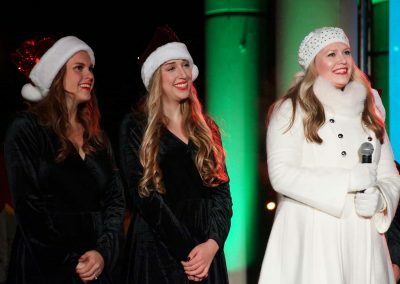 That extravaganza featured holiday treats, fireworks, and an extended visit from Santa Claus. 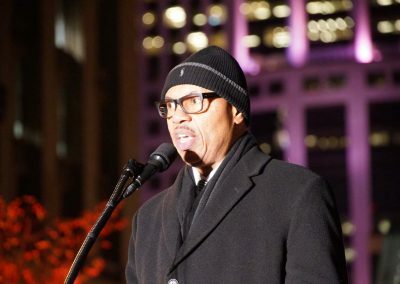 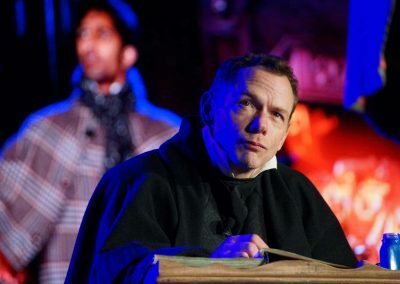 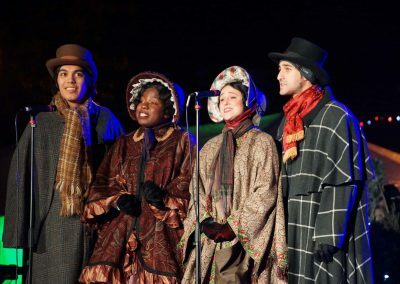 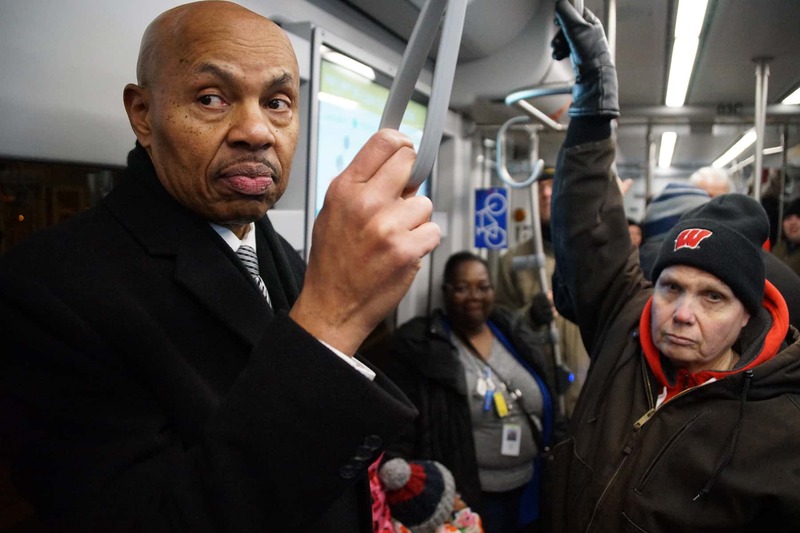 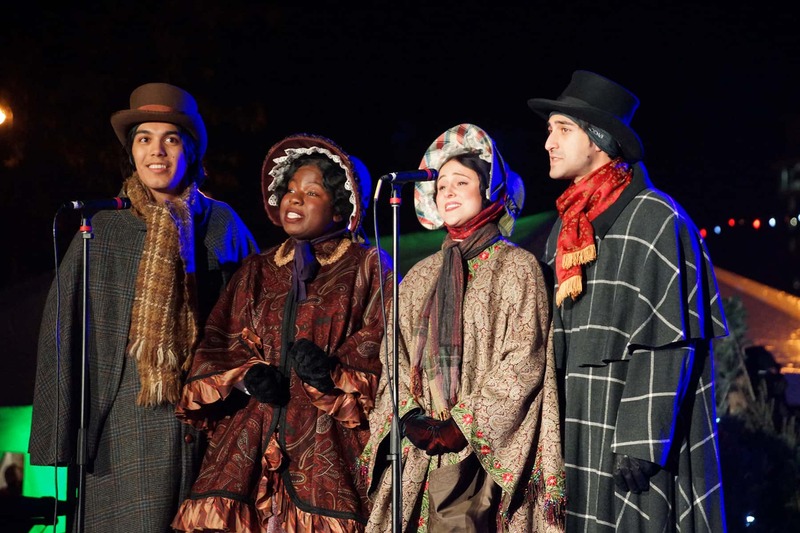 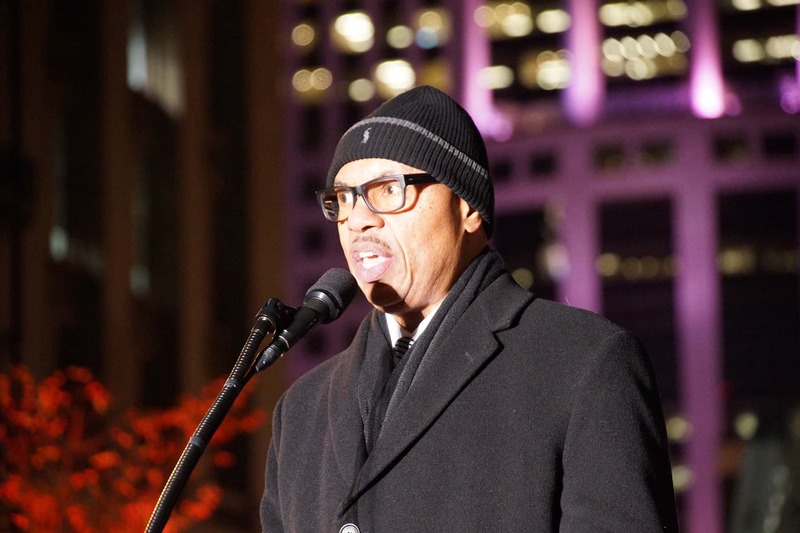 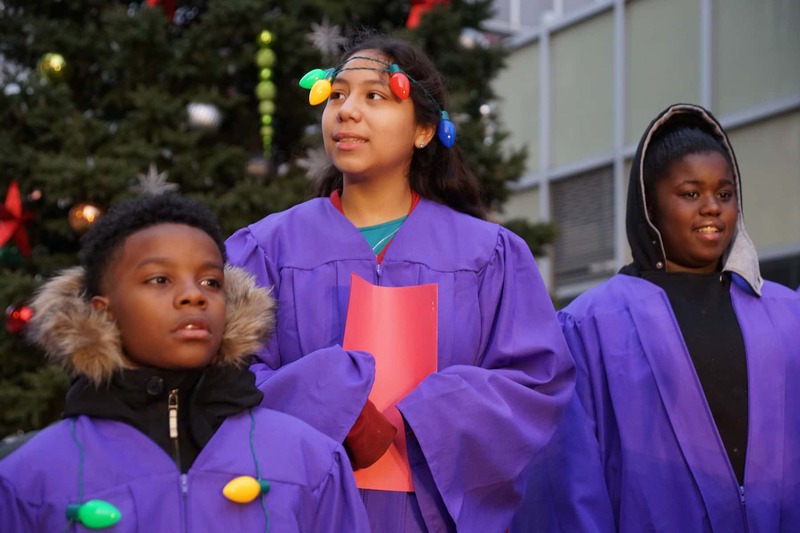 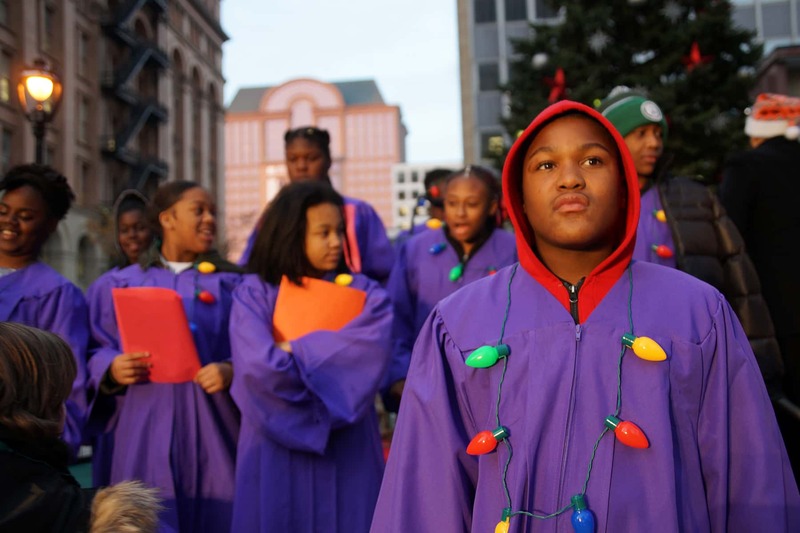 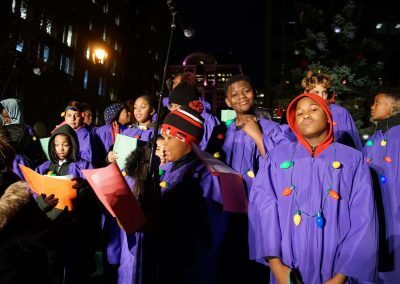 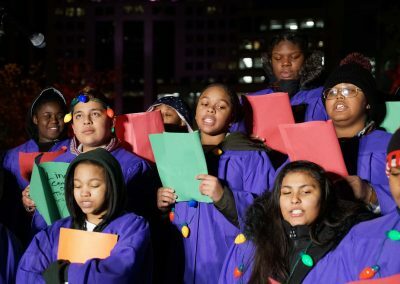 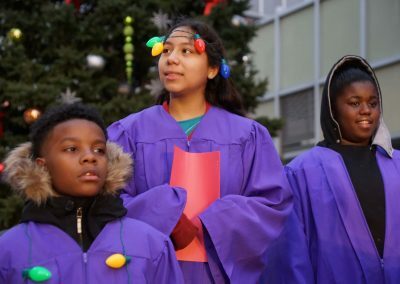 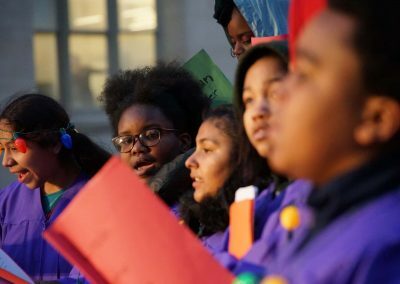 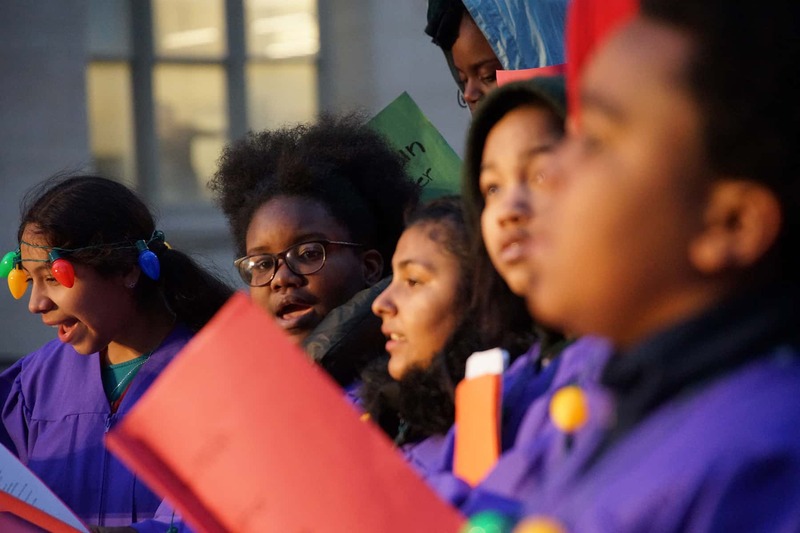 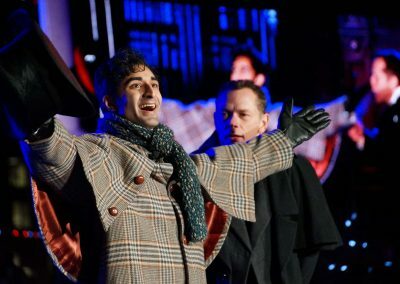 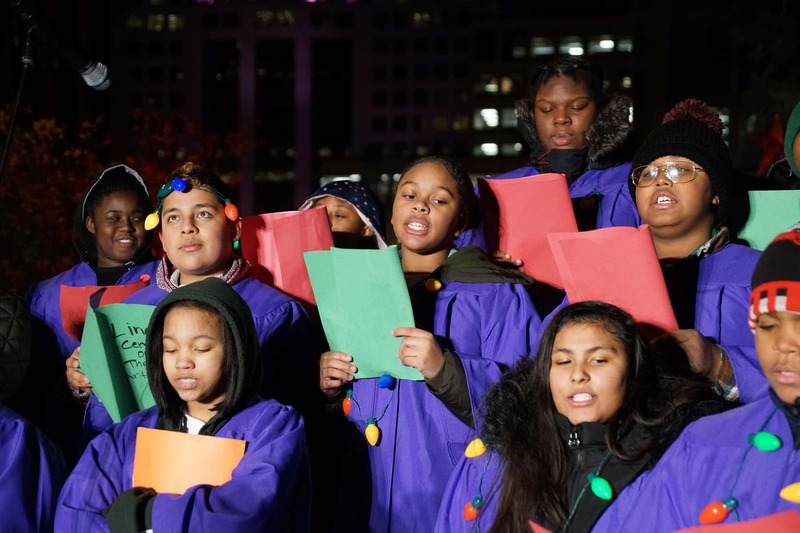 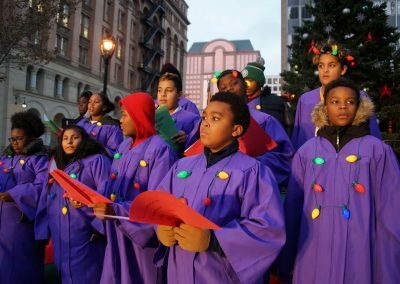 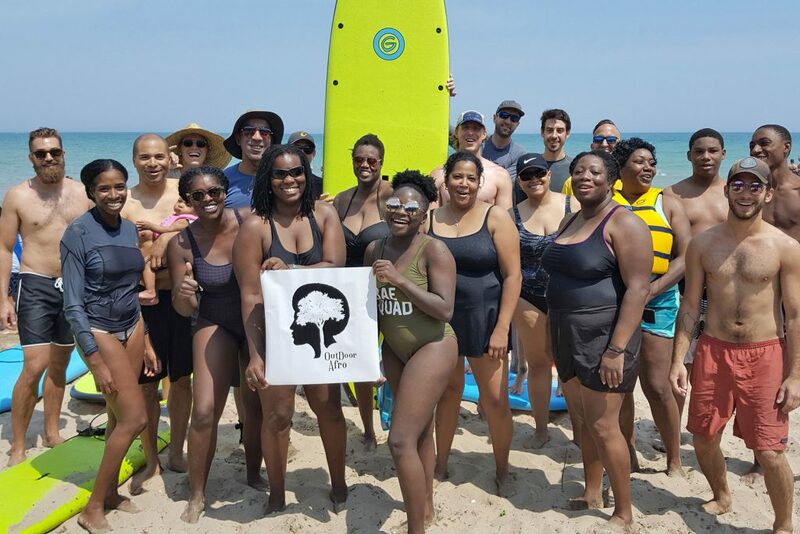 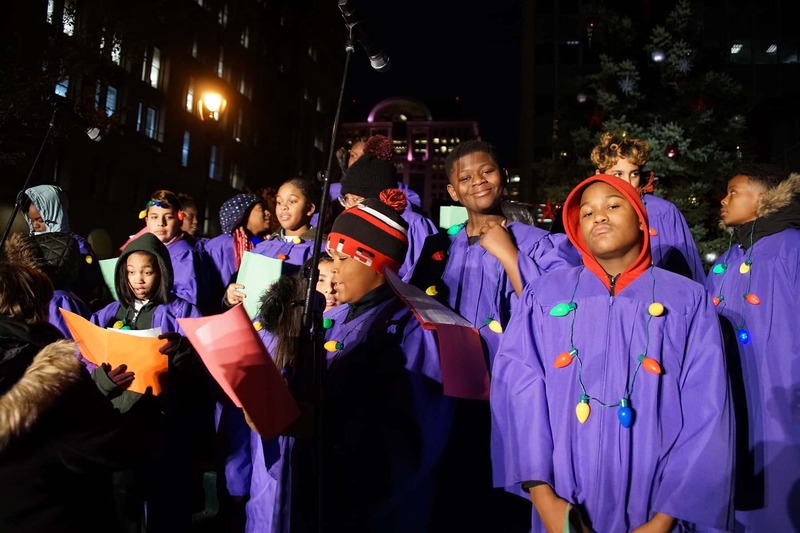 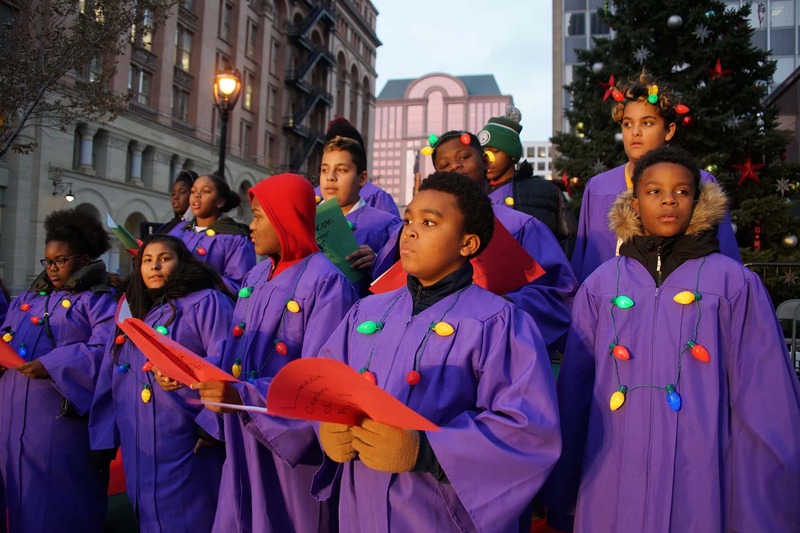 Entertainment included performances from Platinum, Prismatic Flame, Milwaukee Youth Symphony Orchestra, Jenny Thiel, Young Dance Academy, and cast members from Milwaukee Repertory Theater’s “A Christmas Carol” and Black Arts MKE’s “Black Nativity” presented by Bronzeville Arts Ensemble. 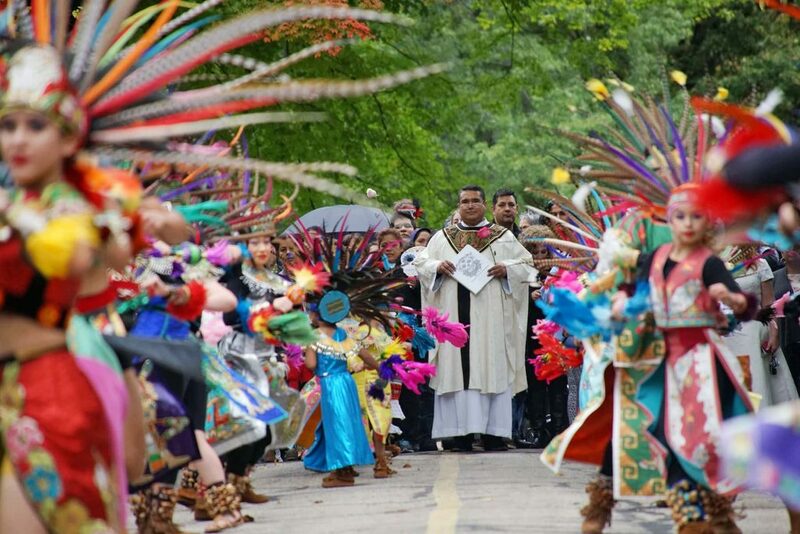 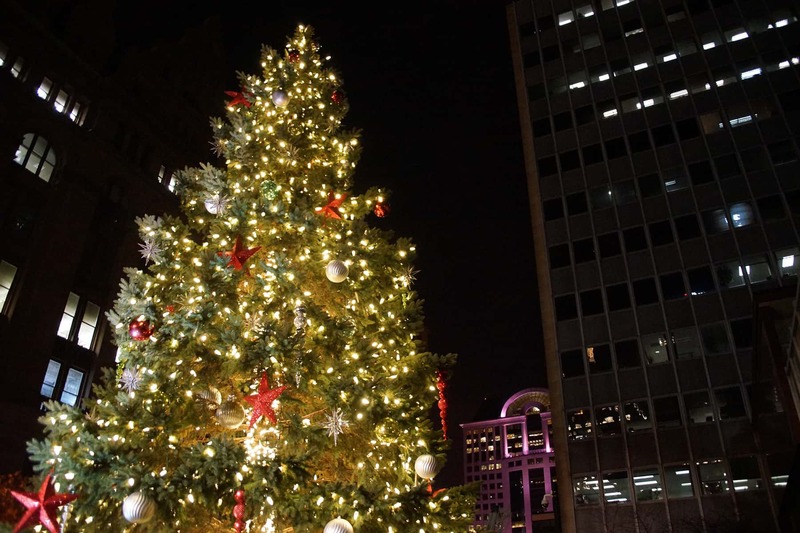 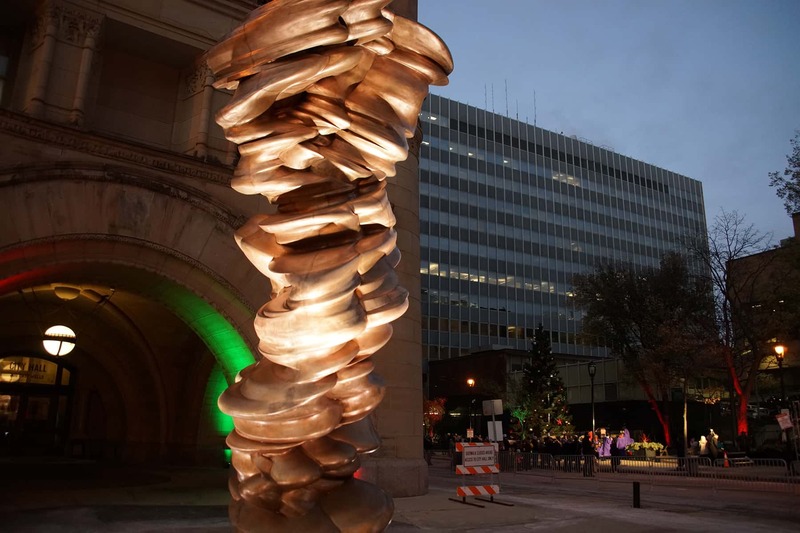 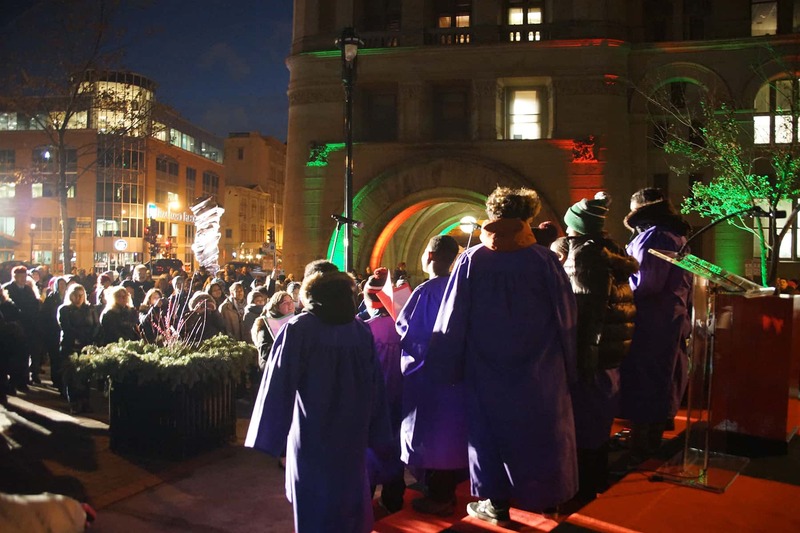 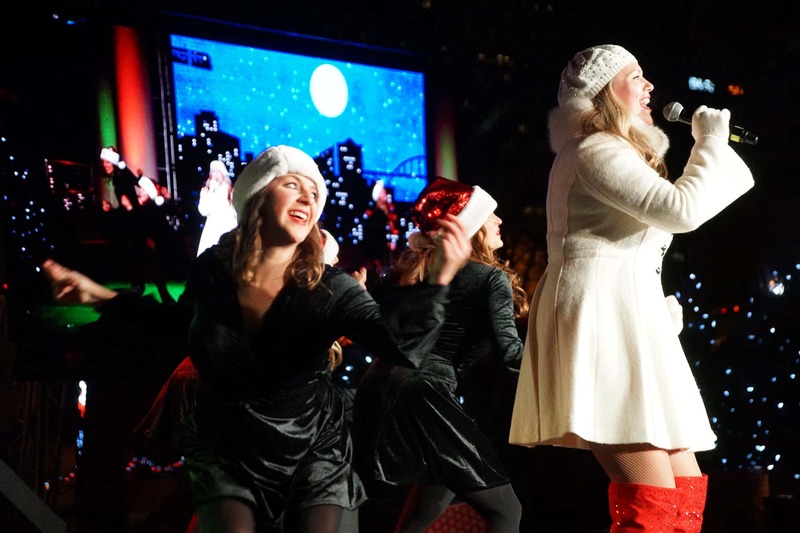 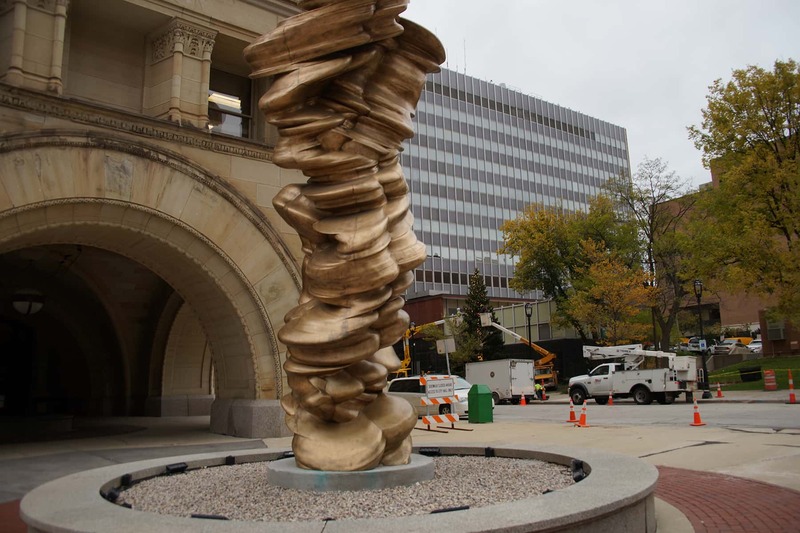 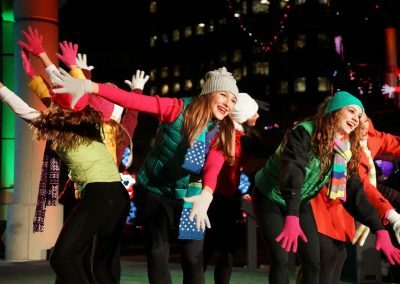 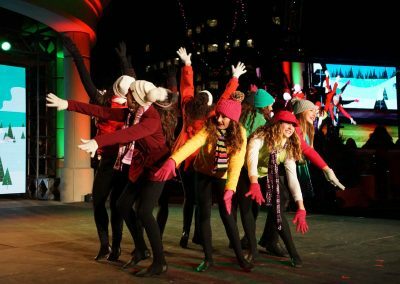 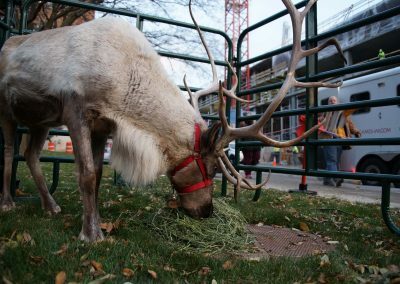 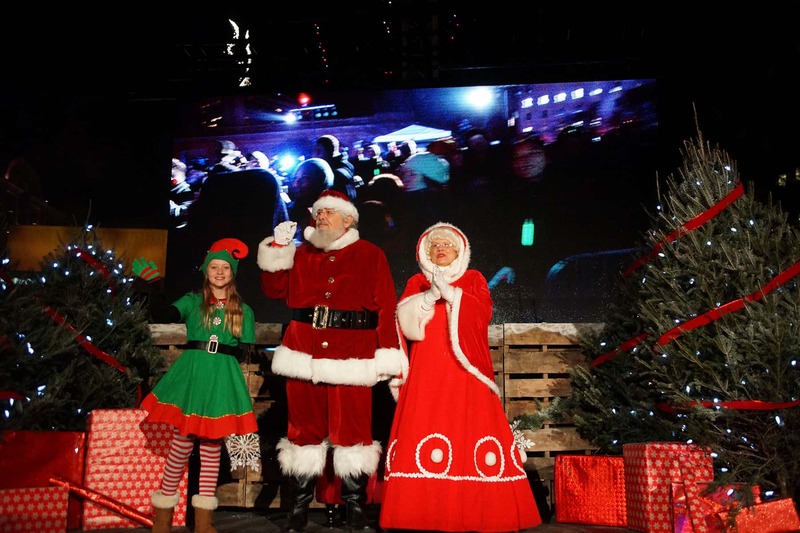 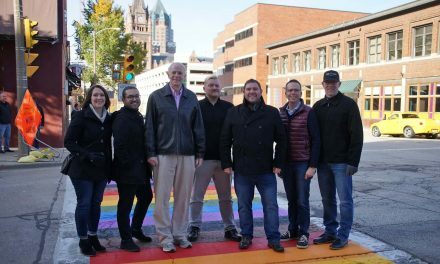 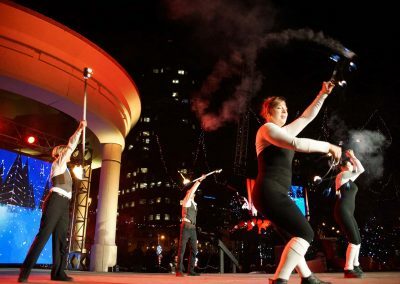 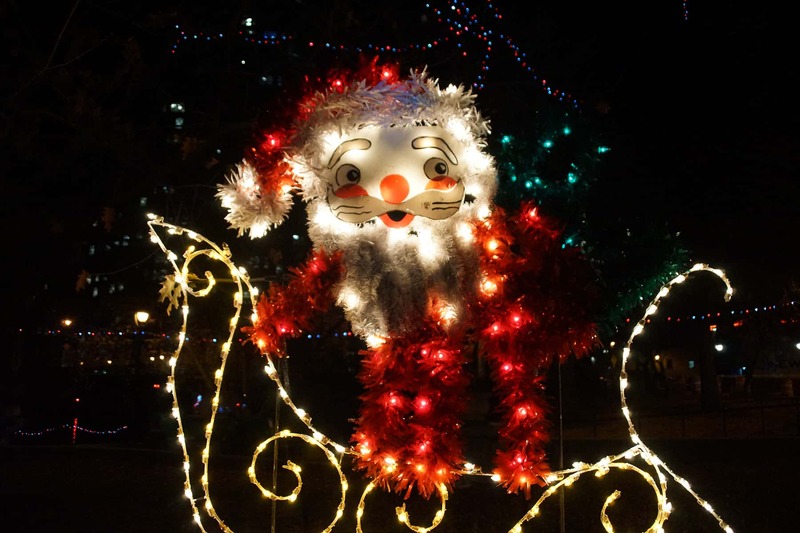 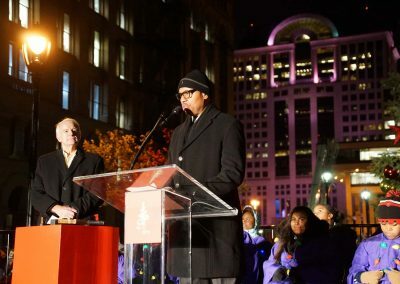 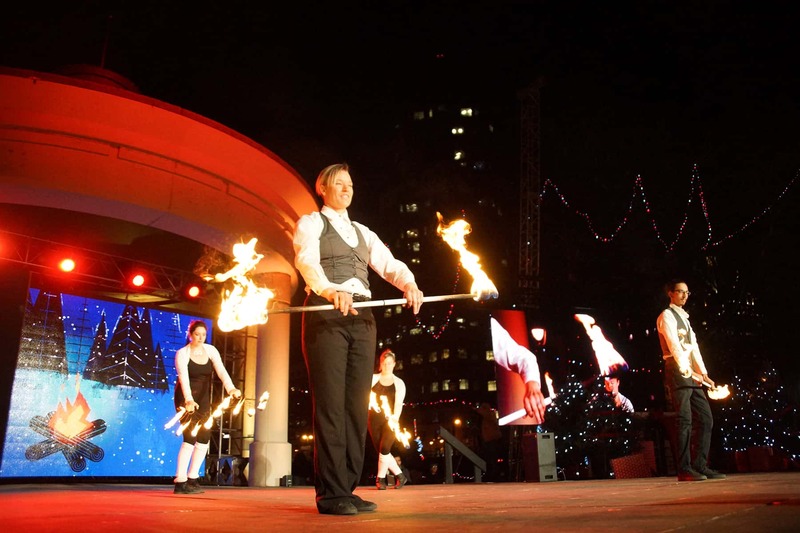 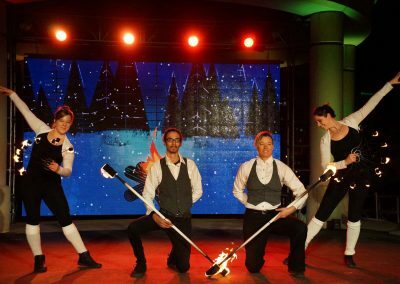 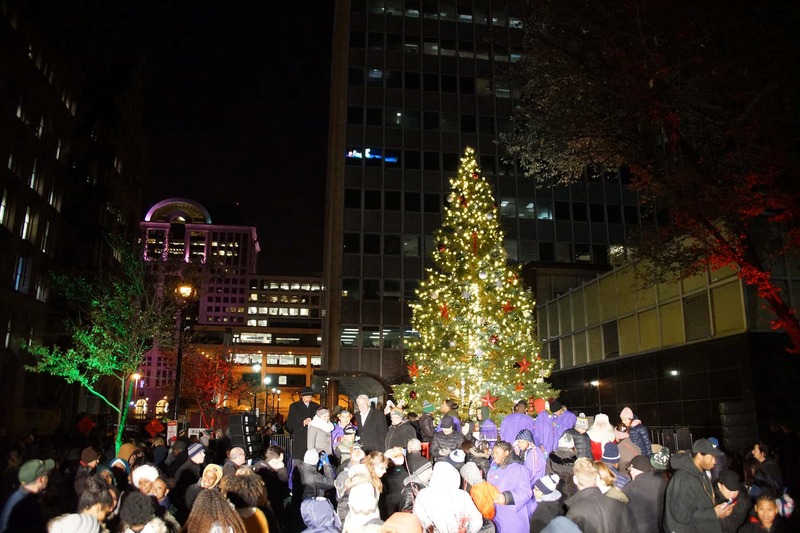 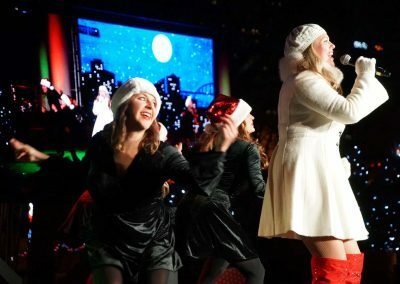 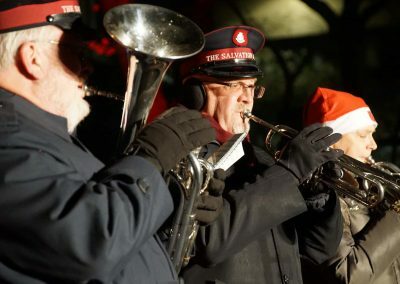 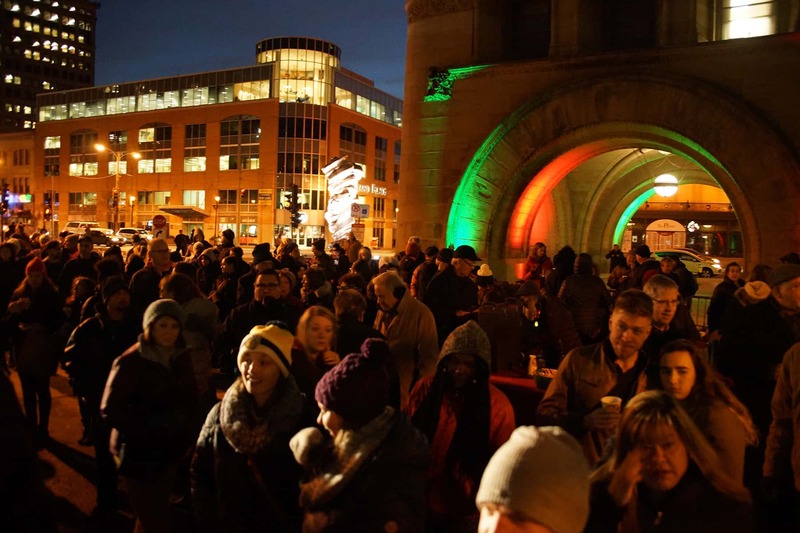 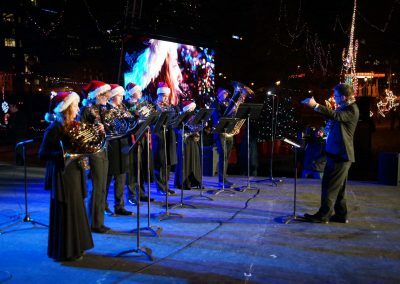 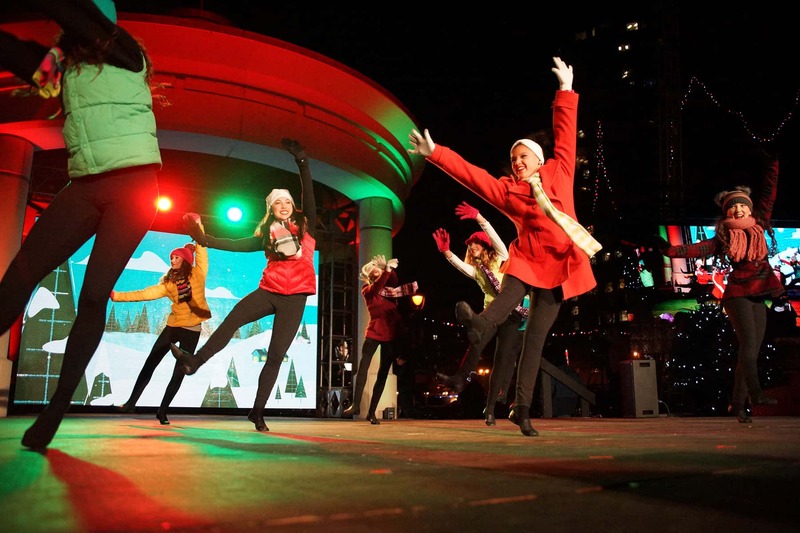 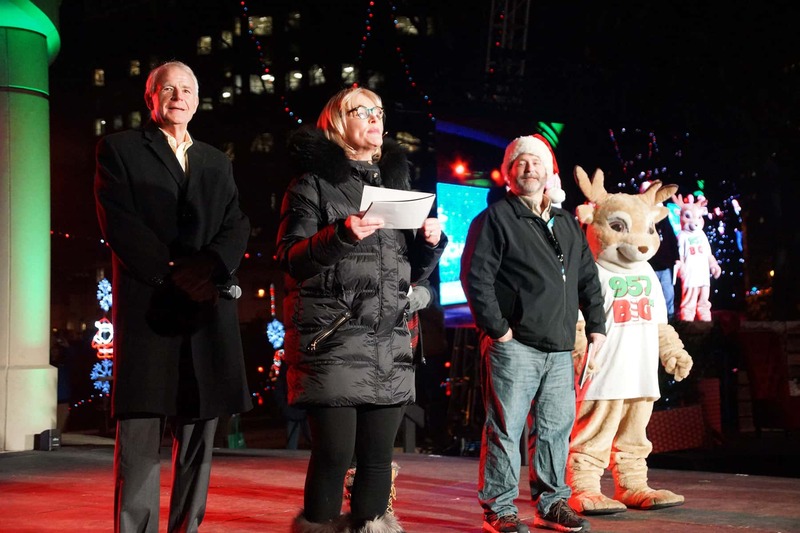 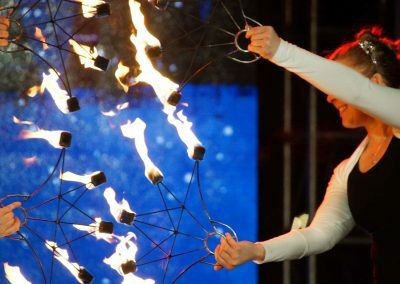 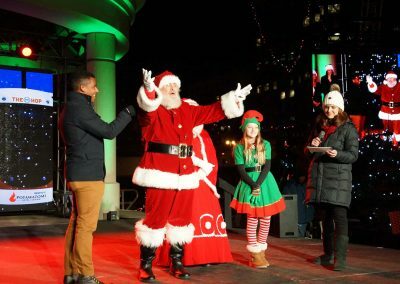 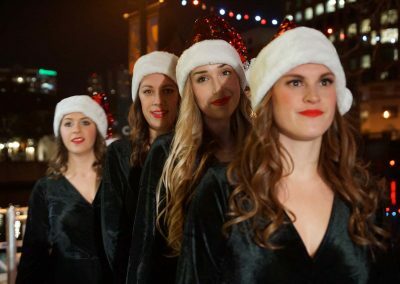 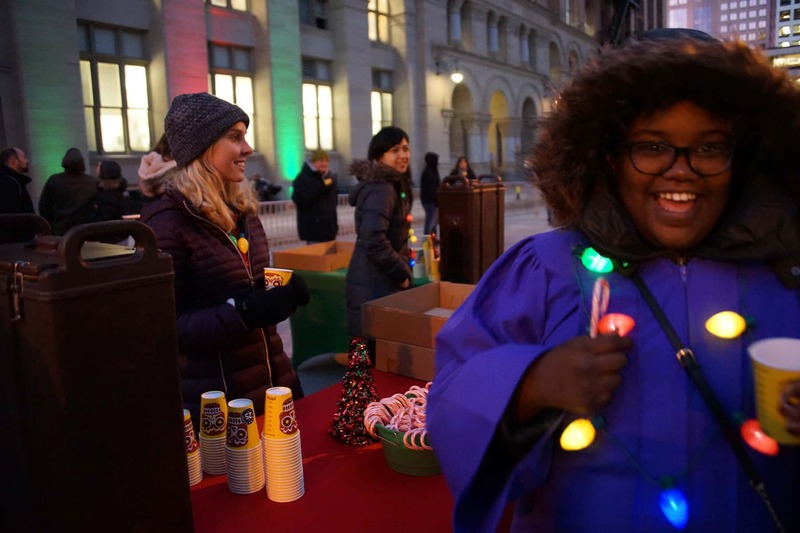 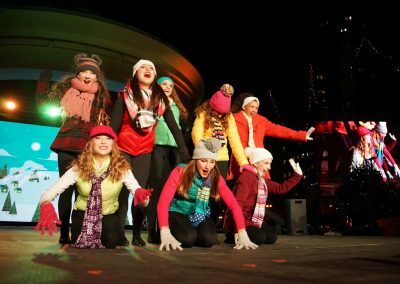 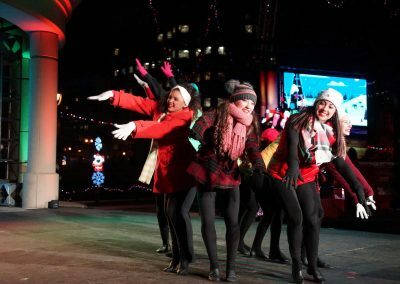 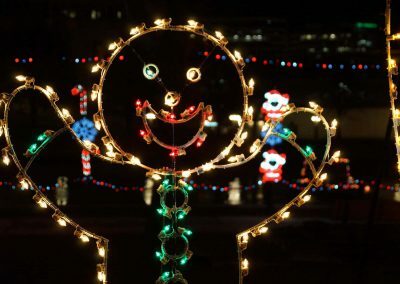 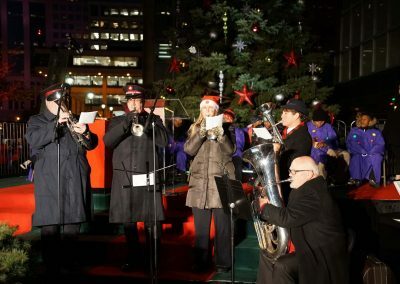 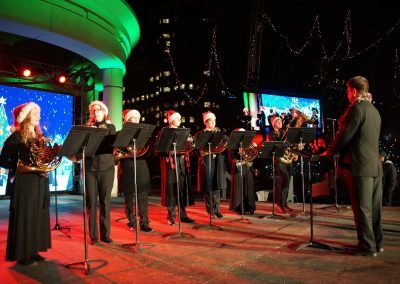 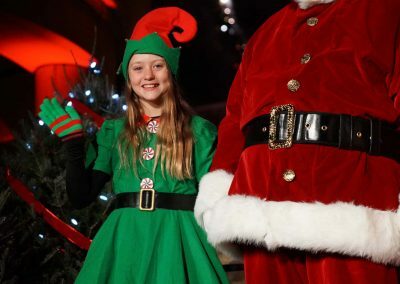 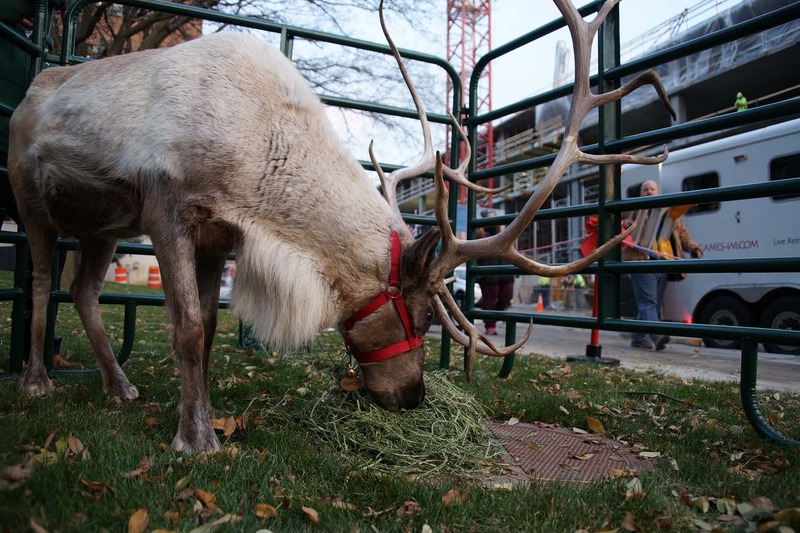 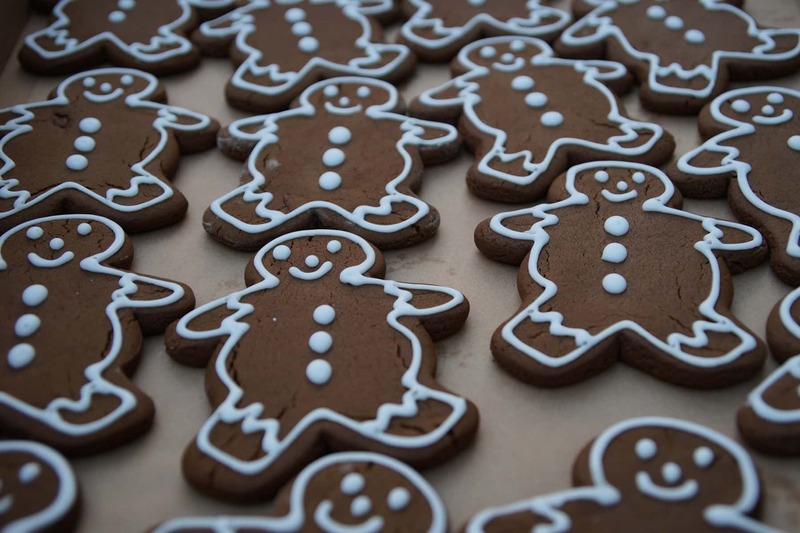 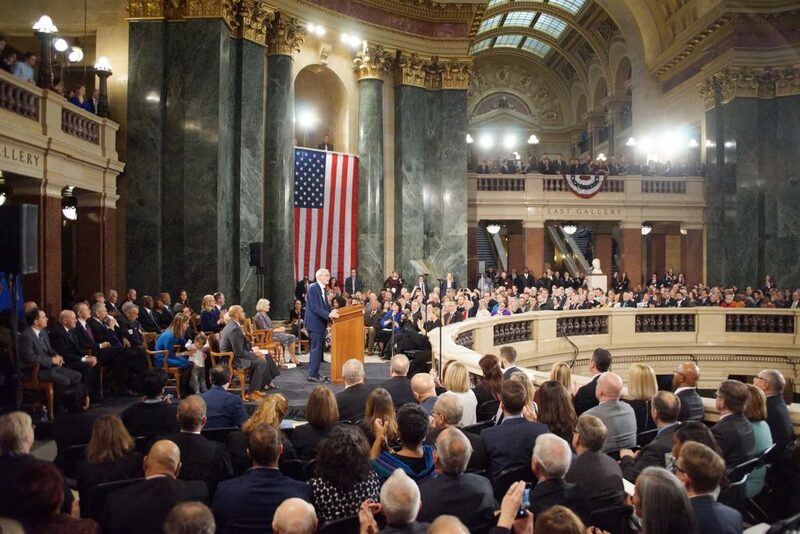 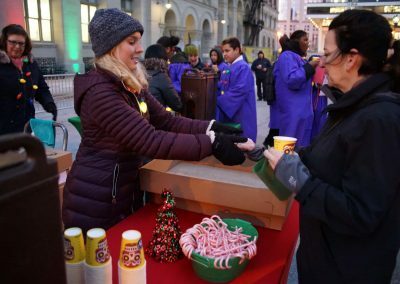 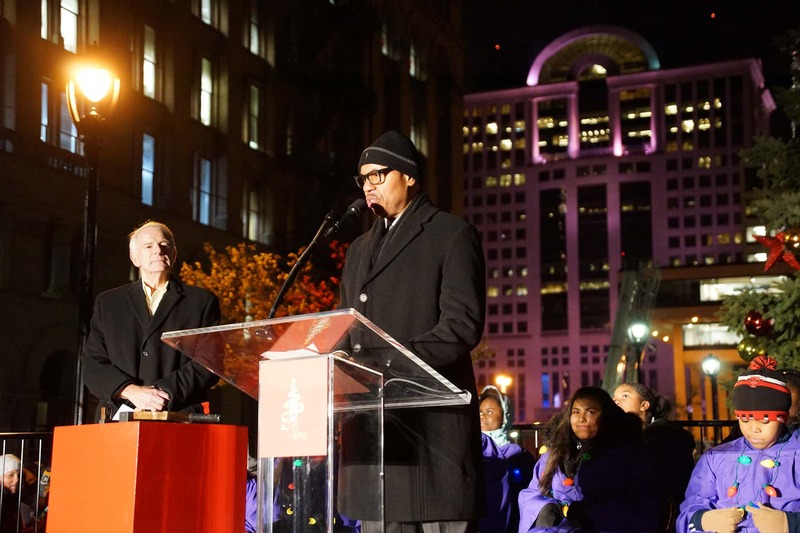 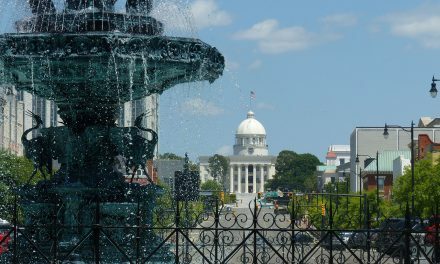 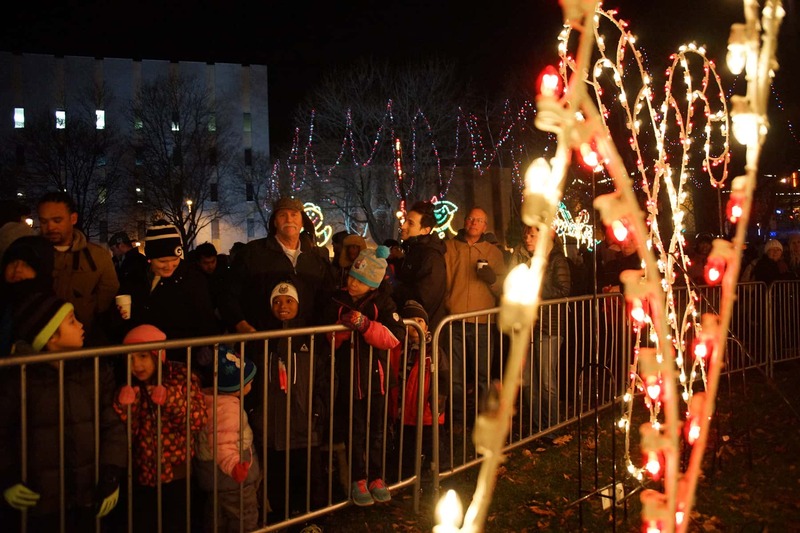 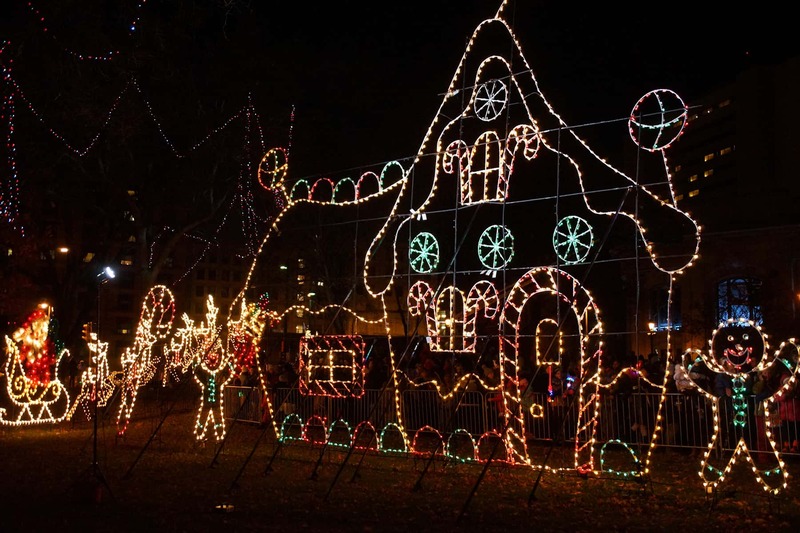 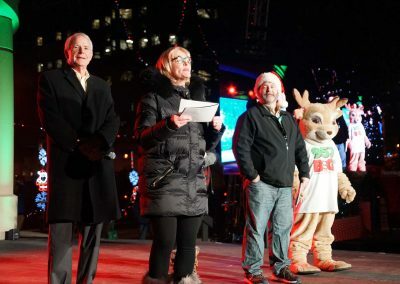 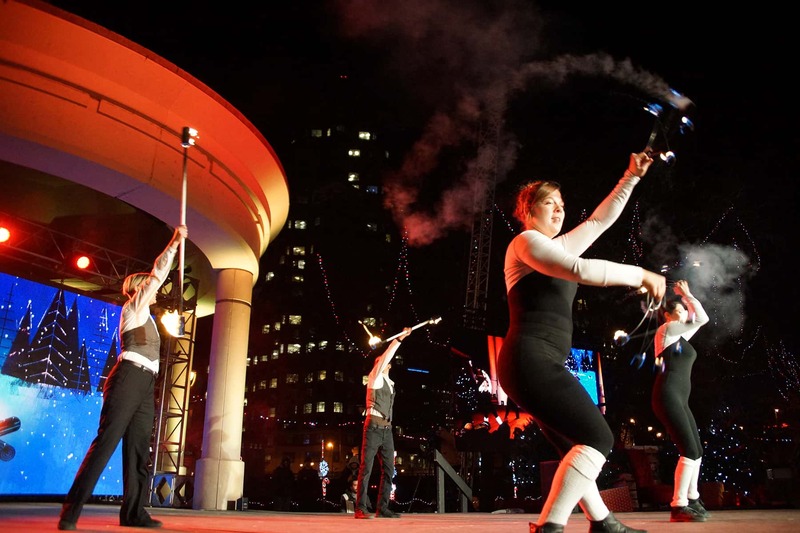 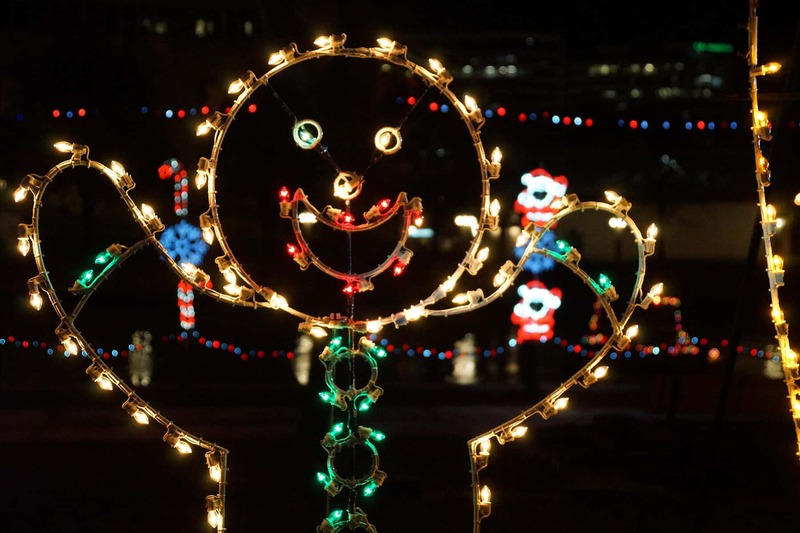 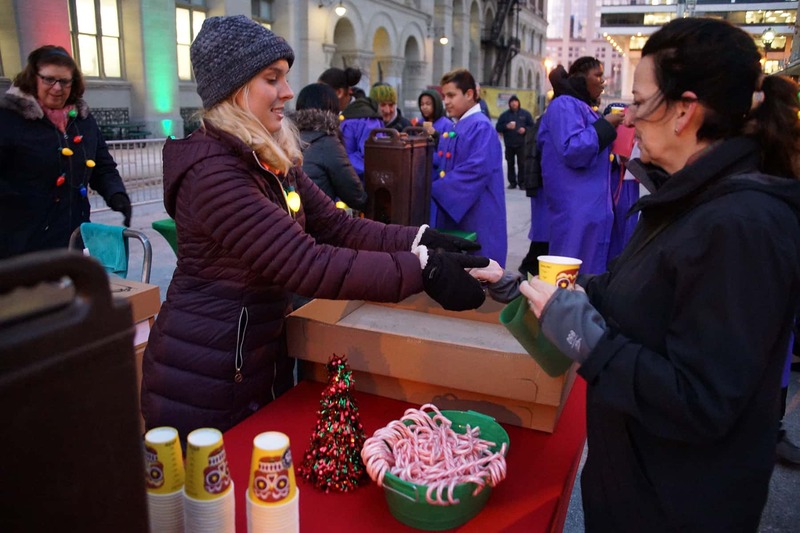 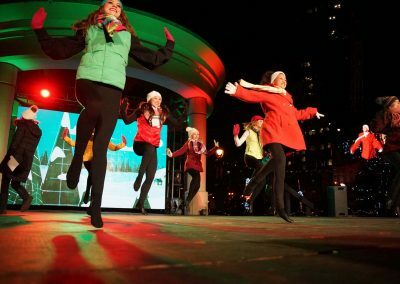 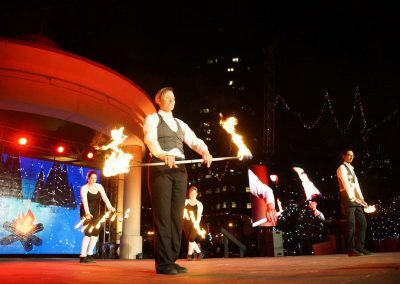 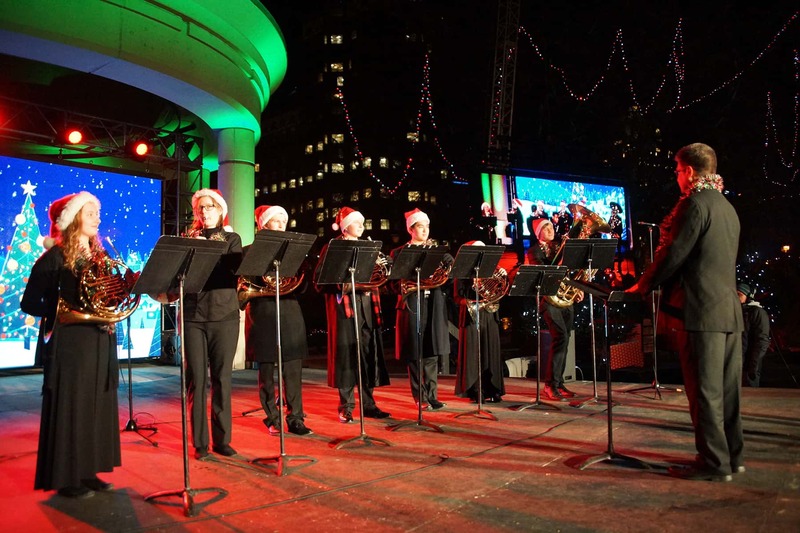 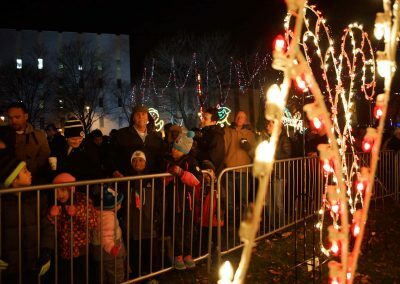 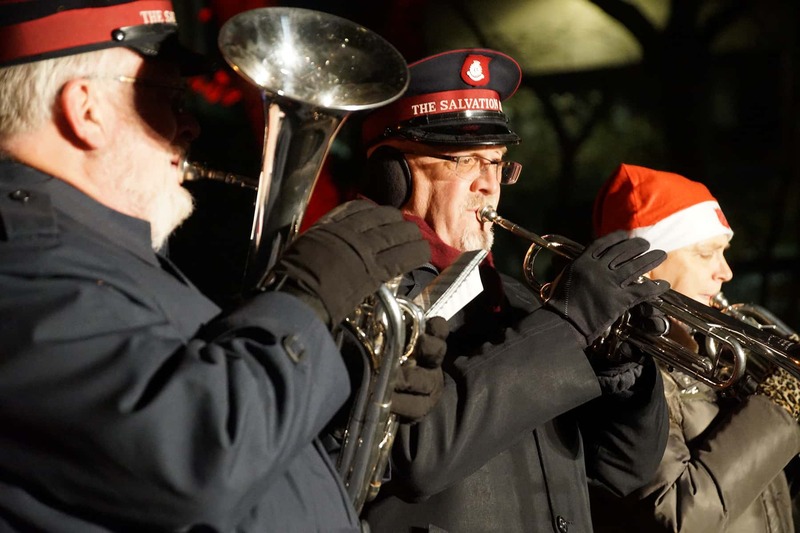 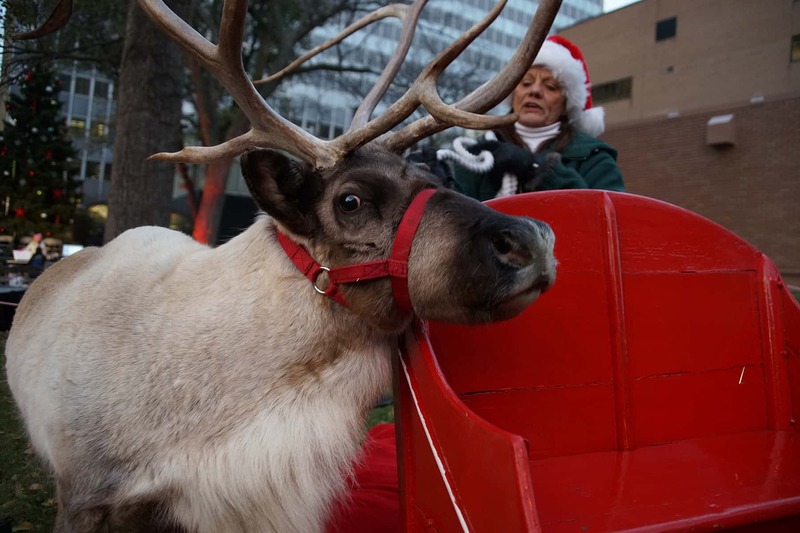 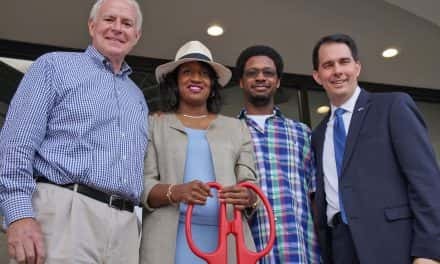 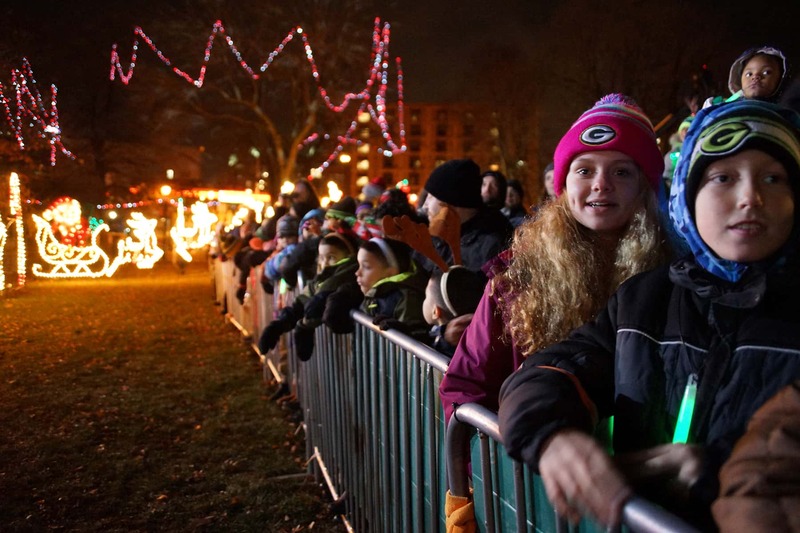 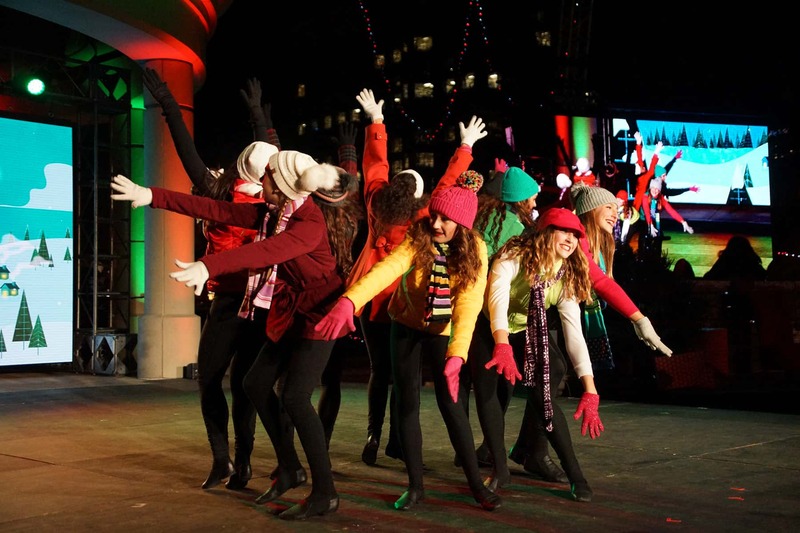 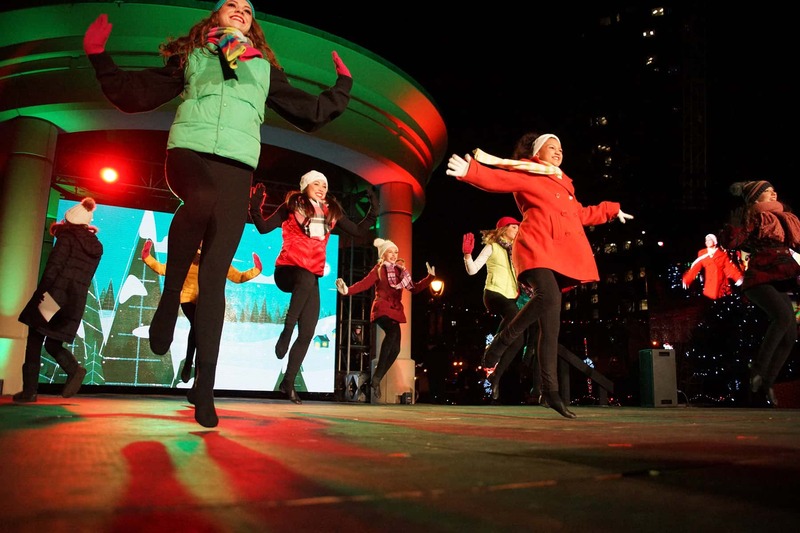 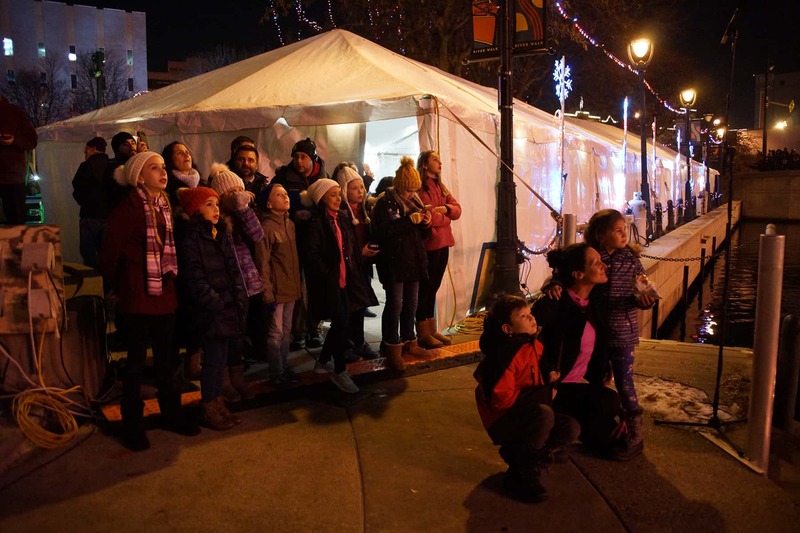 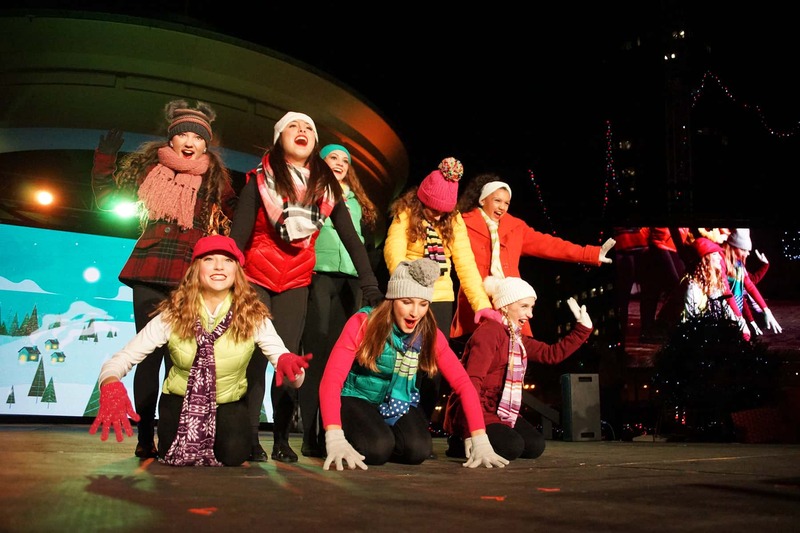 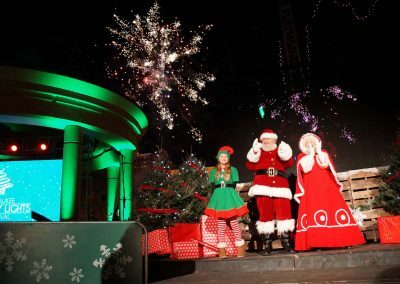 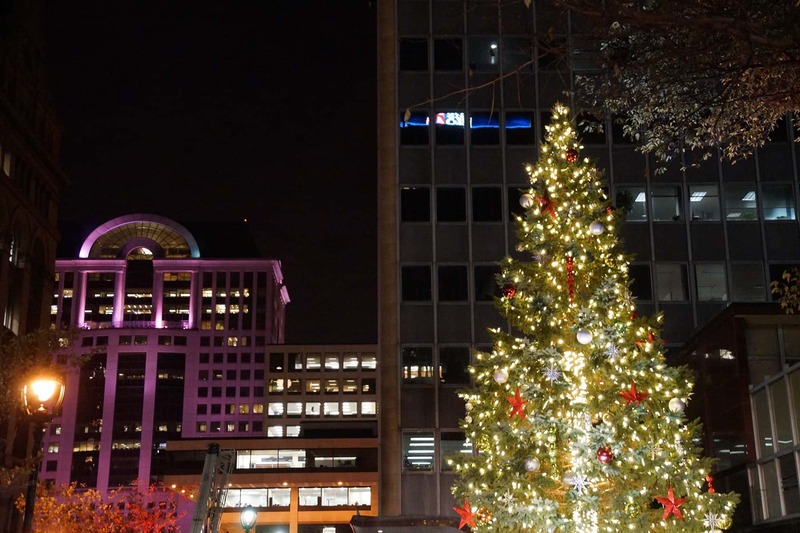 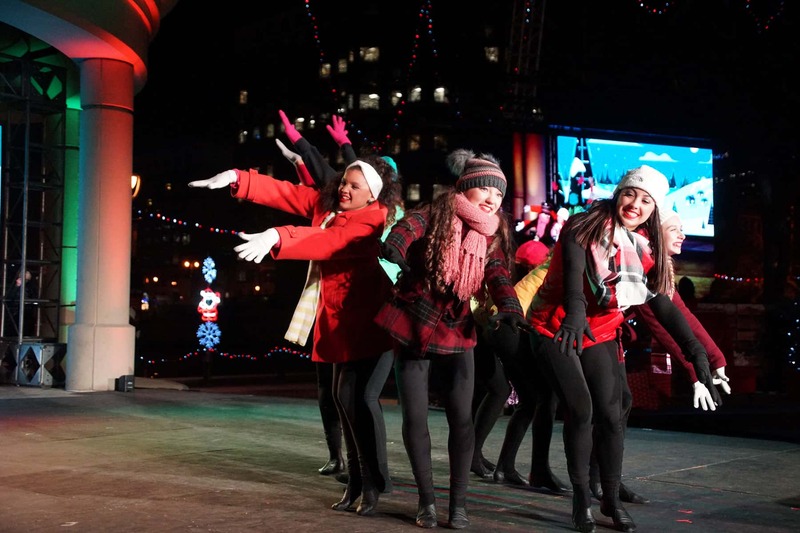 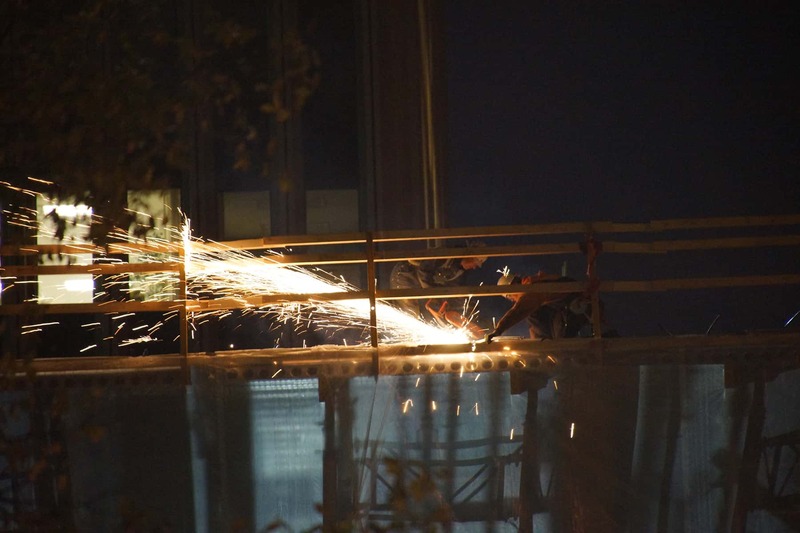 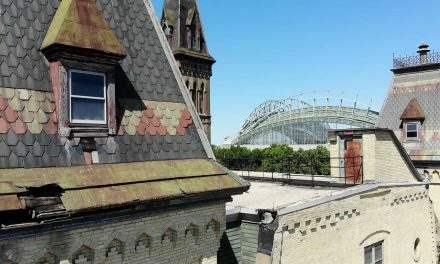 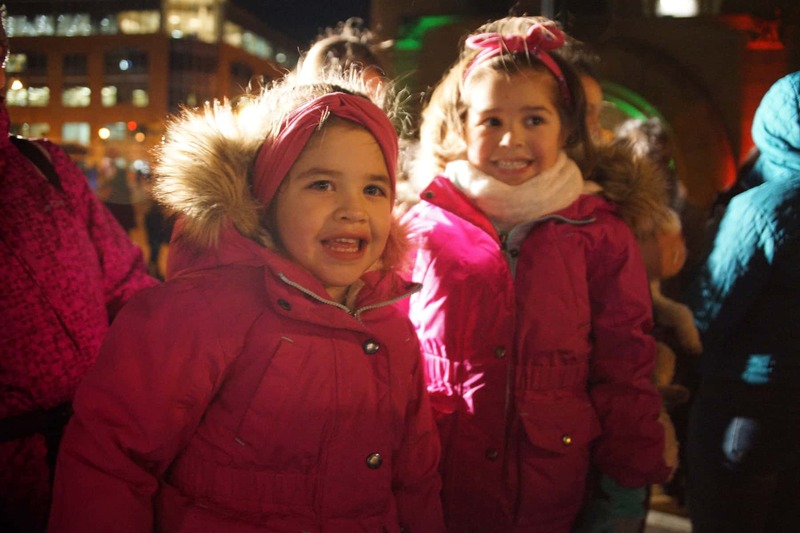 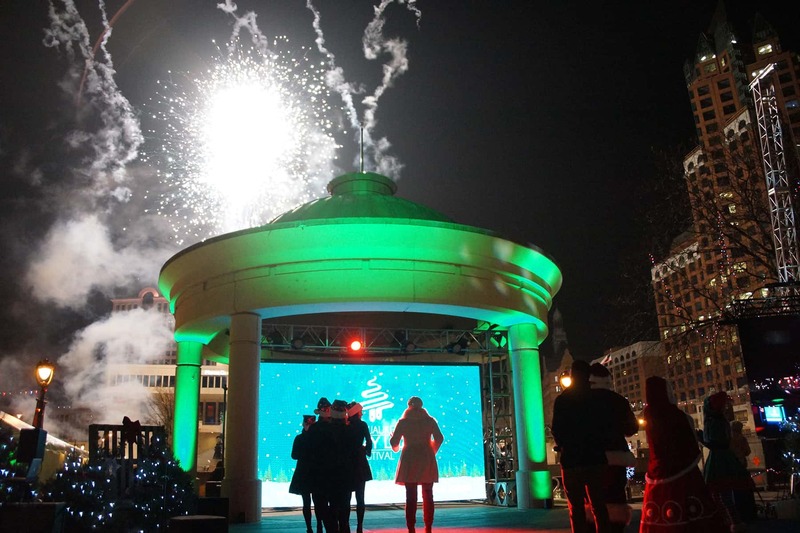 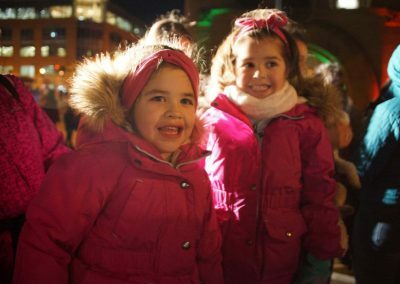 The six-week celebration is coordinated by Milwaukee Downtown BID #21, and includes themed installations at “Community Spirit Park” at Cathedral Square Park, “Candy Cane Cove” at Pere Marquette Park, and “Santa’s Lighted Lodge” at Zeidler Union Square. 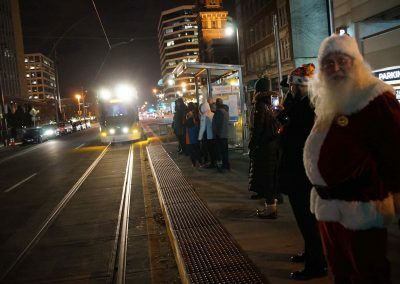 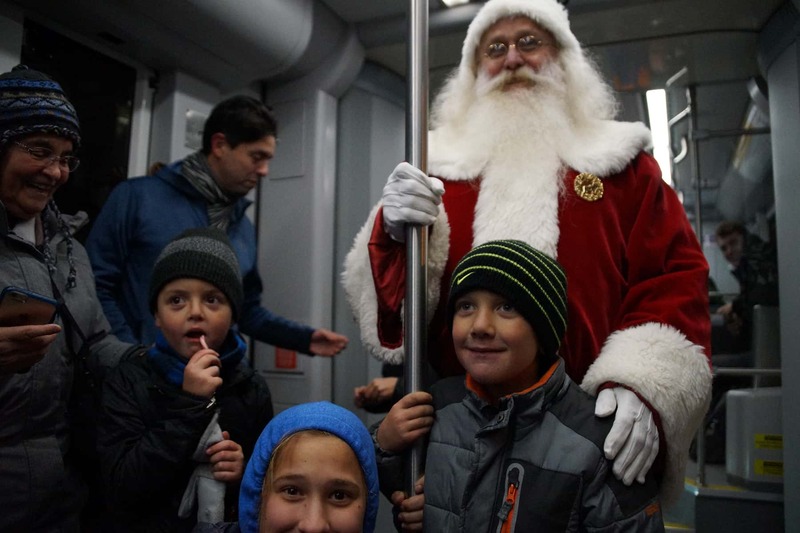 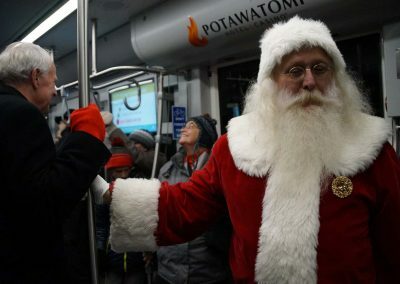 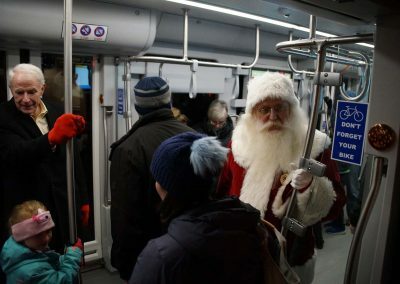 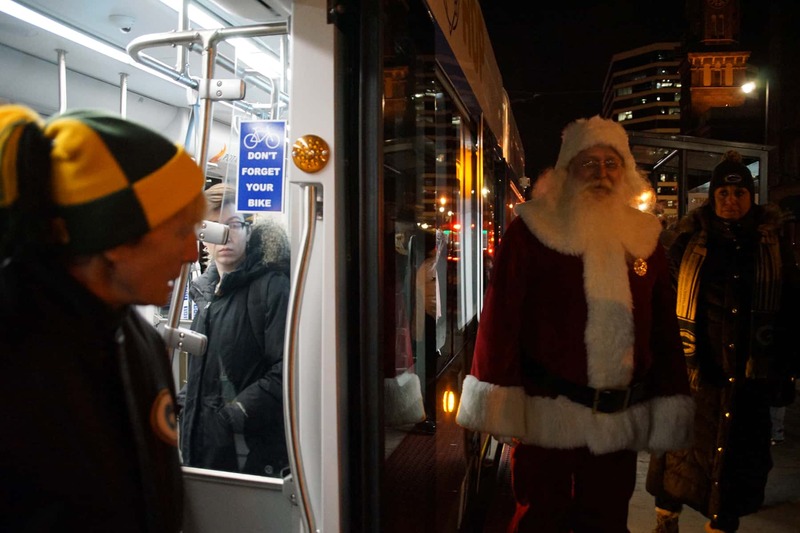 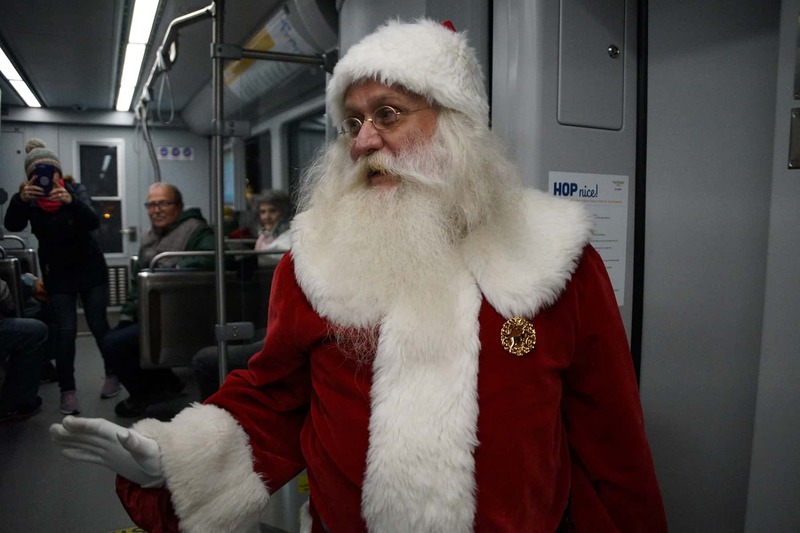 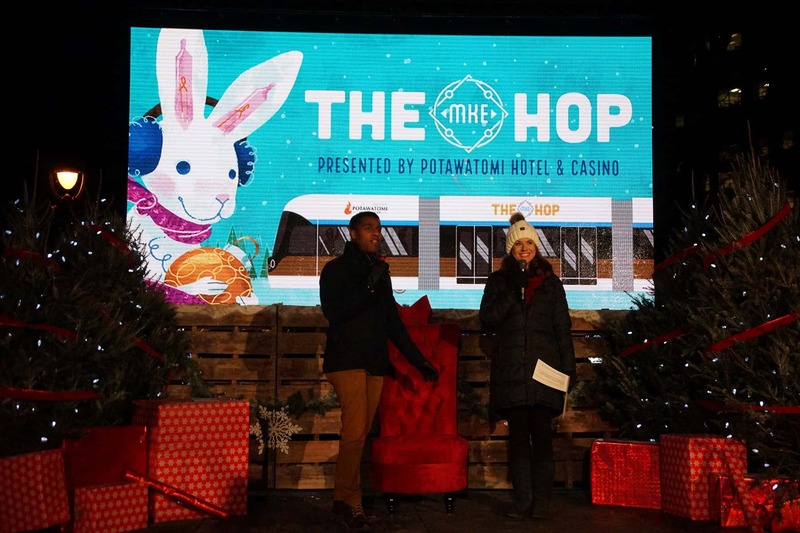 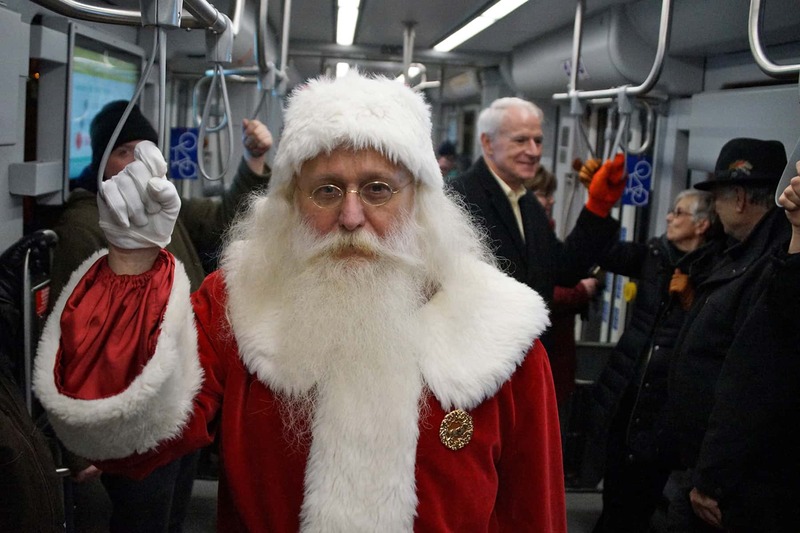 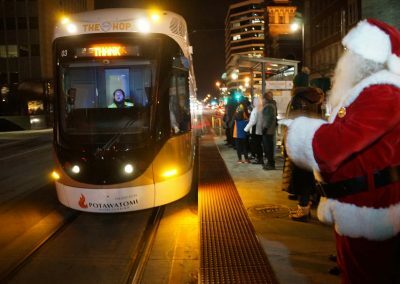 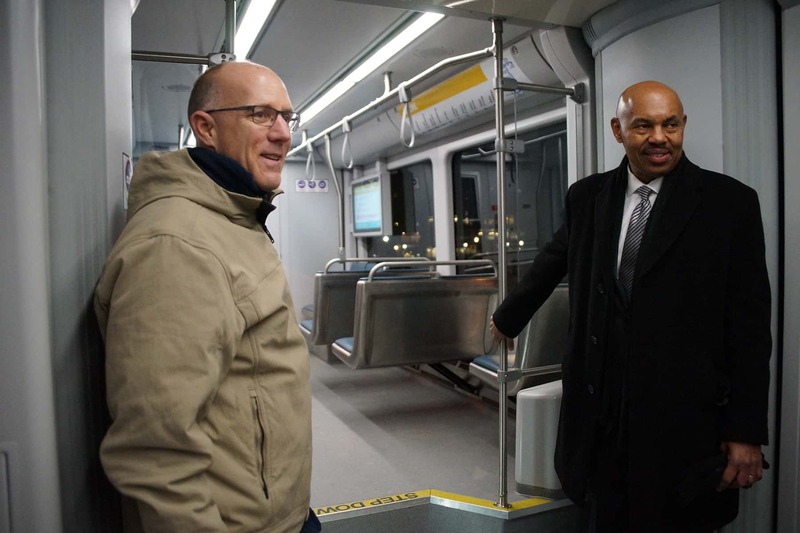 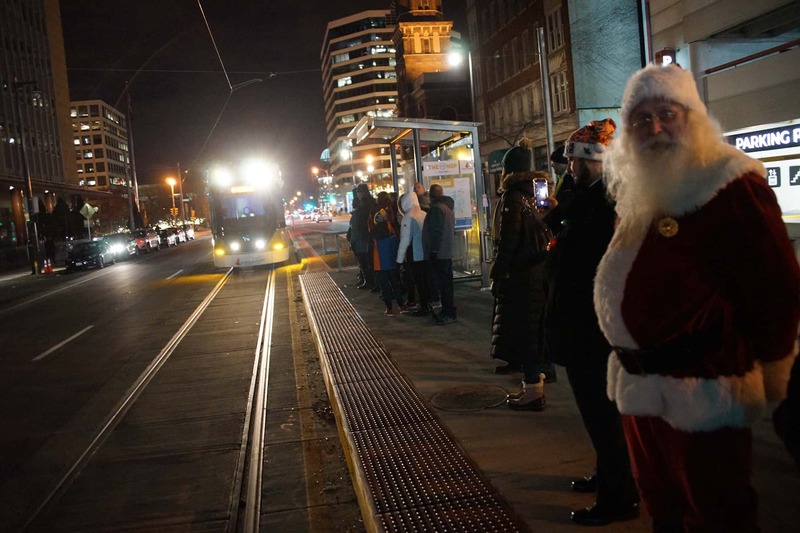 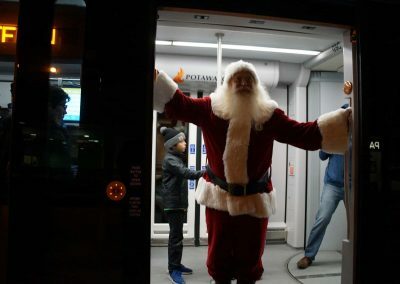 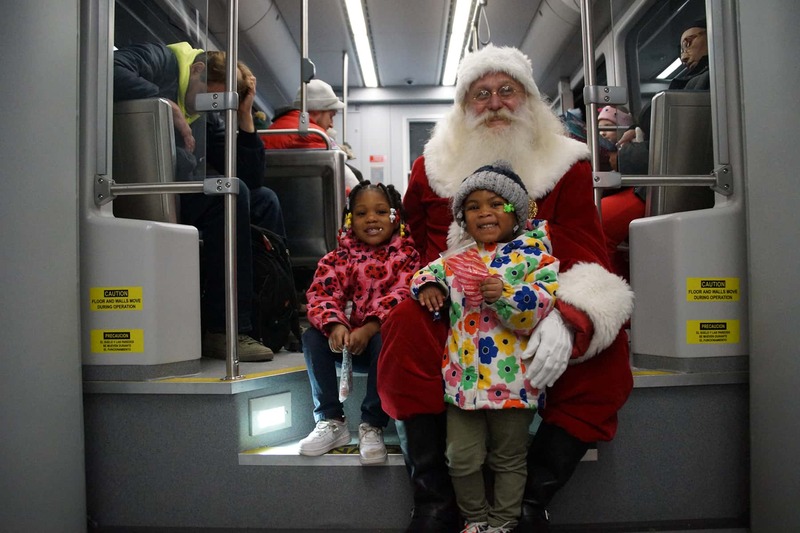 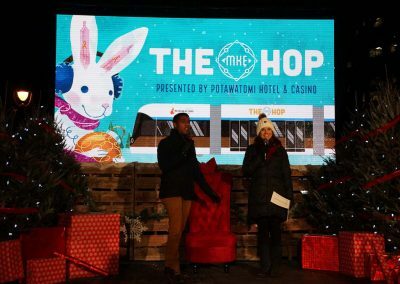 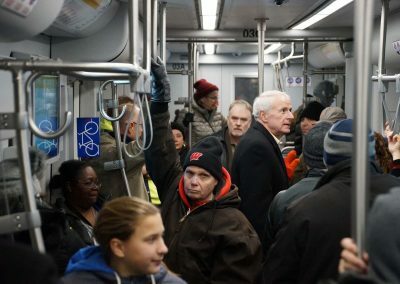 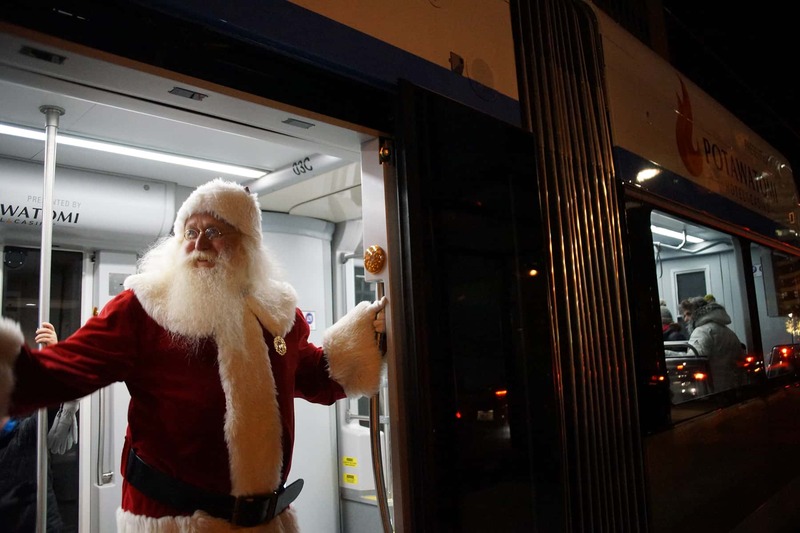 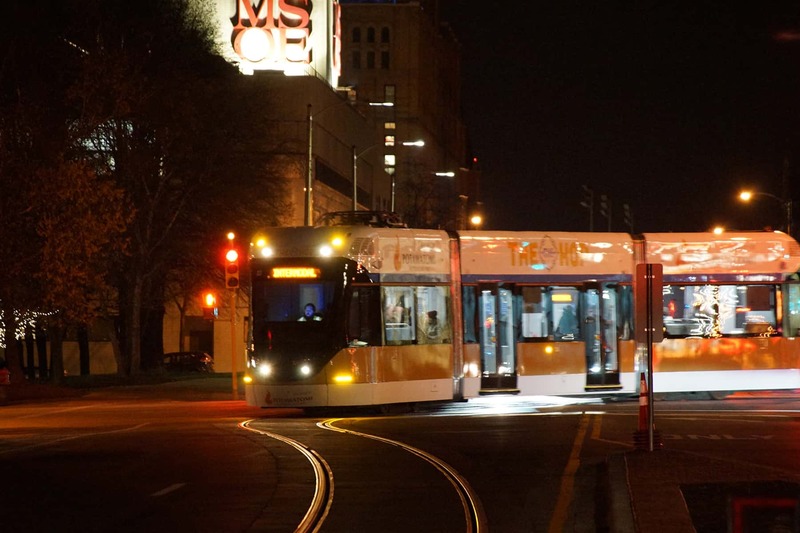 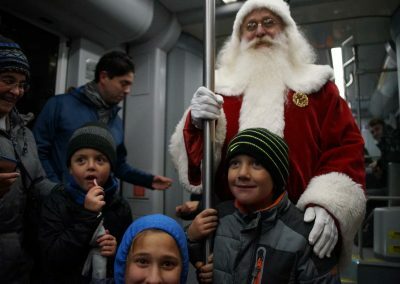 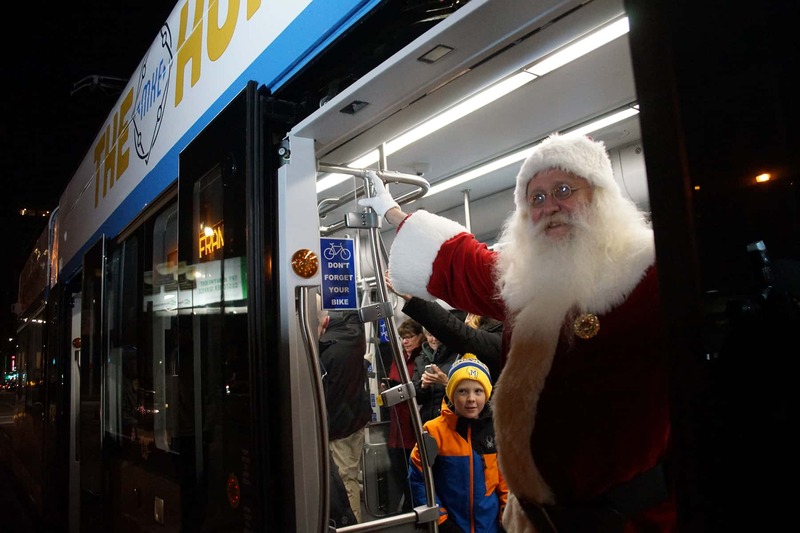 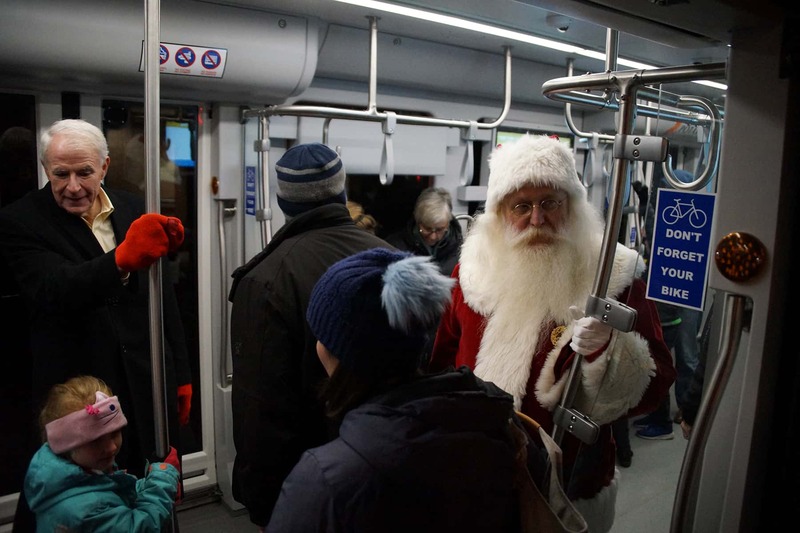 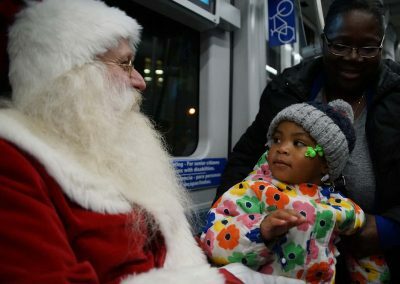 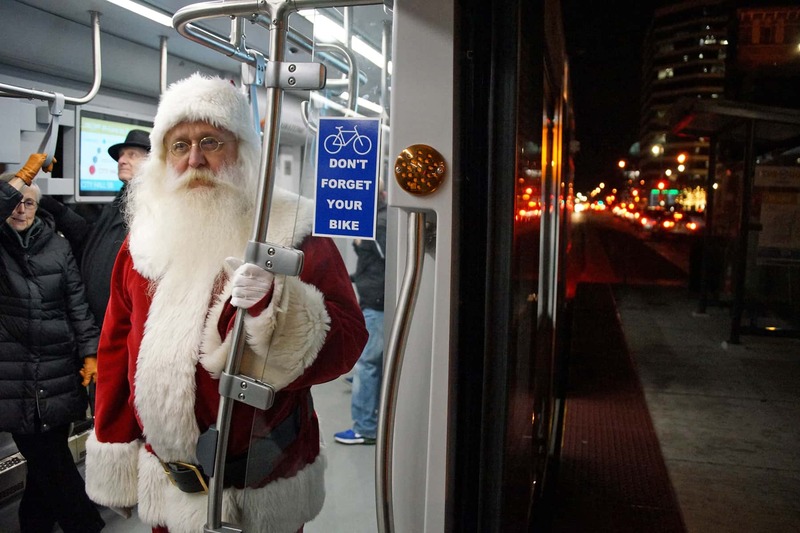 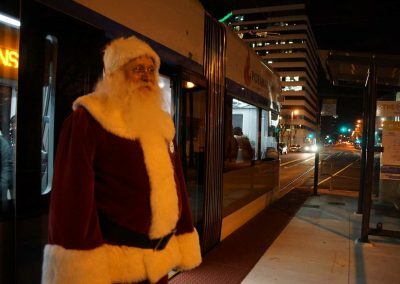 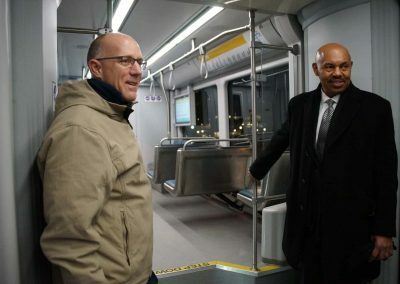 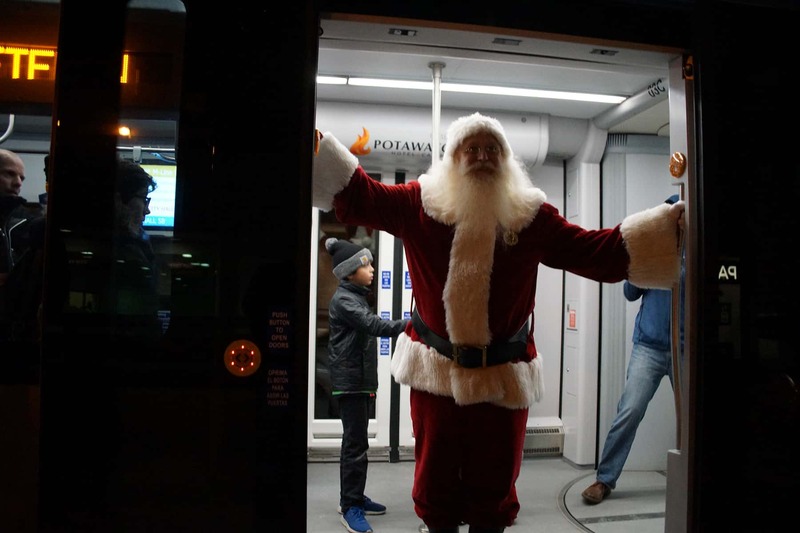 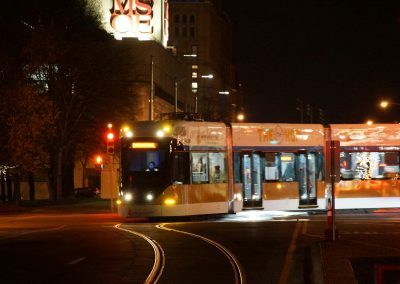 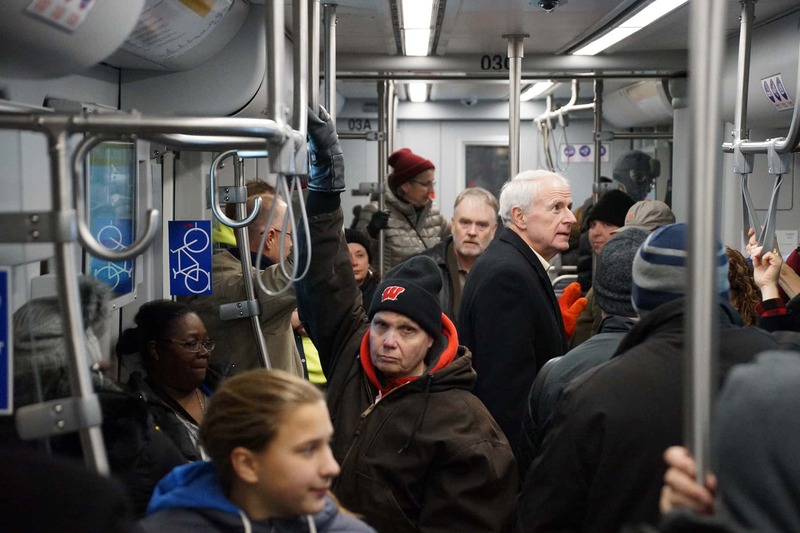 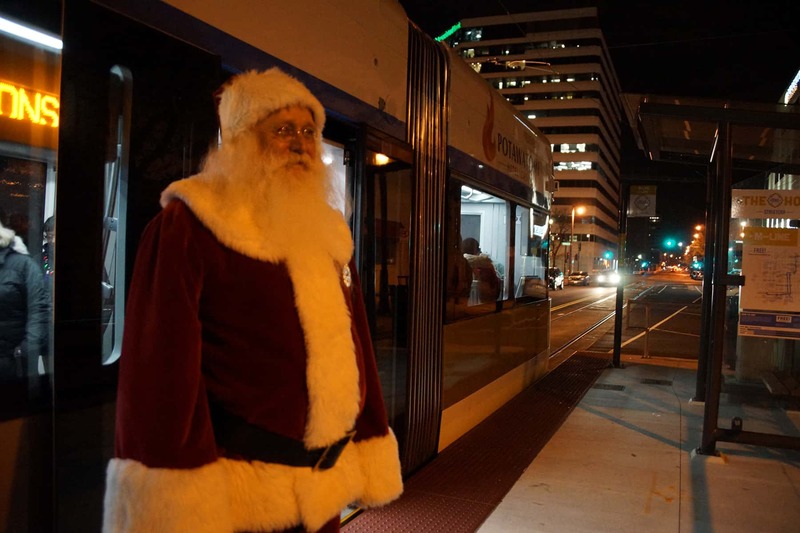 These images document the holiday cheer from the evening, including a spontaneous Streetcar ride aboard The Hop by Saint Nicholas himself.